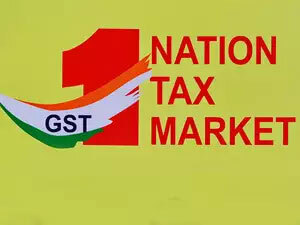 Prime Minister Narendra Modi, in his monthly radio address on 30 July, called it a ‘Good and Simple Tax.’ He was referring to the Goods and Services Tax (GST), which had come into force on 1 July, dismantling inter-state barriers and turning India into a continent-size common market of 1.3 billion people. 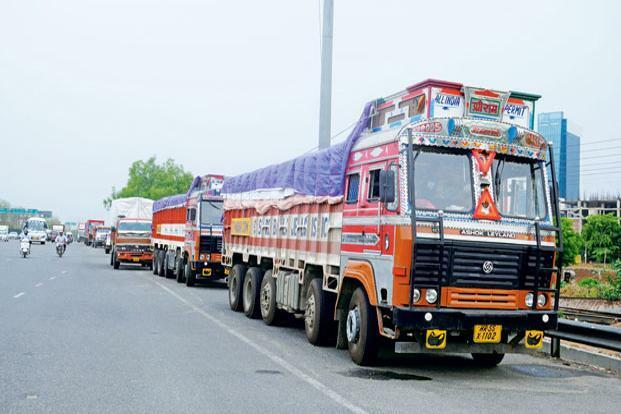 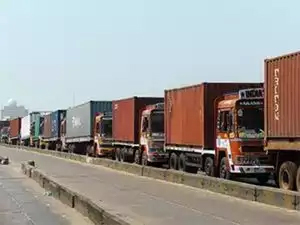 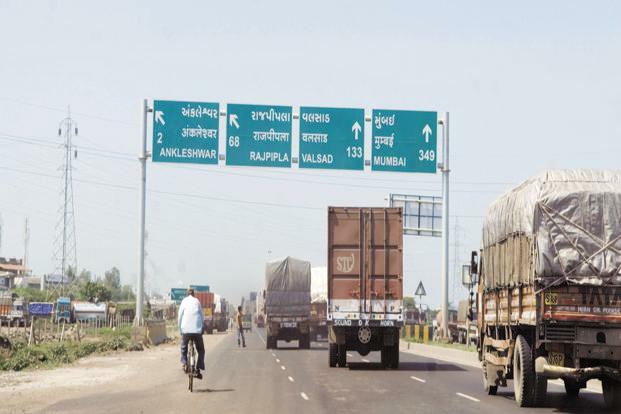 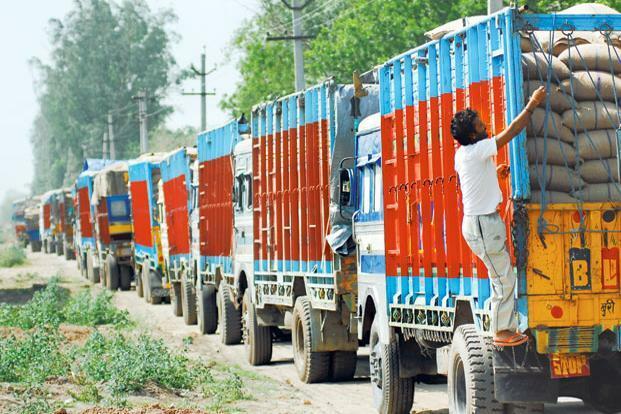 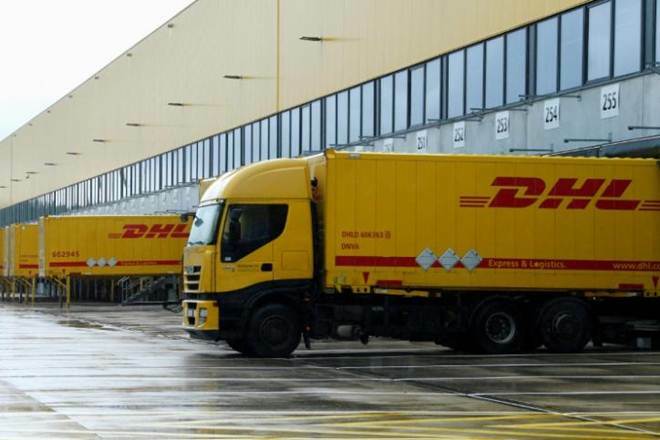 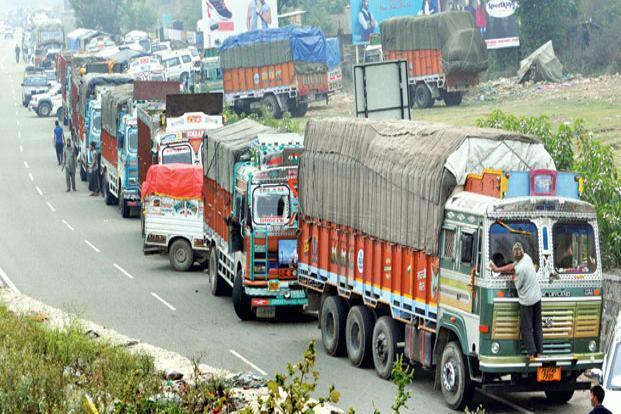 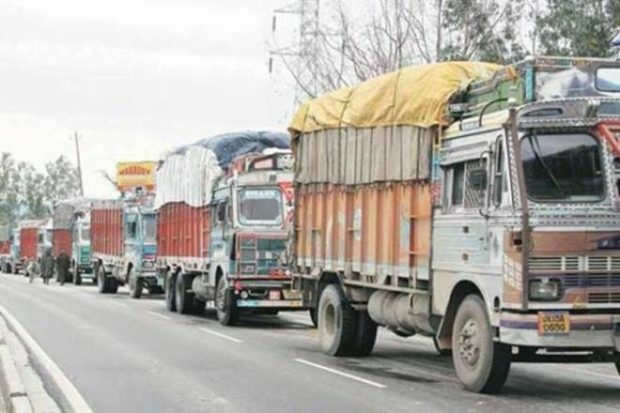 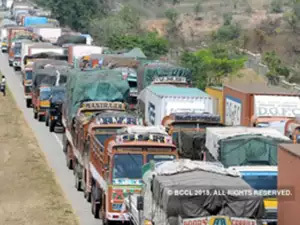 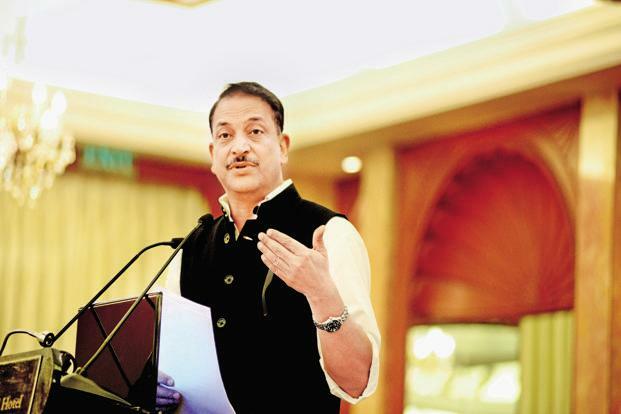 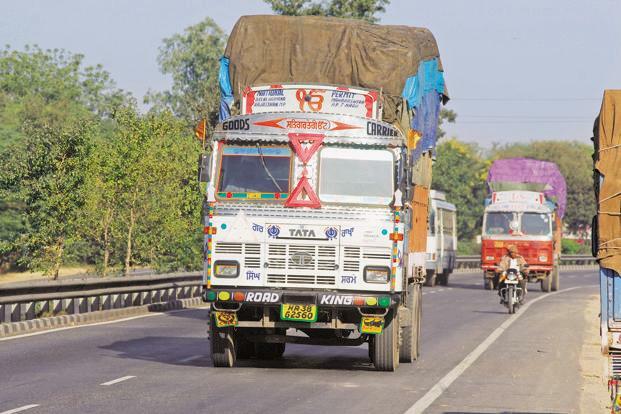 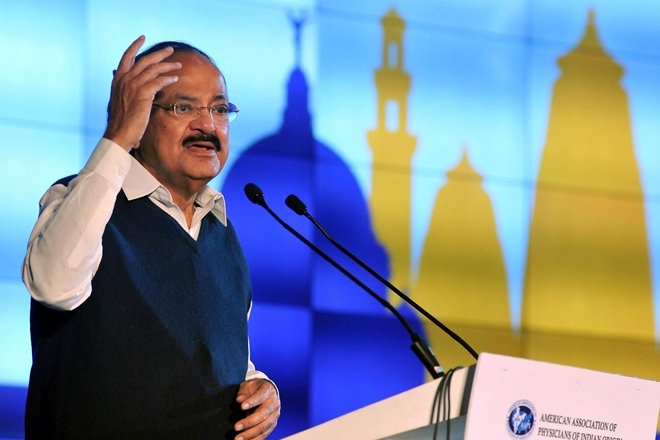 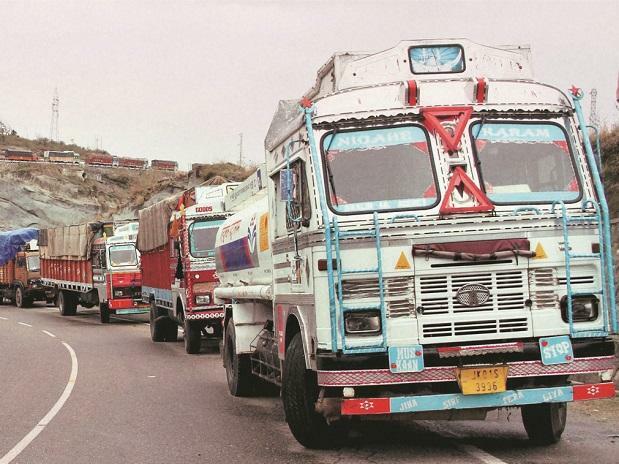 One example the prime minister cited of the positive effects of GST was the transport and logistics sector—the movement of trucks has accelerated as the number of check-posts on state borders came down. 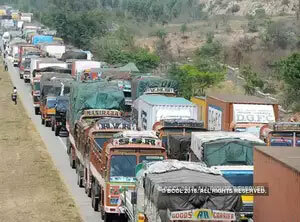 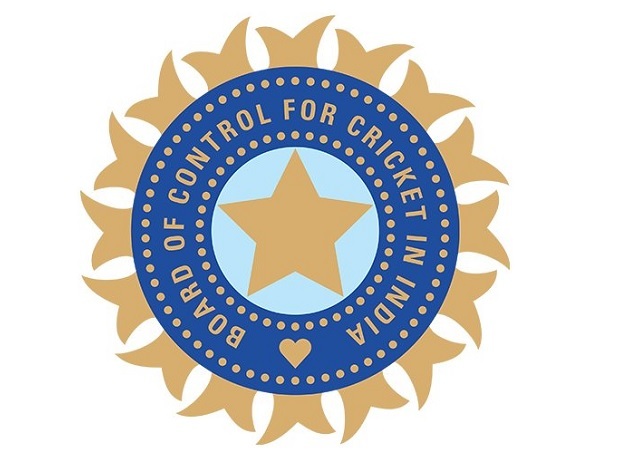 “The time required to cover distances has come down drastically. 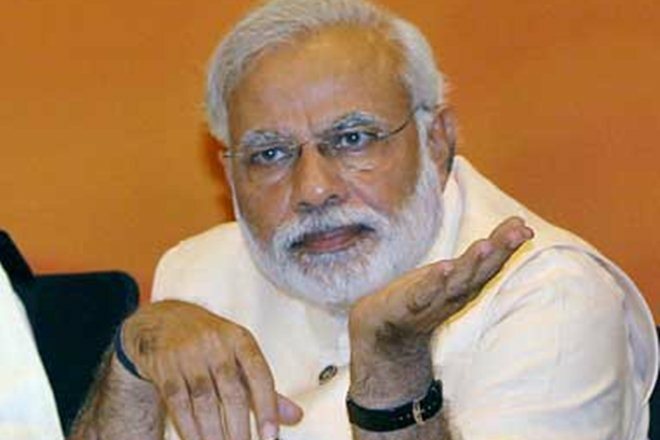 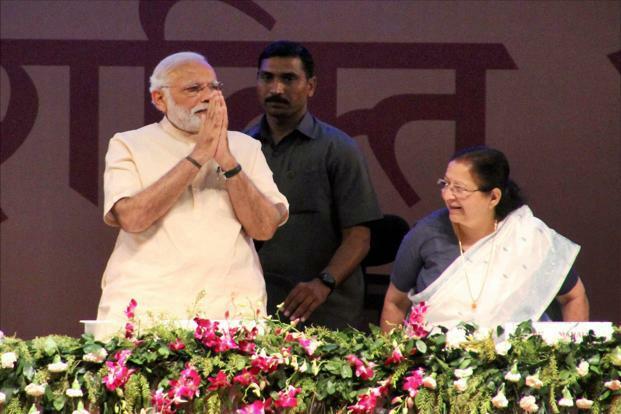 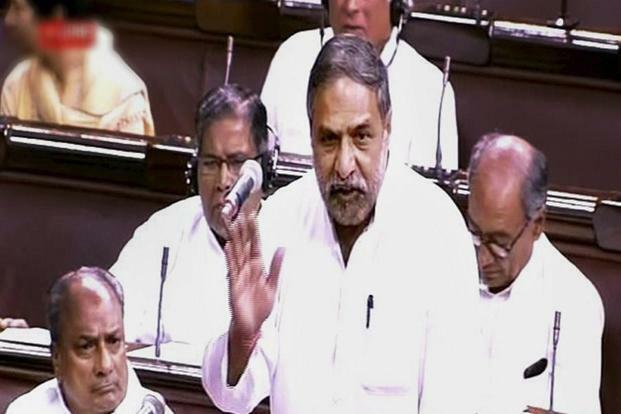 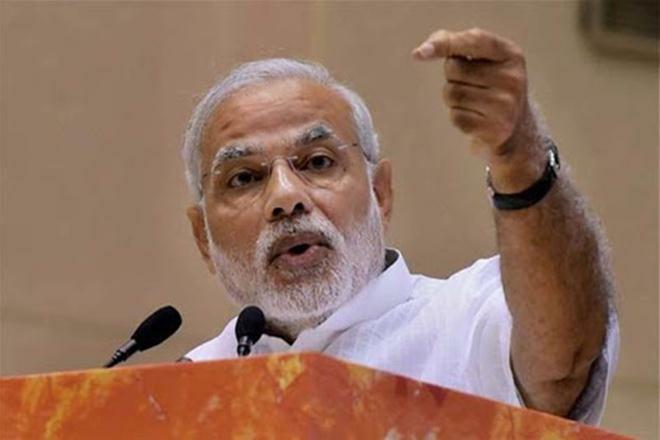 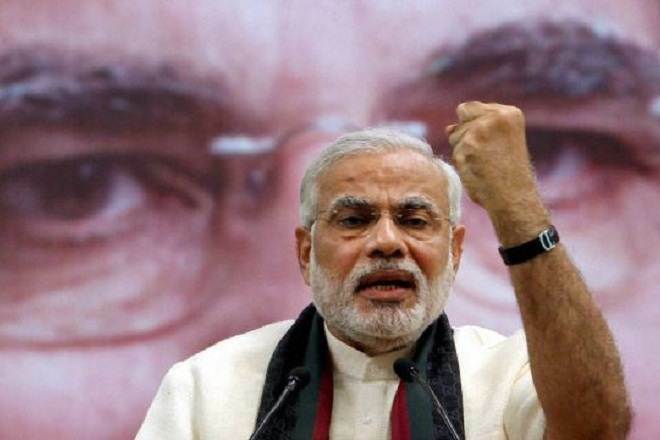 Highways have become clutter-free,” Modi said. 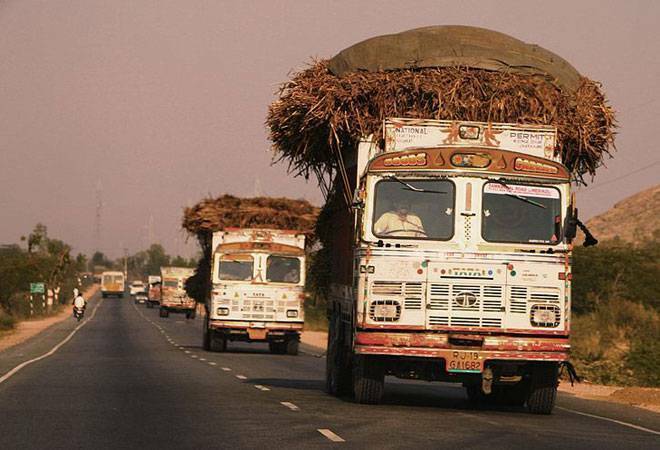 Harnam Singh, a goods transporter who has been driving to Mumbai, India’s commercial capital, for six years, can vouch for that. 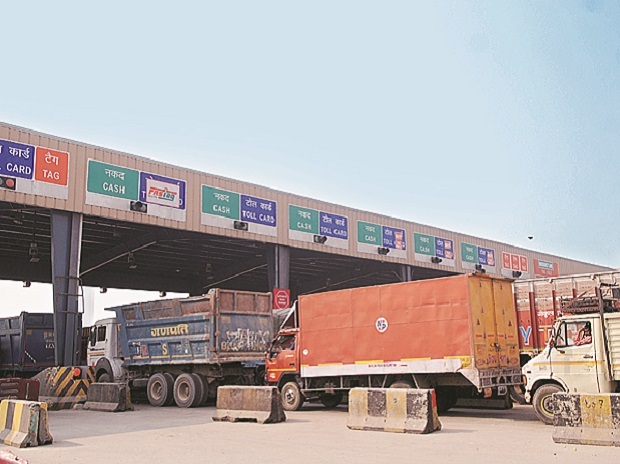 When he drove to Mumbai from Gujarat in the first week of July, he found that the check-post at Mulund on the six-lane Eastern Express Highway, where he would usually spend up to 40 minutes to pay an entry tax and have his truck security-checked, had been dismantled. 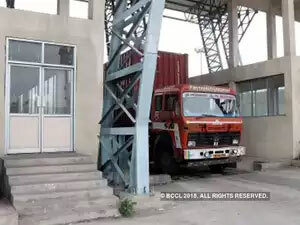 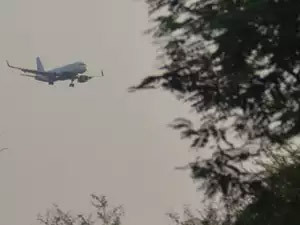 Singh said he couldn’t remember a single occasion since 2011 when his truck had been allowed into Mumbai without checks. 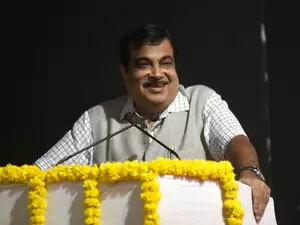 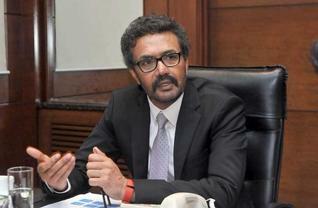 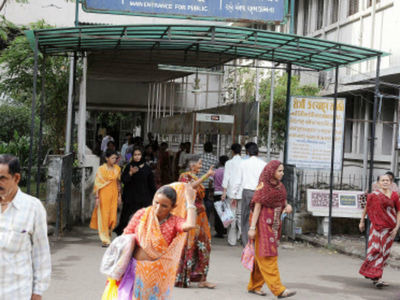 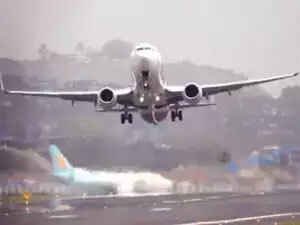 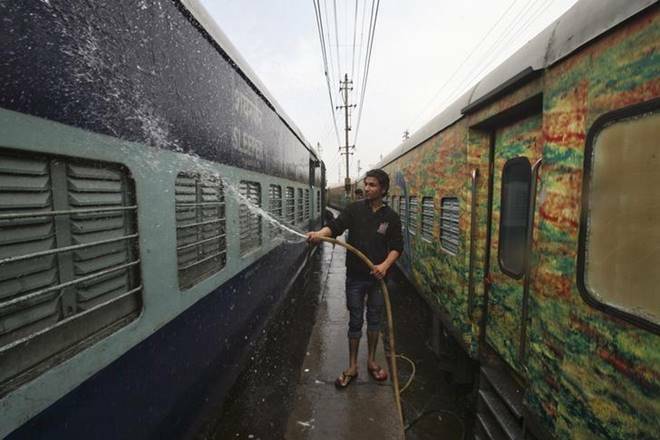 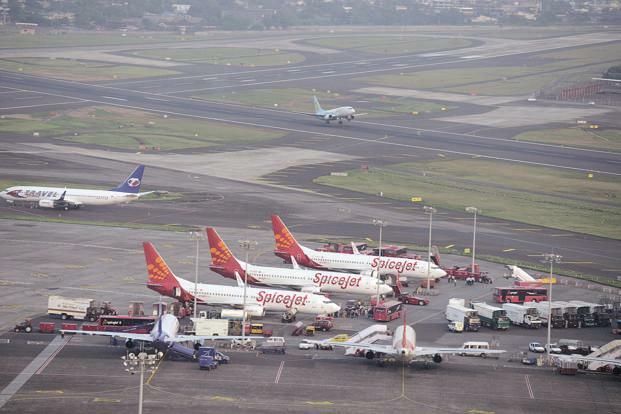 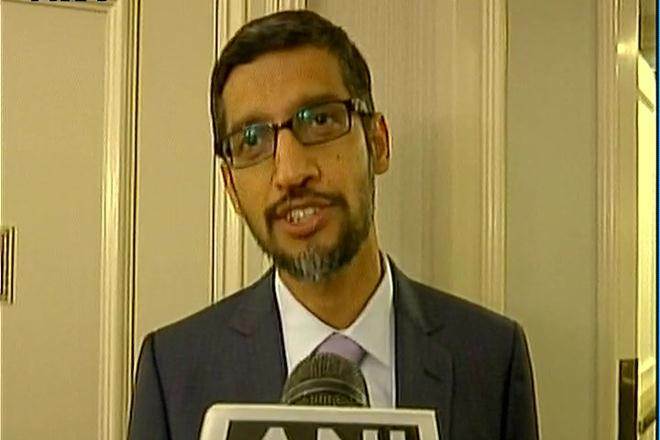 Before 5 July, he had visited Mumbai on 23 June and had waited the usual 40 minutes, he said. 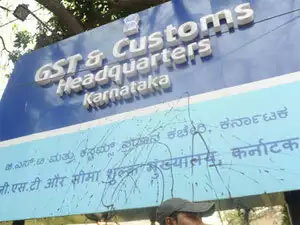 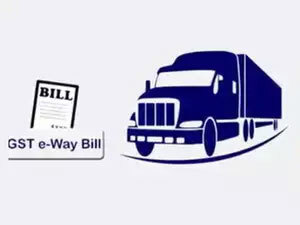 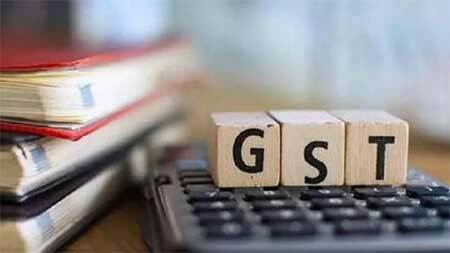 Transportation companies say GST, which before it took effect was billed as the biggest tax reform in independent India and a potential game changer, has helped in lowering the travel time between states sharply, confirming the claim of the government of a time saving of 20% for long-haul trucks carrying heavy cargo. 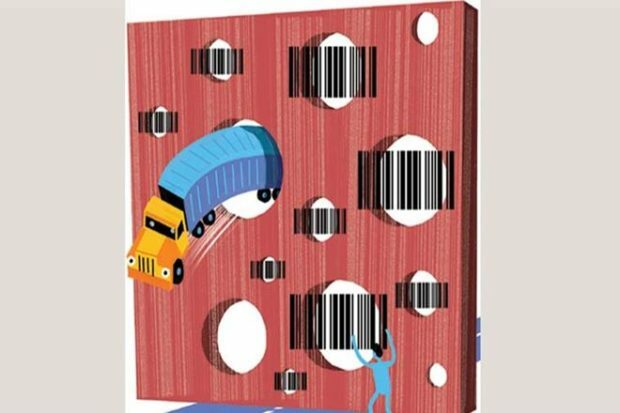 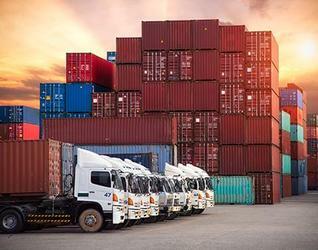 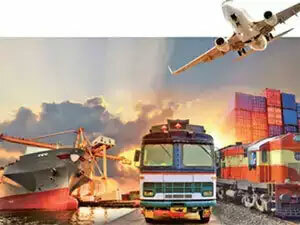 “GST is a boon and a growth trigger for the logistics industry, which is otherwise benefiting from certain positive developments. 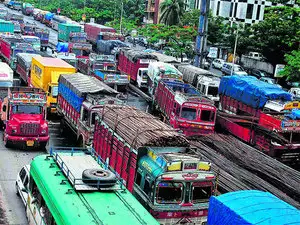 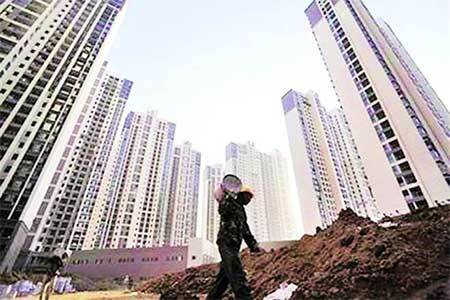 Roads are getting built faster than rail network and airports,” said Chander Agarwal, managing director, TCI Express Ltd, a logistics firm. 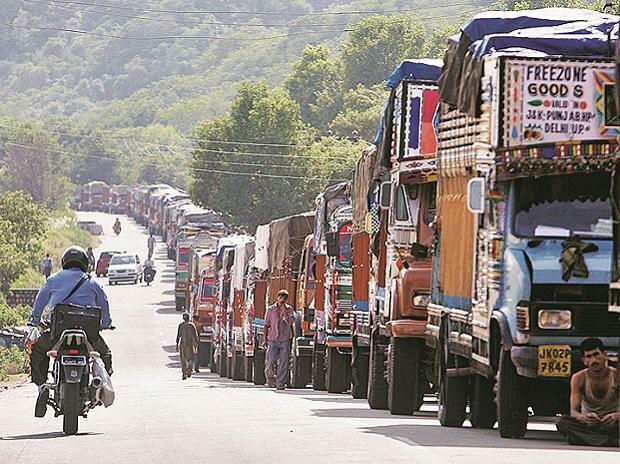 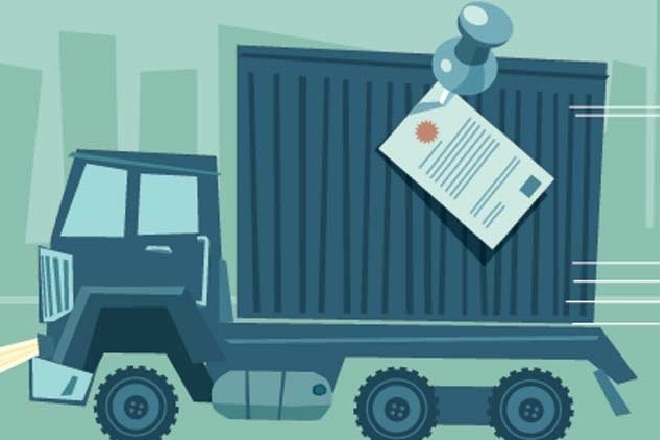 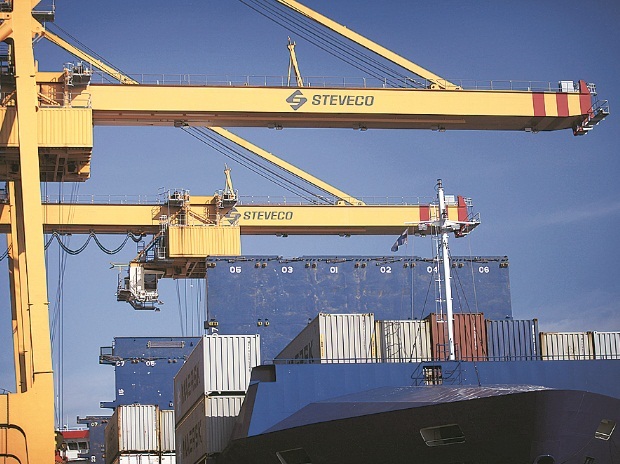 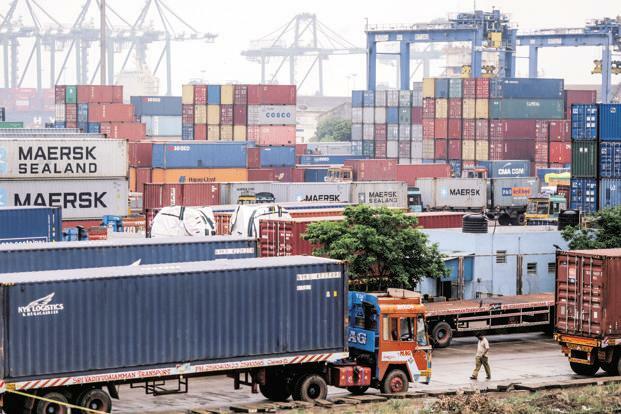 The impact of GST goes beyond reducing the time taken to move cargo from one state to another, although the dismantling of check-posts is perhaps its most visible effect. 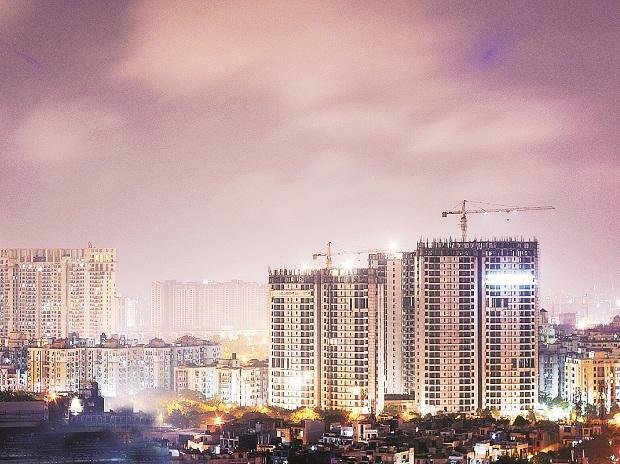 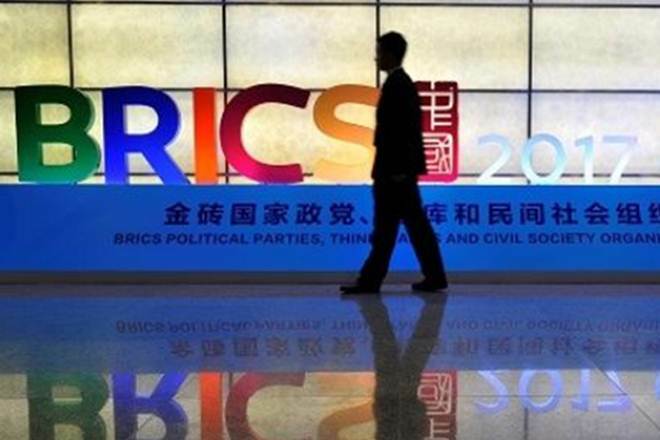 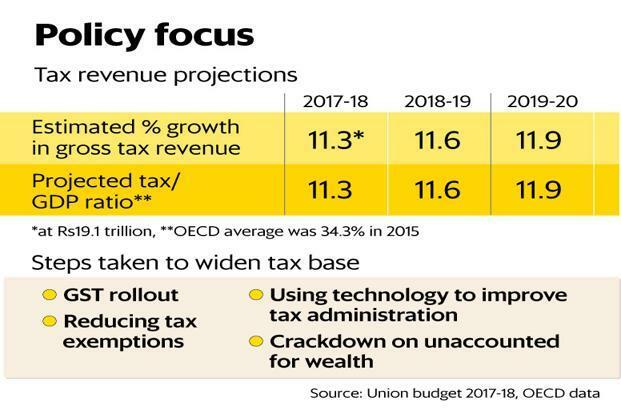 Policymakers in Asia’s third largest economy expect the indirect tax overhaul to make the $2.3 trillion economy more efficient and globally competitive. 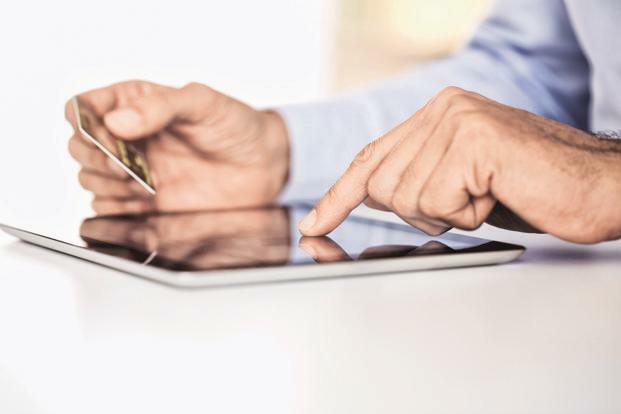 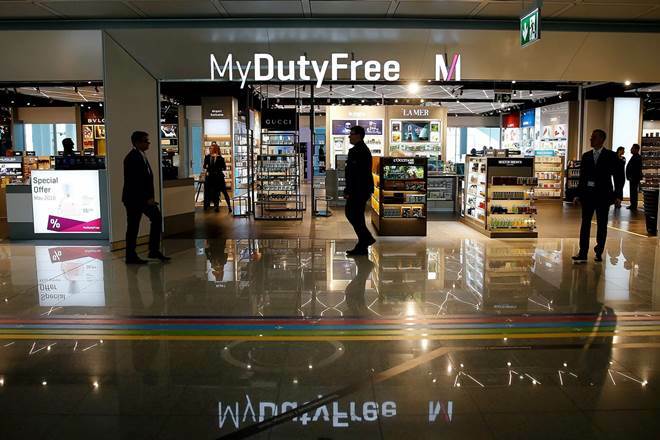 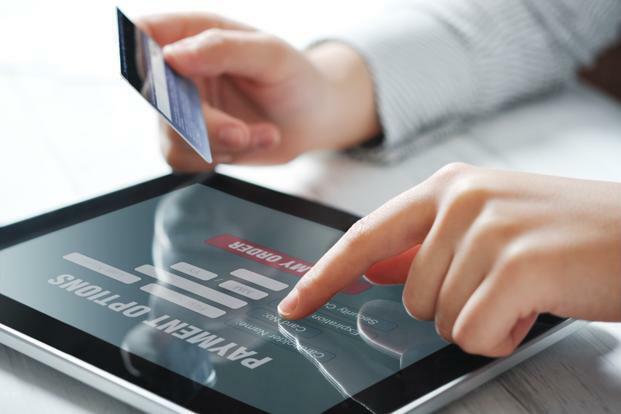 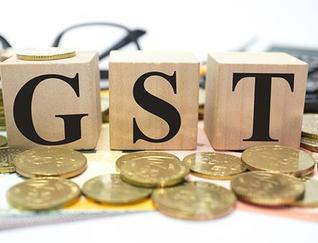 They also believe a technology-driven indirect tax system will cut red tape, make doing business a lot easier, check tax evasion and bring more businesses into the tax net, boosting revenue and the state’s ability to spend on welfare measures. 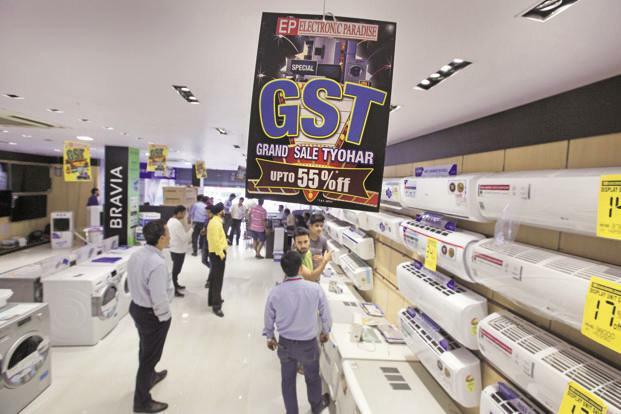 Authorities are hoping for a boost to the economic growth rate by up to two percentage points because of greater efficiency derived from GST. 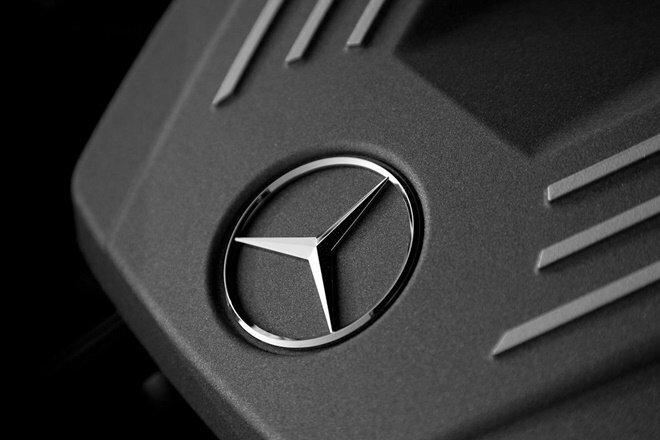 Some of those goals seem to be within reach. 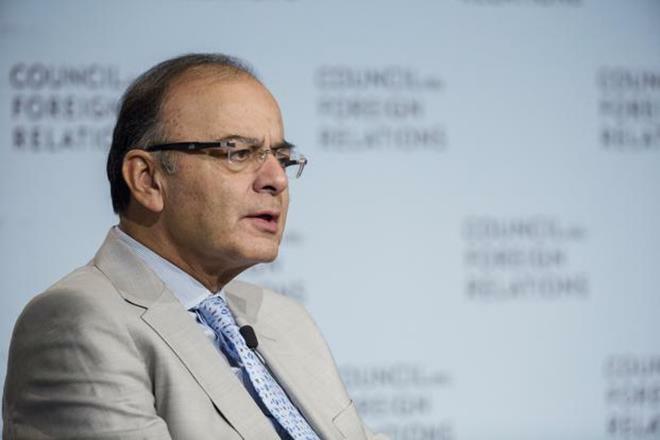 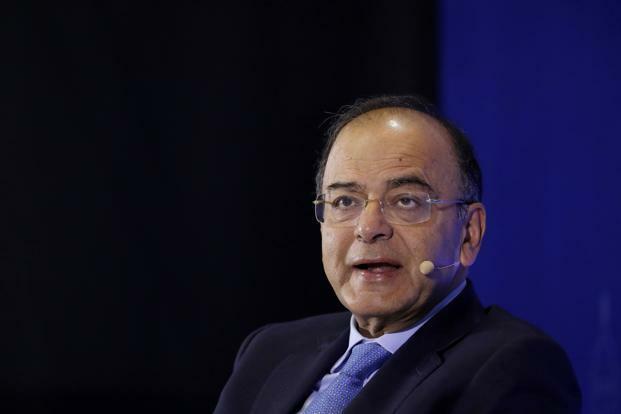 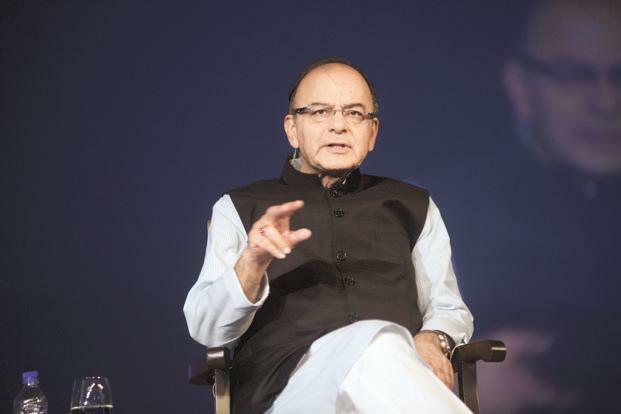 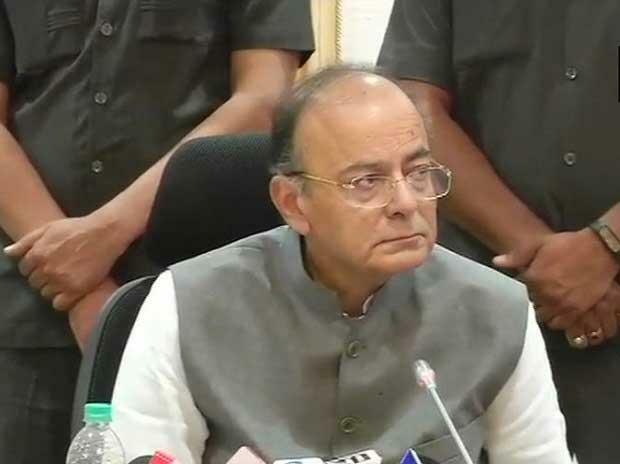 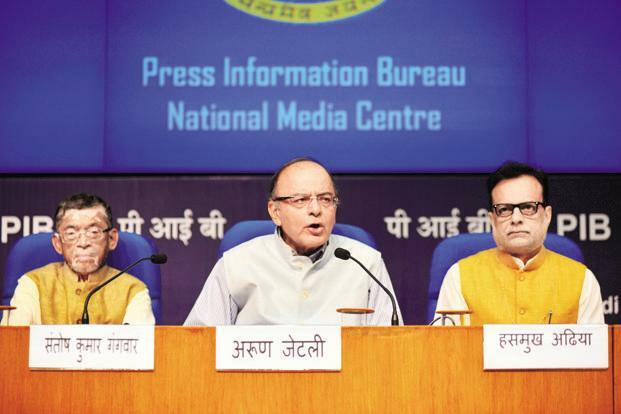 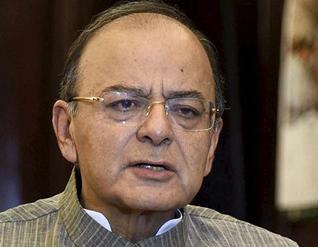 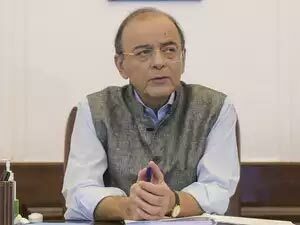 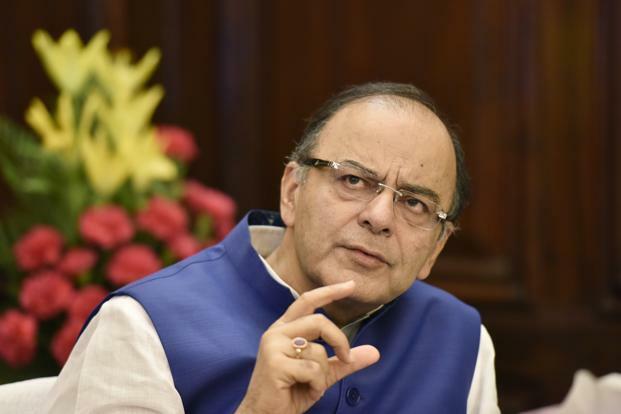 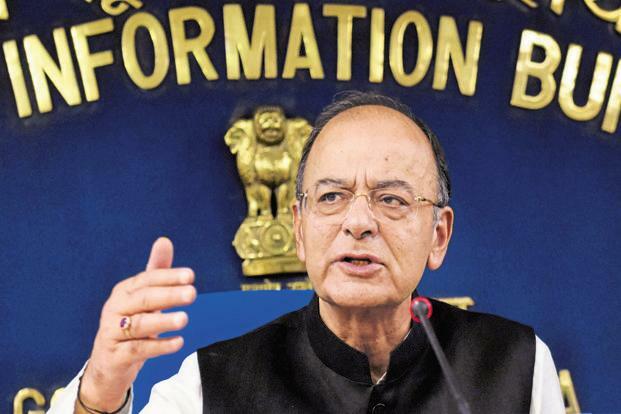 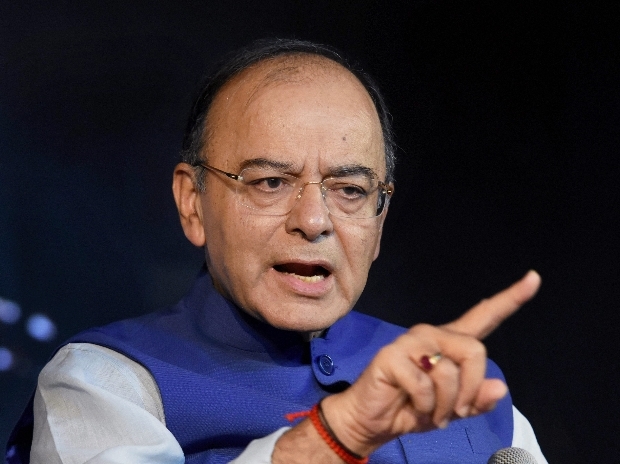 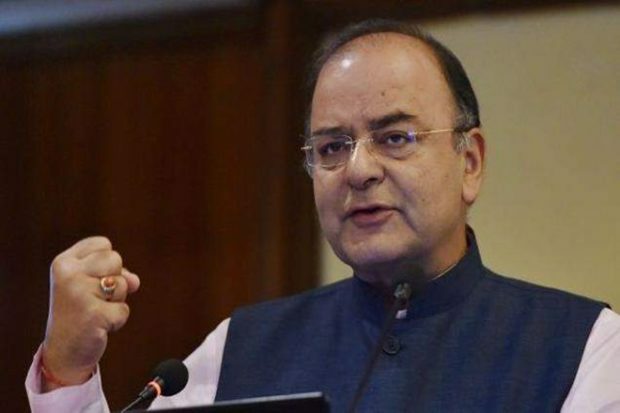 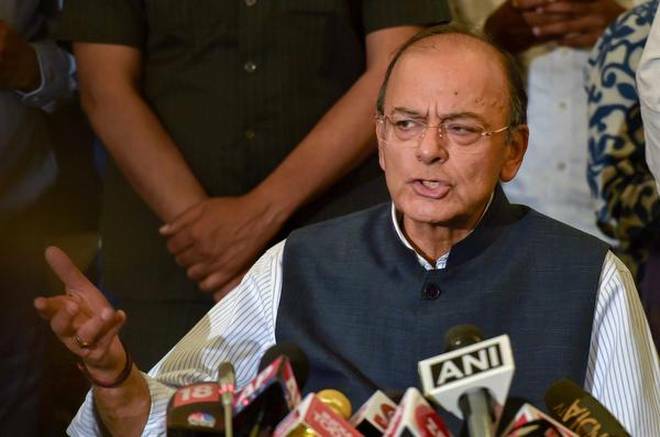 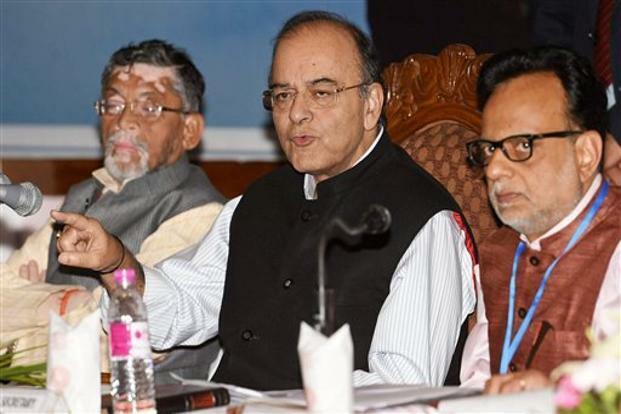 Finance minister Arun Jaitley told reporters on 5 August that the introduction of GST had led to an expansion of the tax base. 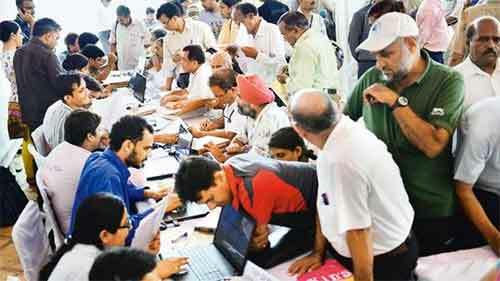 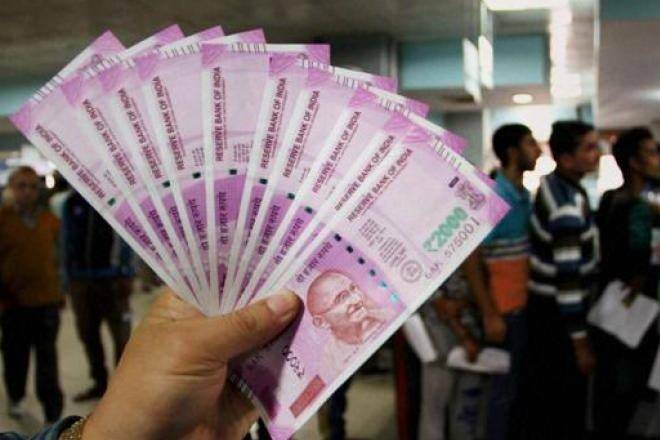 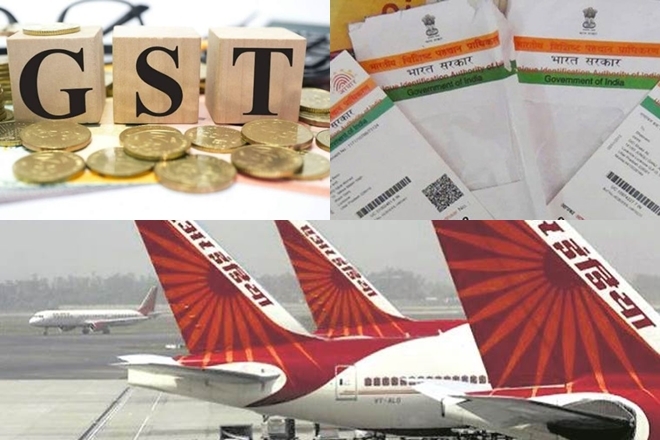 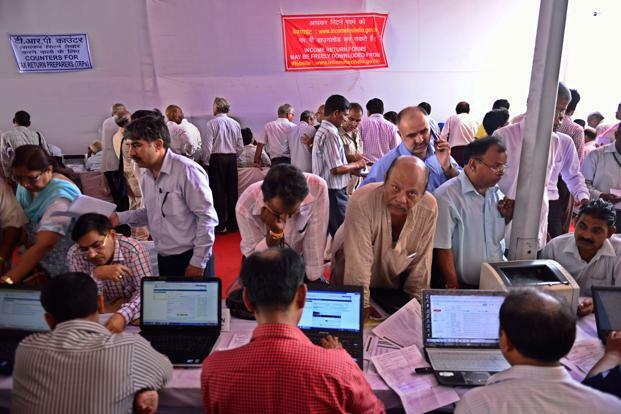 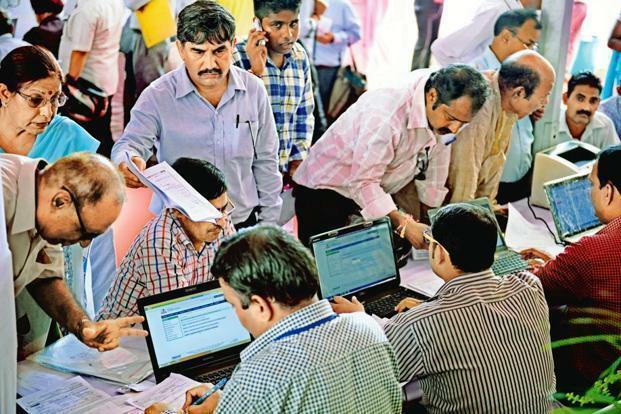 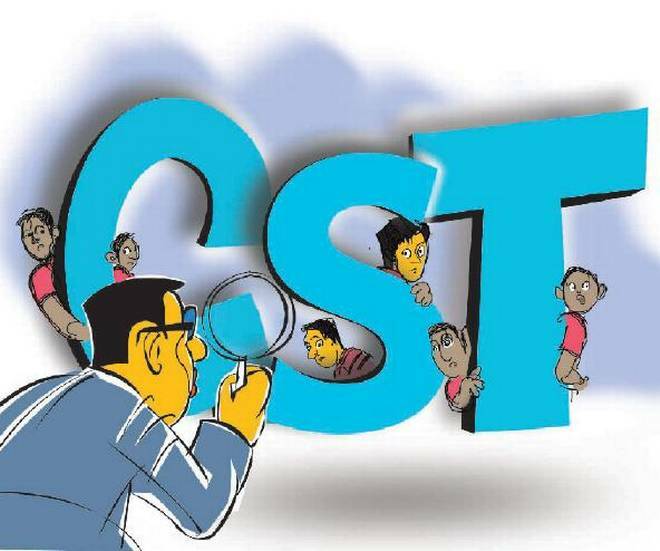 More than 7.1 million out of the eight million registered tax payers in the earlier regime have so far migrated to GST while new applications have touched 1.6 million, taking the tax base to over 8.7 million assesses. 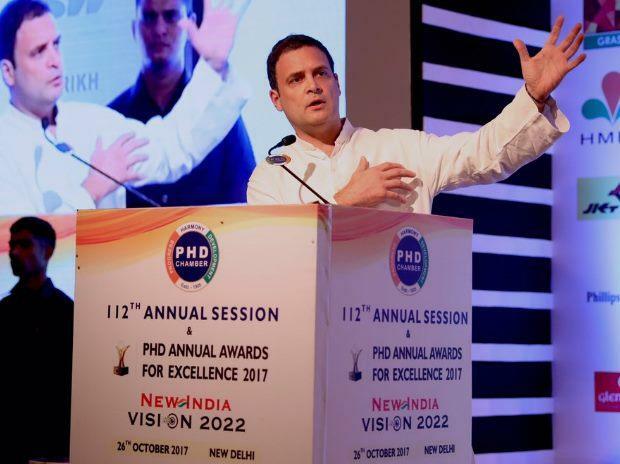 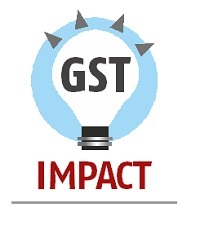 “GST has produced a big positive effect on our economy in a very short span. 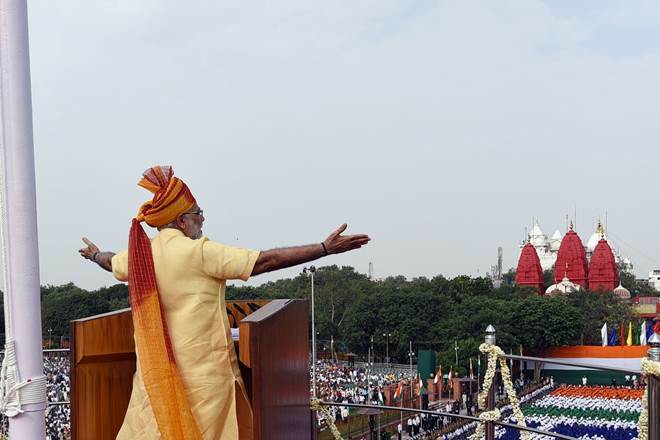 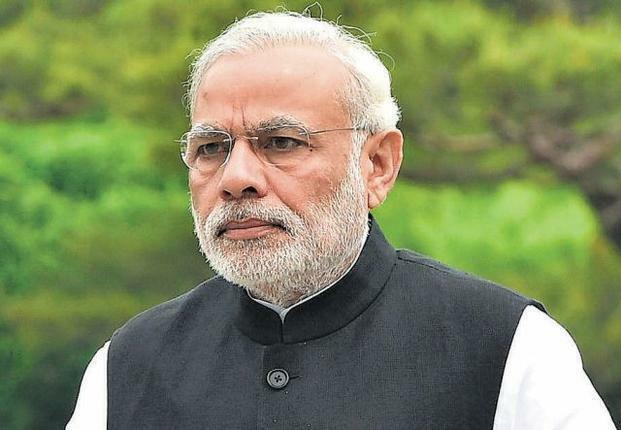 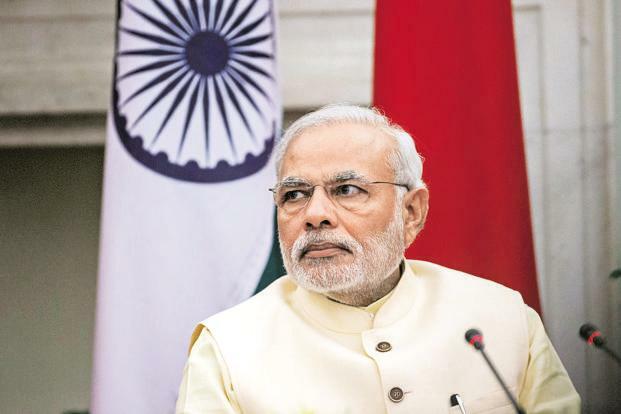 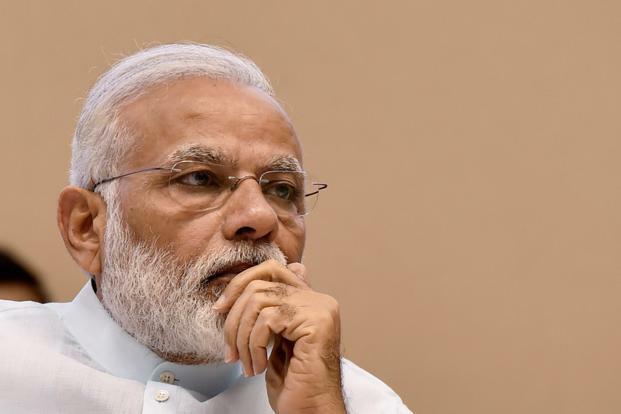 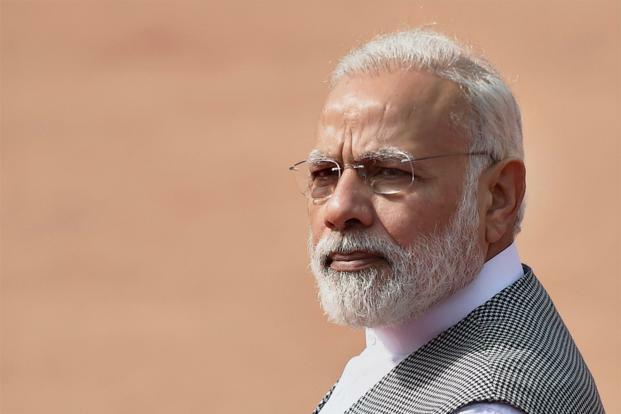 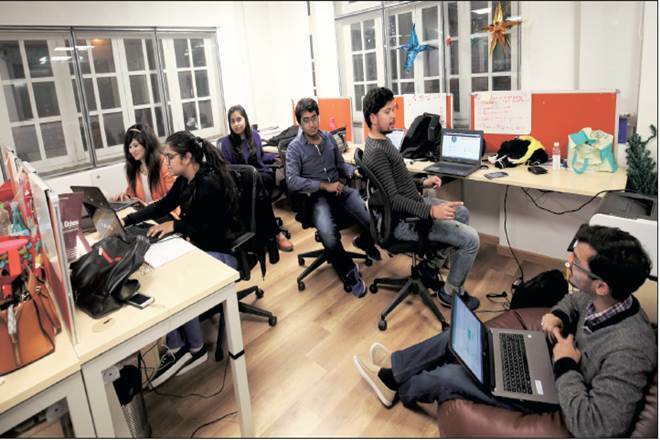 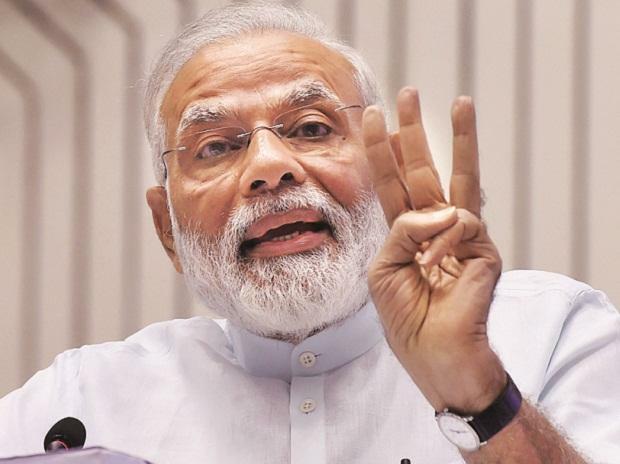 The speed at which the smooth transition has taken place, along with rapid migration and new registrations, has instilled a new sense of confidence in the entire country,” Modi said in his radio address. 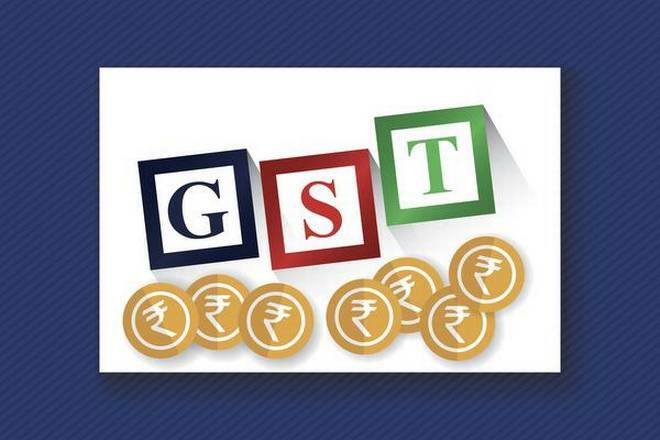 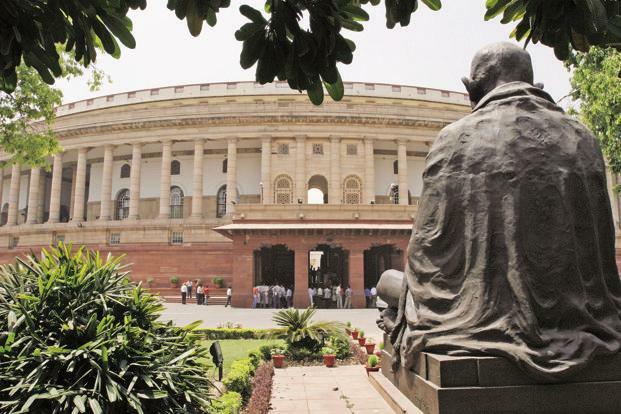 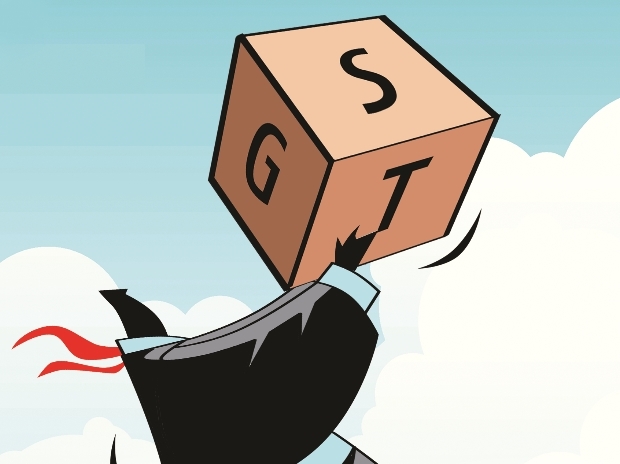 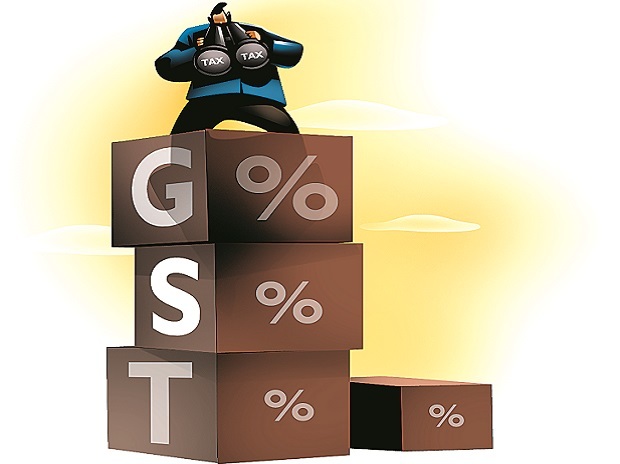 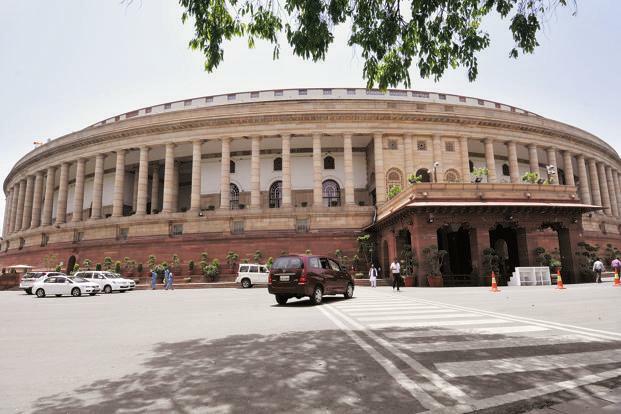 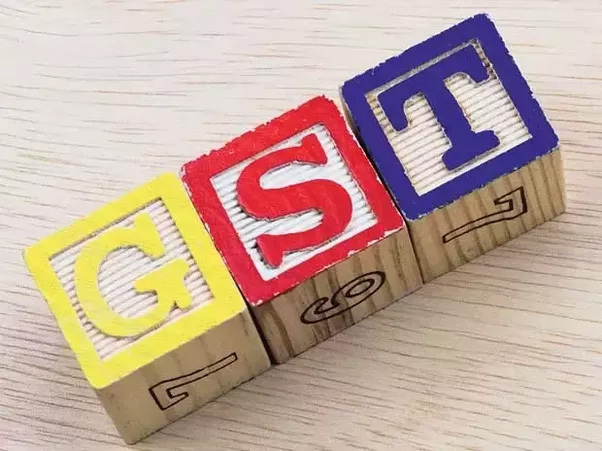 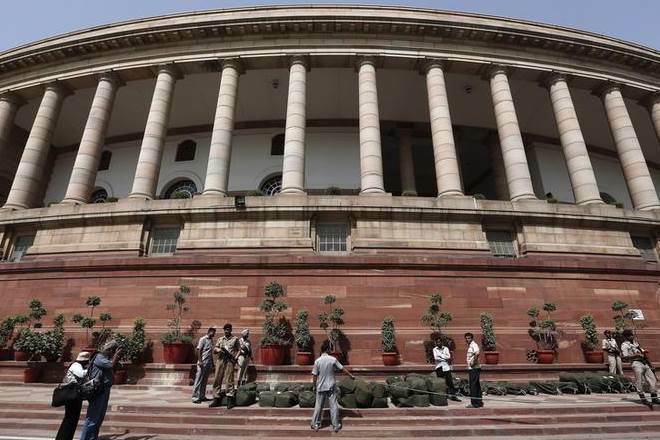 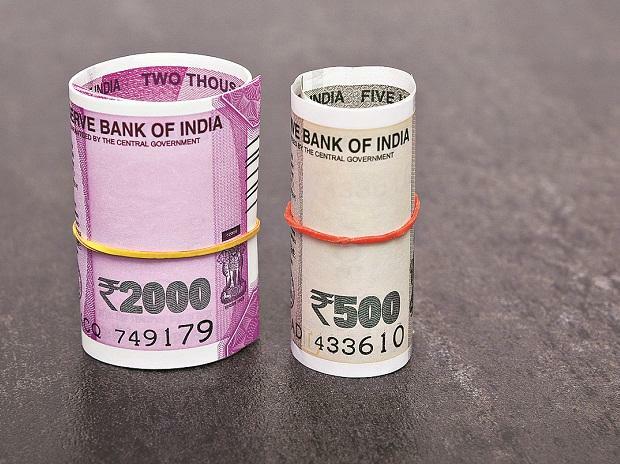 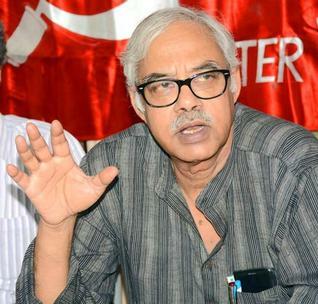 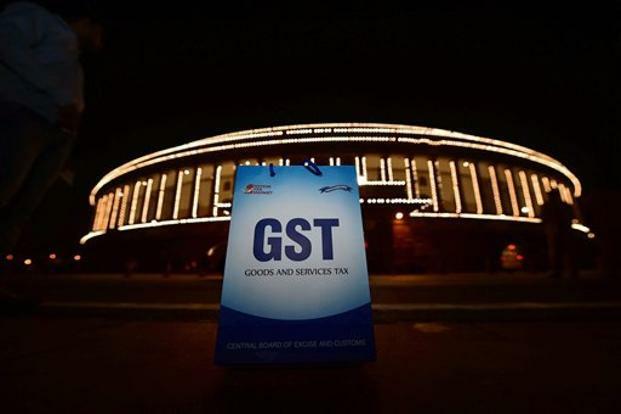 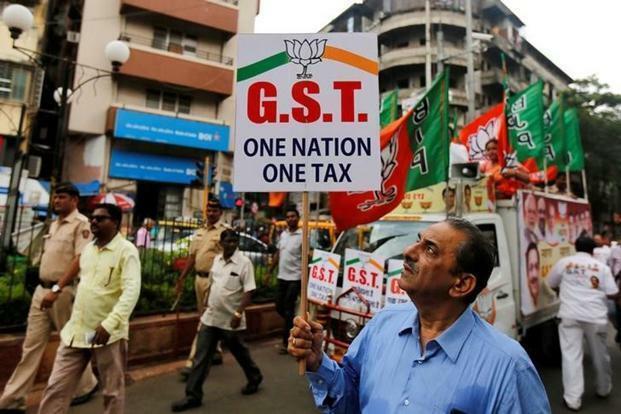 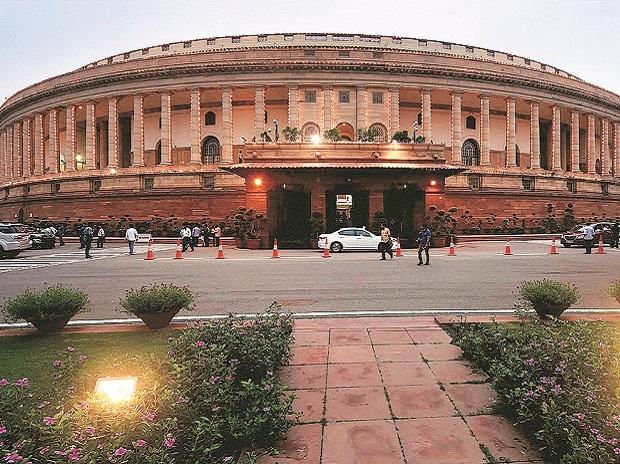 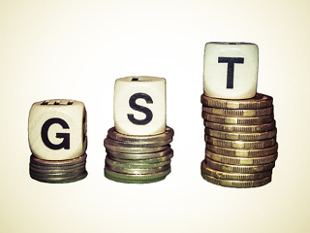 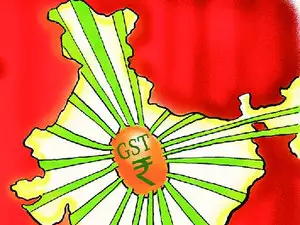 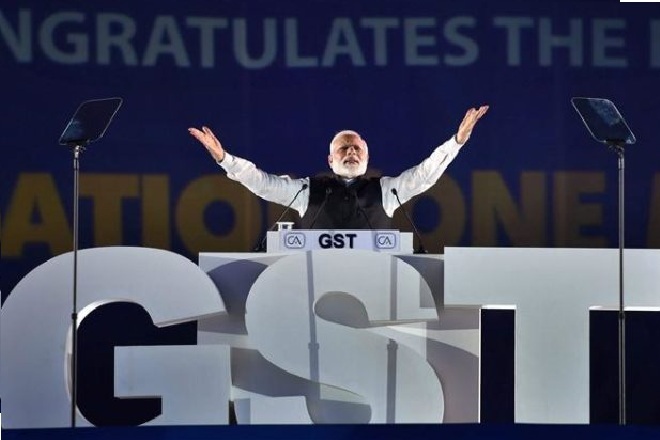 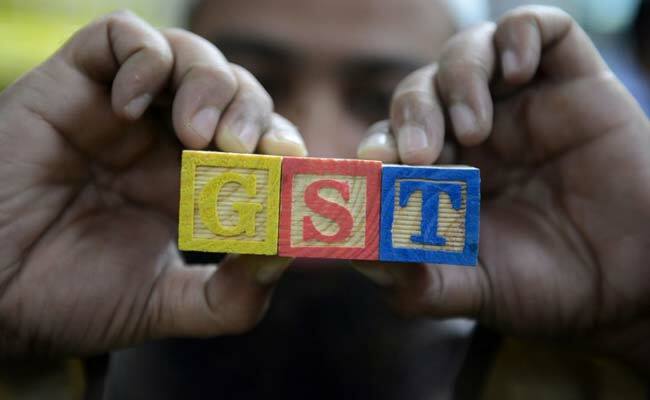 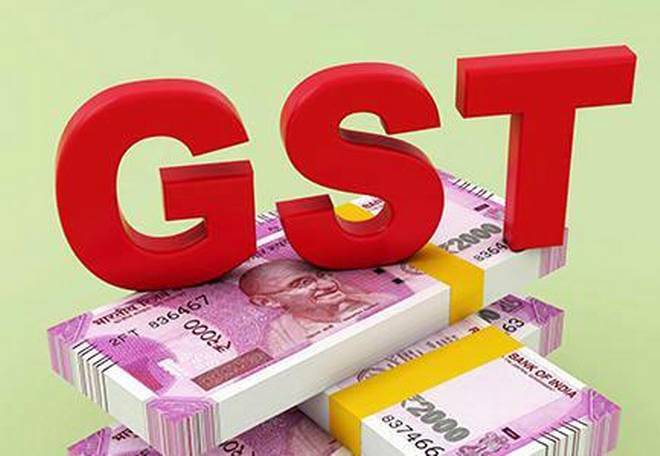 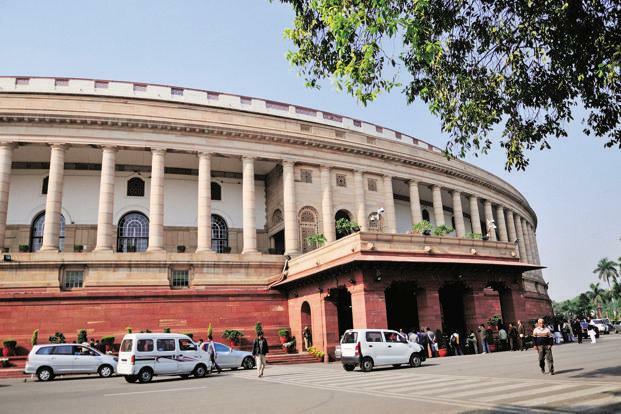 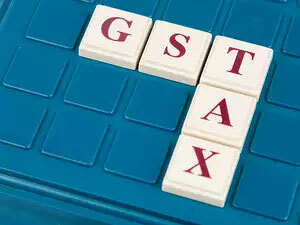 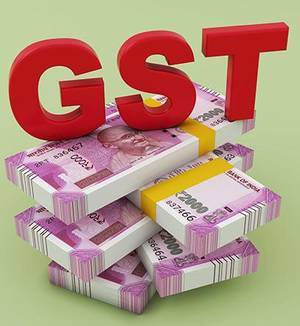 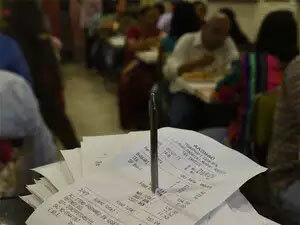 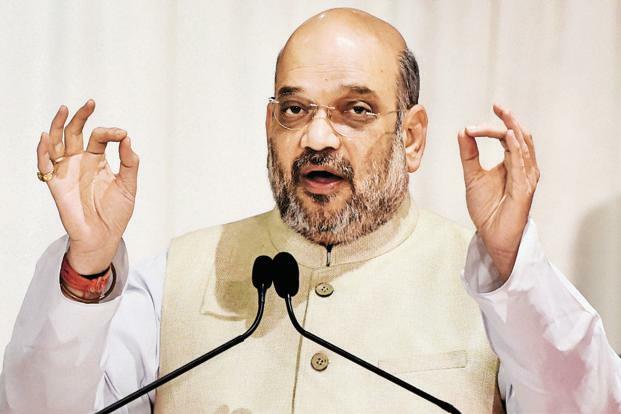 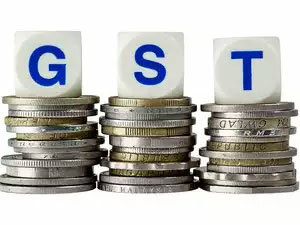 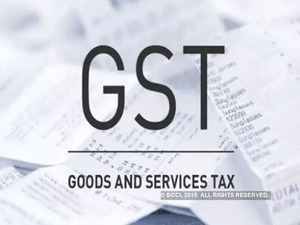 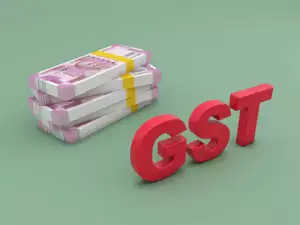 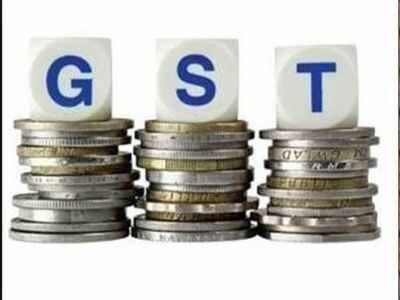 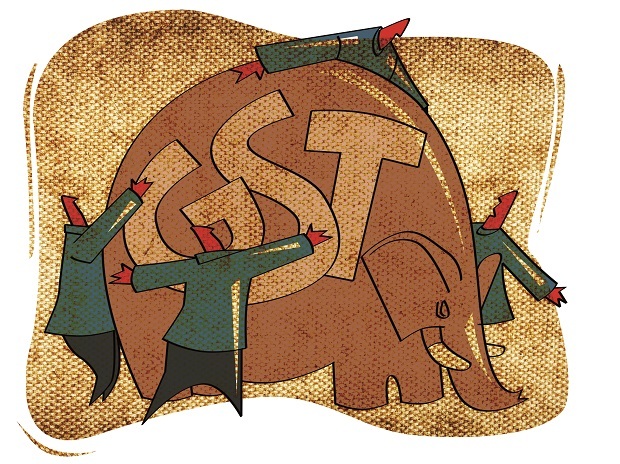 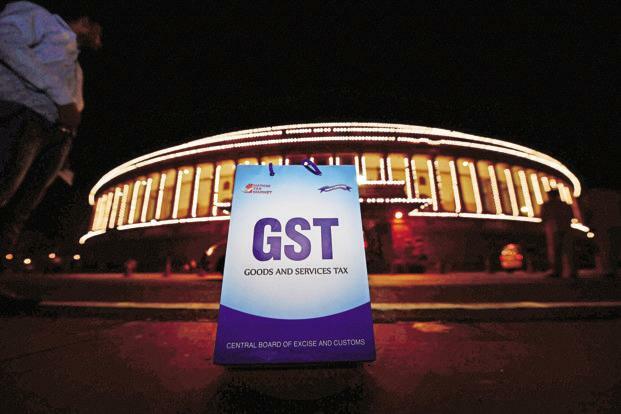 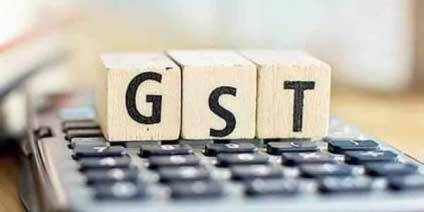 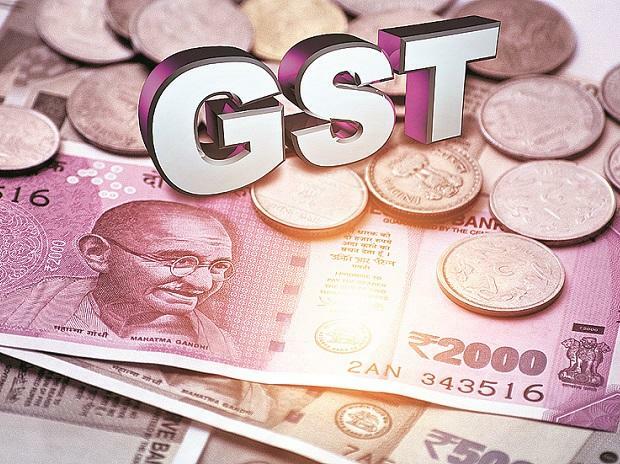 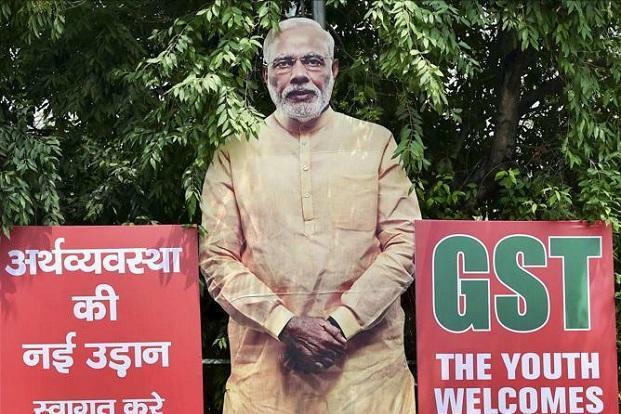 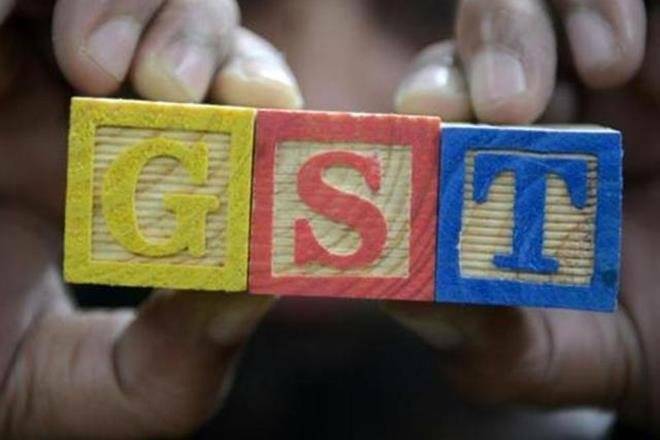 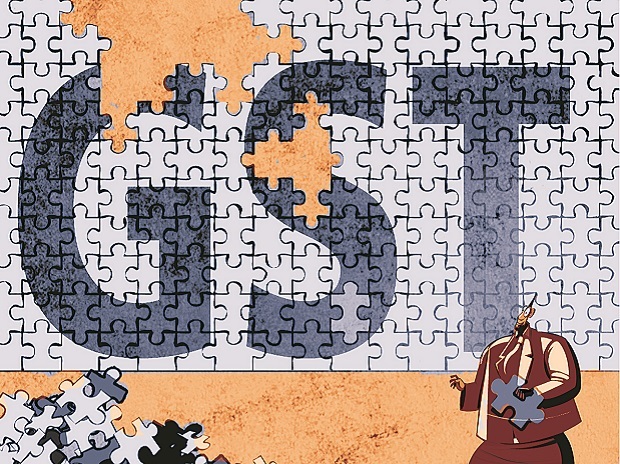 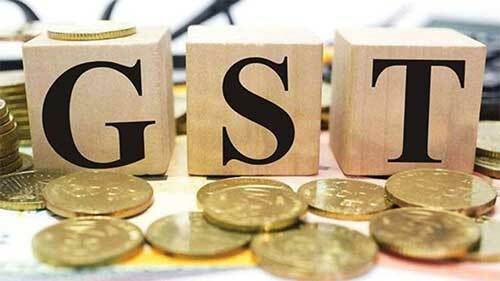 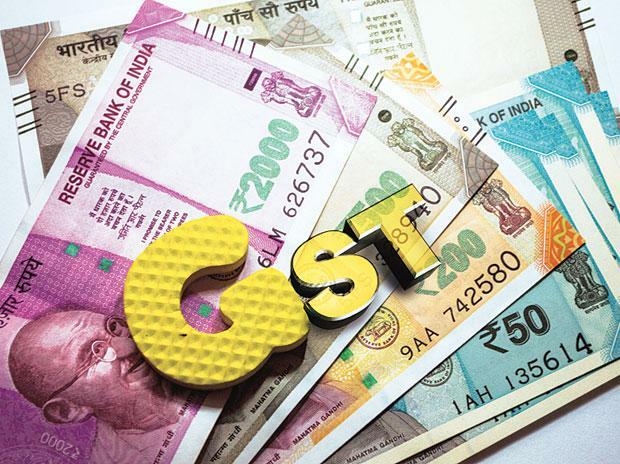 Modi’s National Democratic Alliance (NDA) government implemented GST by amending the Constitution—a feat difficult to pull off in nations where states and local bodies enjoy sovereignty in taxation. 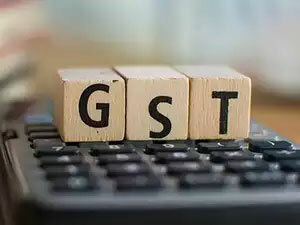 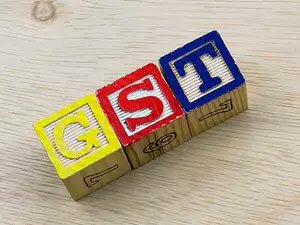 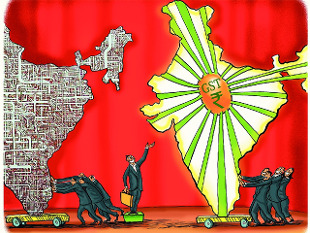 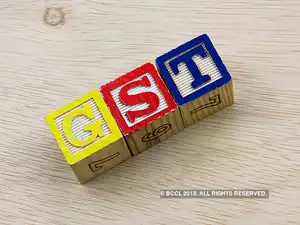 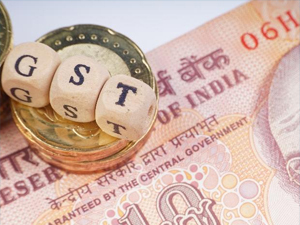 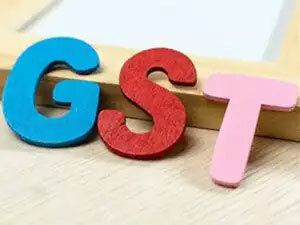 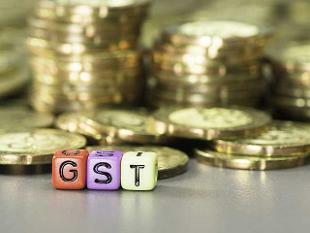 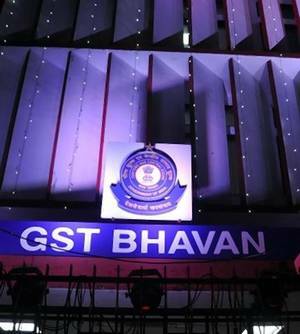 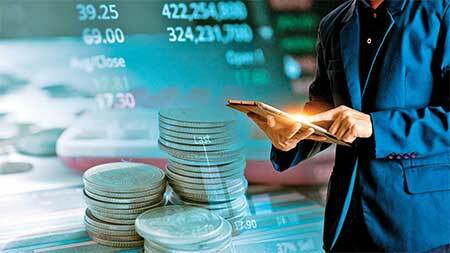 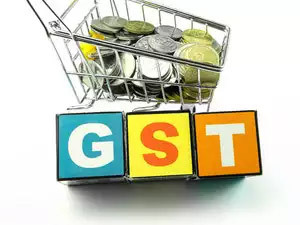 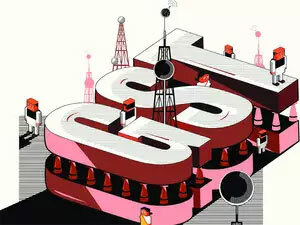 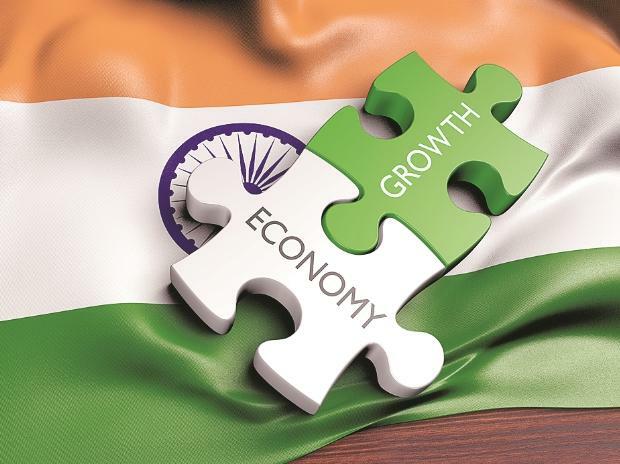 GST moved India away from a system in which tax is added to the post-tax value of goods from the previous stage in the value chain, which had led to a compounding effect of tax-on-tax on commodities and services. 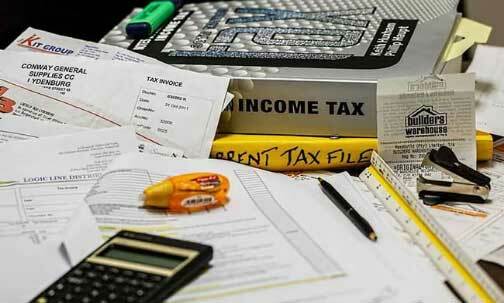 The reform removed this anomaly by giving full credit for taxes paid at the previous stage. 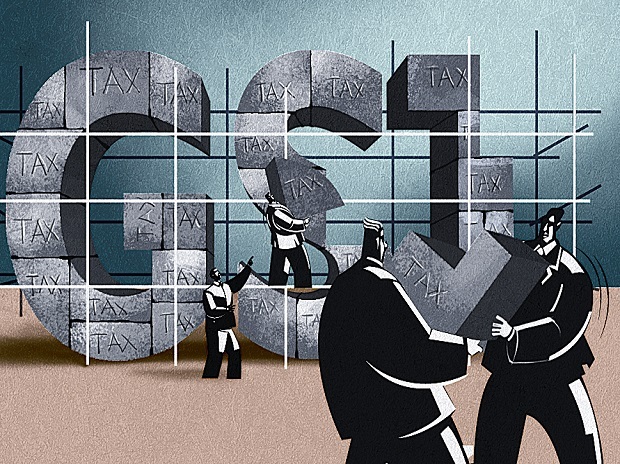 Before GST, states tried to maximize their revenue by denying full tax credit in case of inter-state commerce. 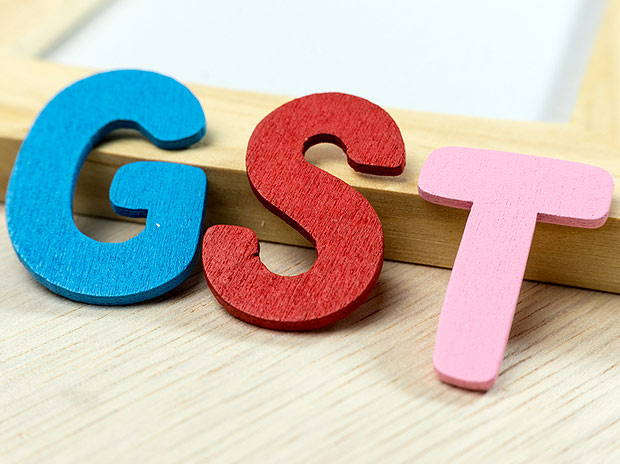 Under GST, inter-state supplies are taxed across the country at a uniform rate specified for the item with full credit settlement. 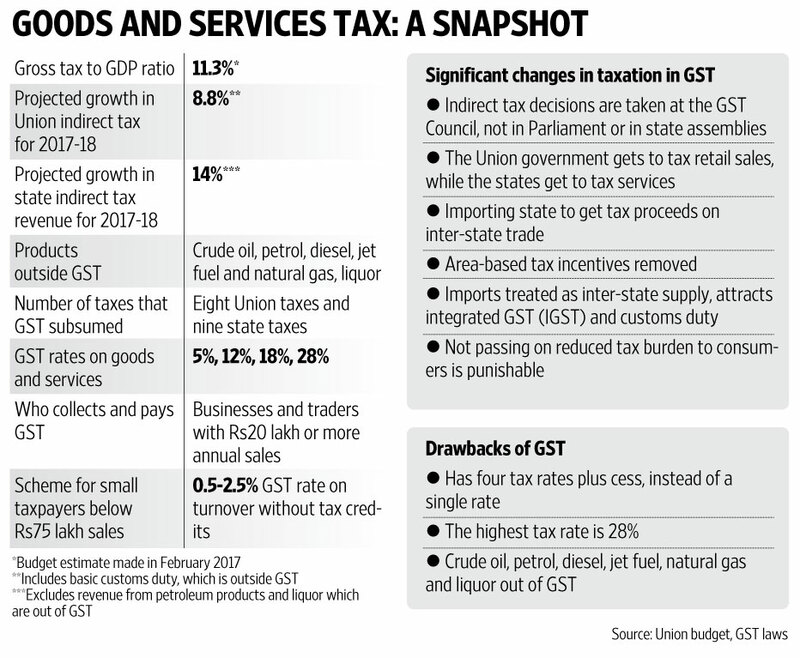 To be sure, GST has been implemented in a diluted form of what was originally considered ideal—a low, single-tax rate with few exemptions. 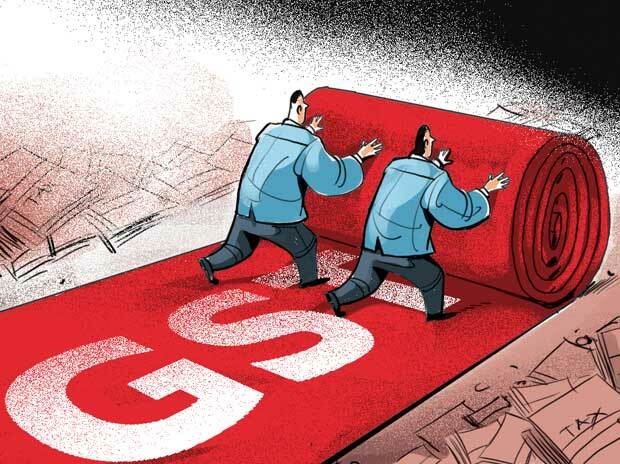 The current form has four rates for goods and services—5%, 12%, 18% and 28%. 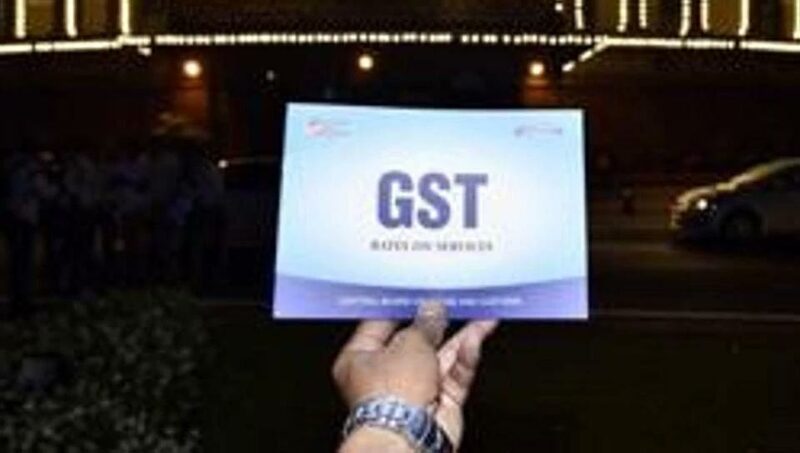 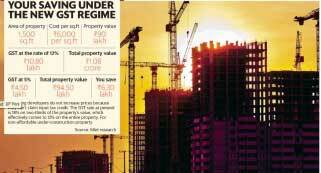 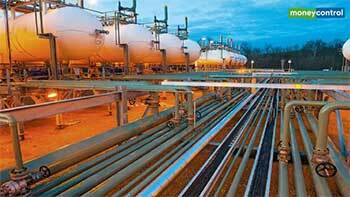 It excludes five hydrocarbons—crude oil, petrol, diesel, jet fuel and natural gas—as well as liquor, real estate and electricity from the purview of GST. 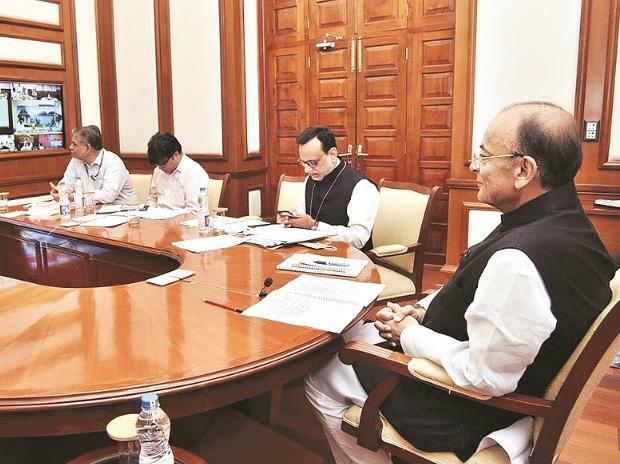 And not even the most optimistic officials in the government can deny that there have been teething troubles. 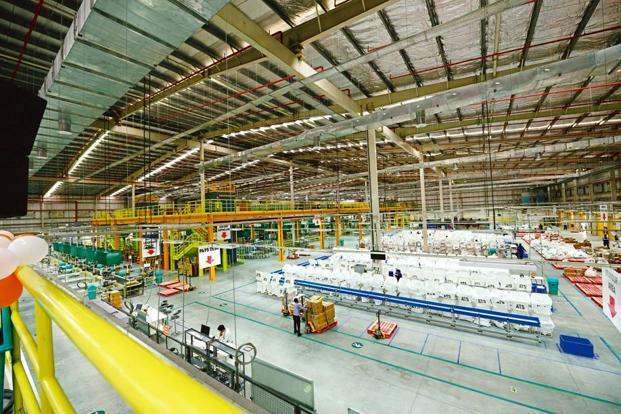 Manufacturing activity, which has been weak for some time, showed a drop in July to the lowest since February 2009, the first month of the tax reform, as companies and their supply chains adjusted to the demands of the new system. 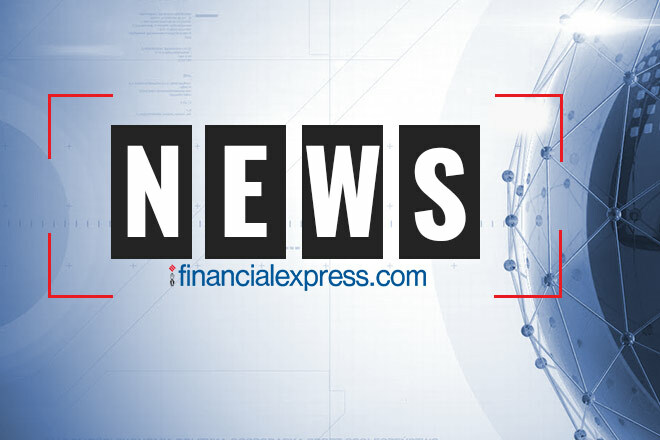 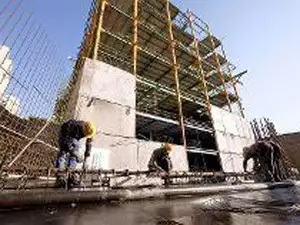 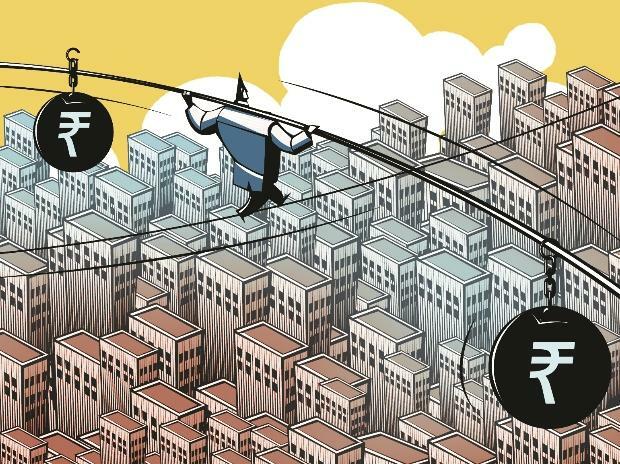 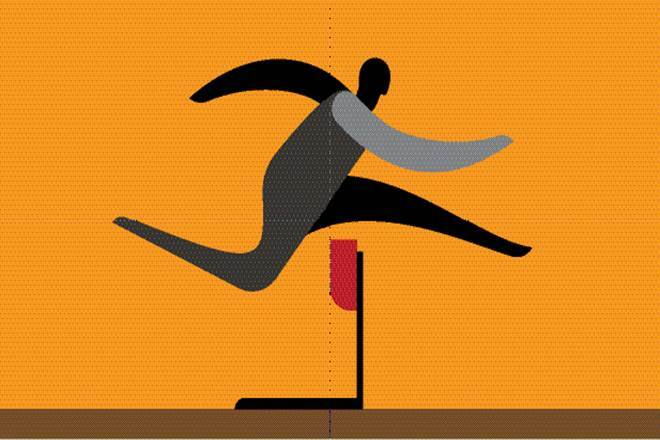 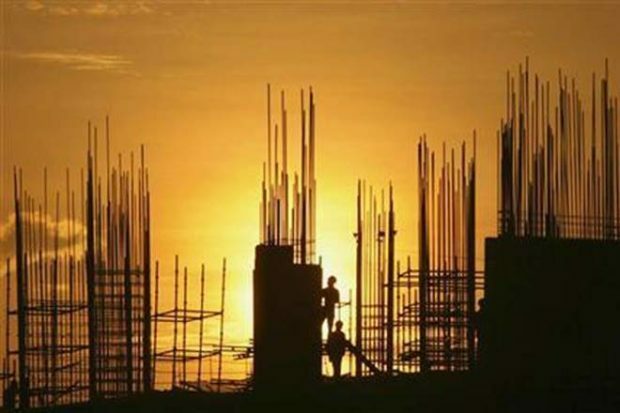 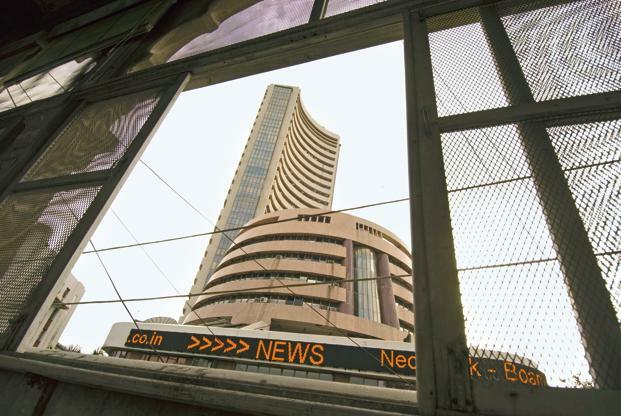 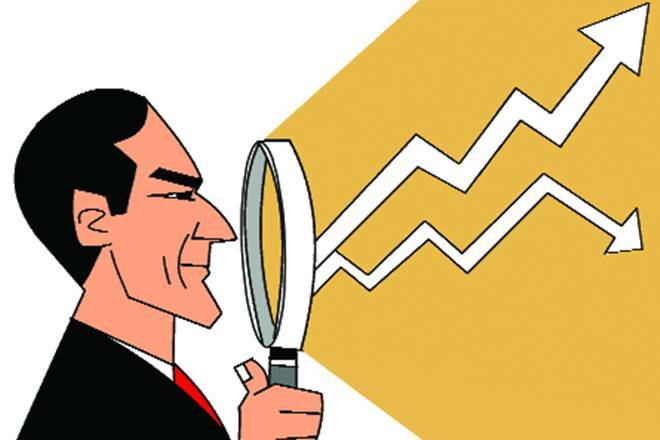 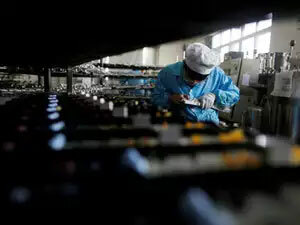 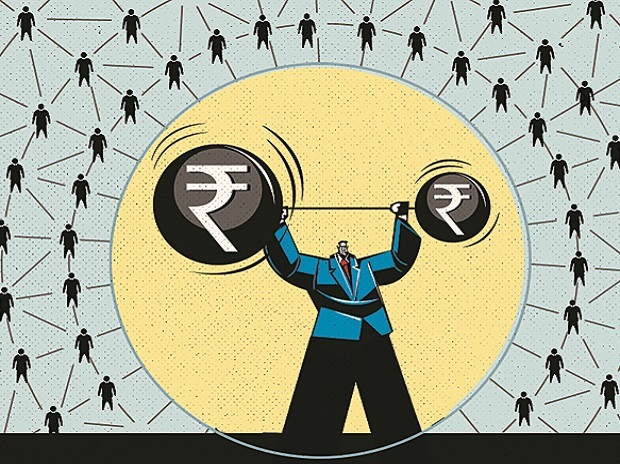 The Nikkei India Manufacturing Purchasing Managers’ Index (PMI) for July was at 47.9, compared with 50.9 for June. 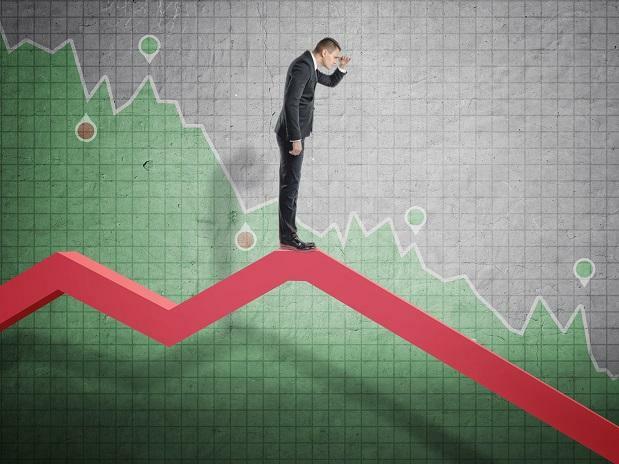 A reading of below 50 indicates a contraction. 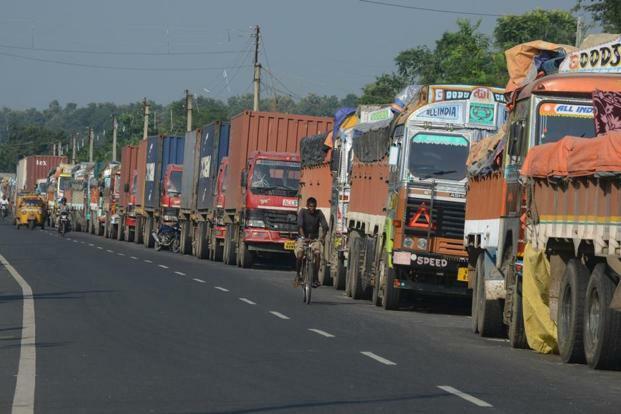 Experts say these troubles will be overcome. 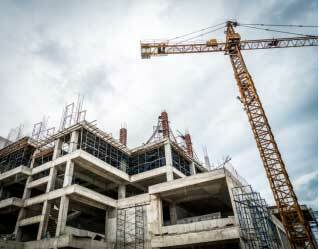 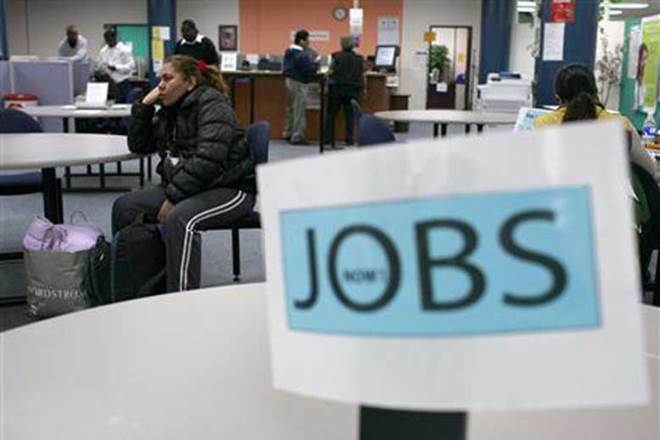 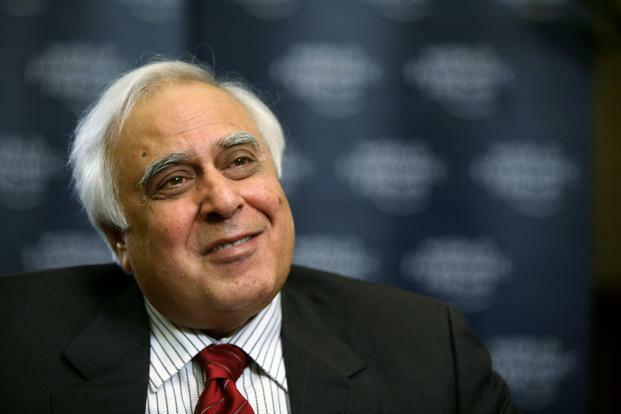 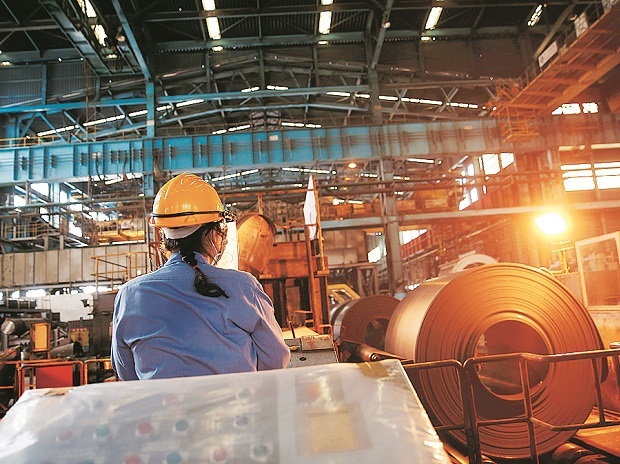 “The drop in manufacturing activity could be a temporary blip,” said D.K. 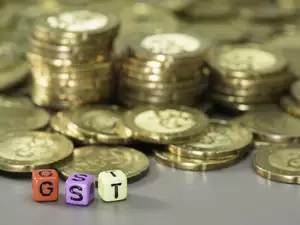 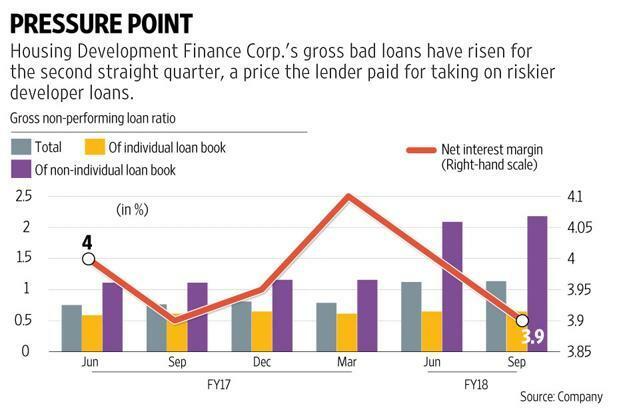 Joshi, chief economist at rating company Crisil Ltd, adding that production had been postponed in July as businesses made the transition to the new indirect tax system. 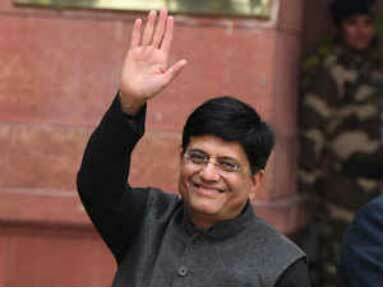 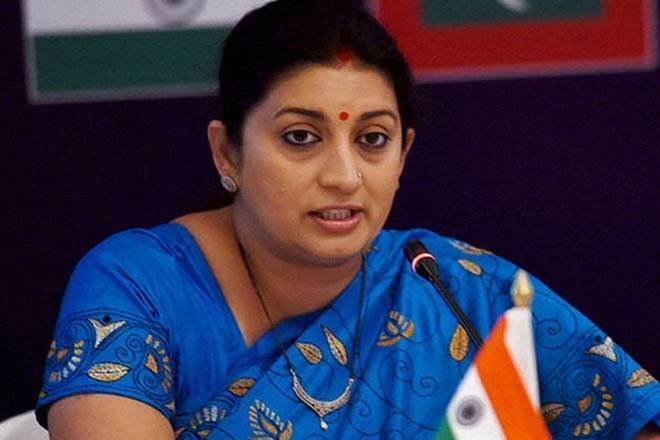 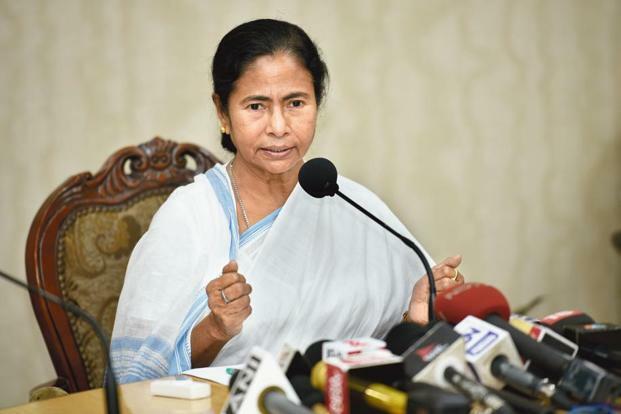 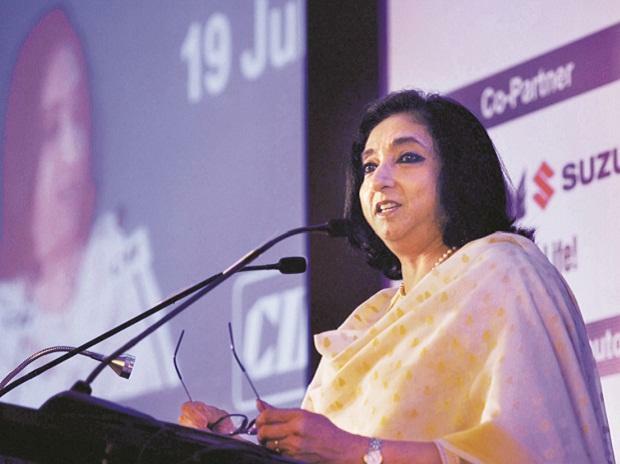 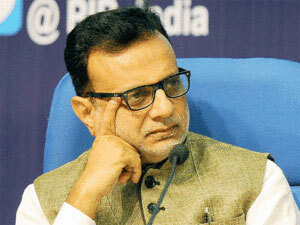 “Manufacturing activity will improve gradually,” added Joshi. 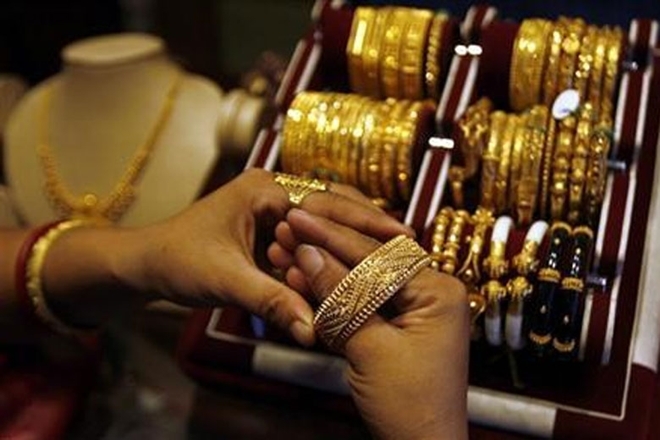 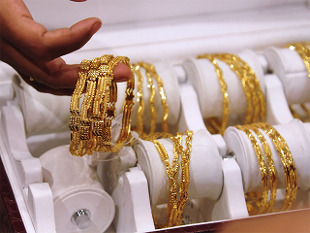 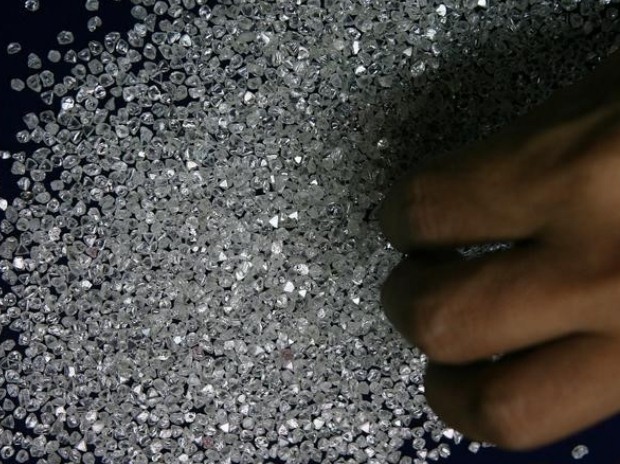 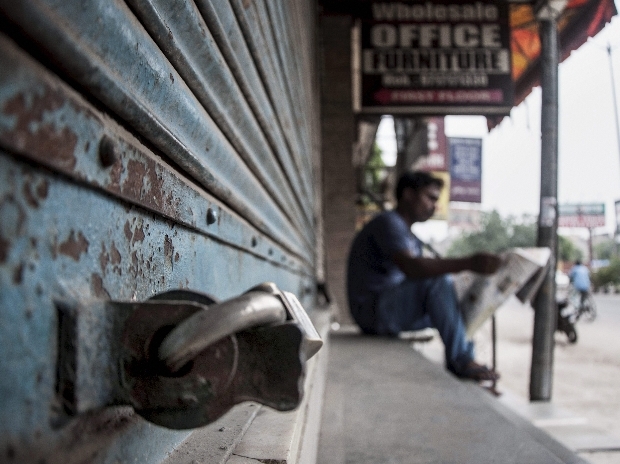 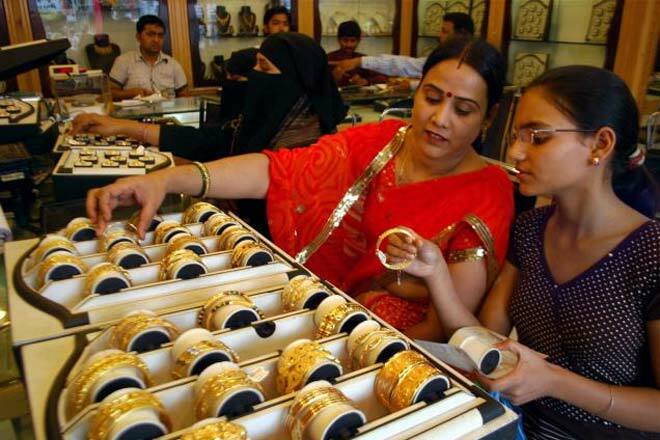 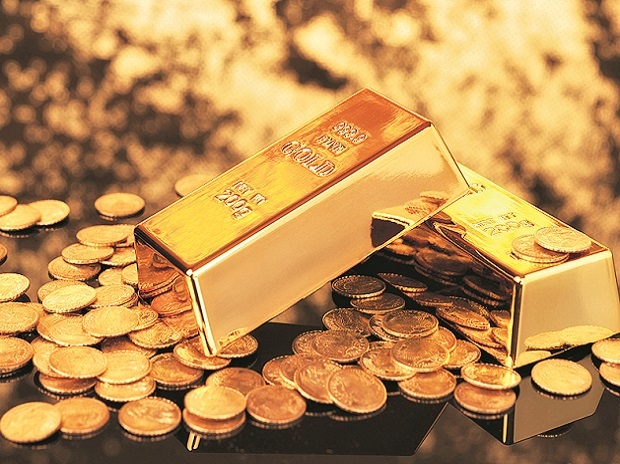 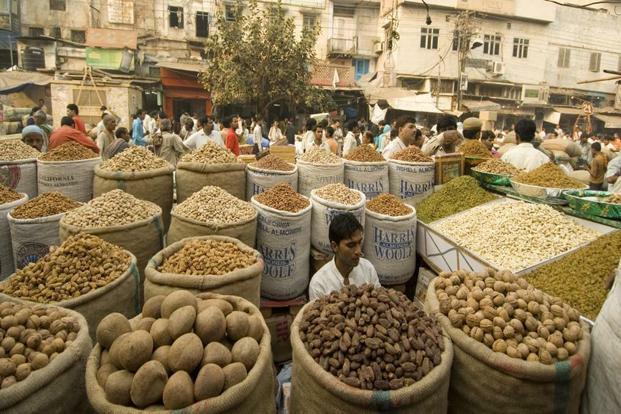 The prices of many commodities and services have come down after 1 July. 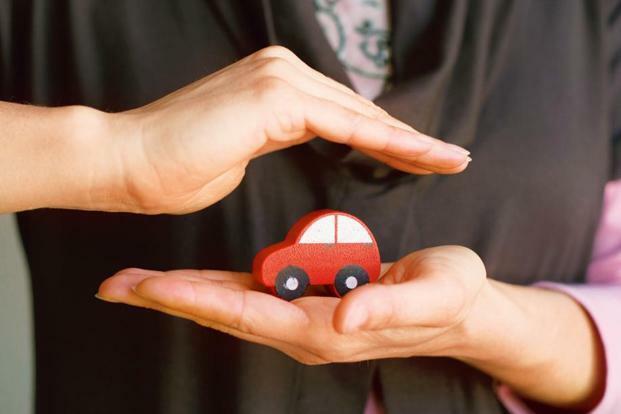 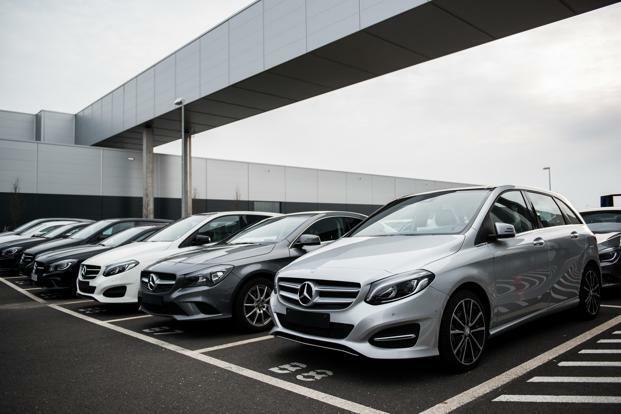 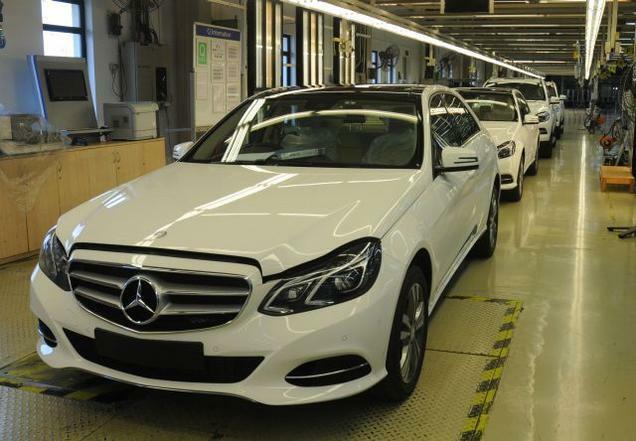 Bike and car makers immediately slashed prices, in line with the reduced tax burden, while in the case of products where there is an increase in the tax burden, companies remained cautious in increasing prices. 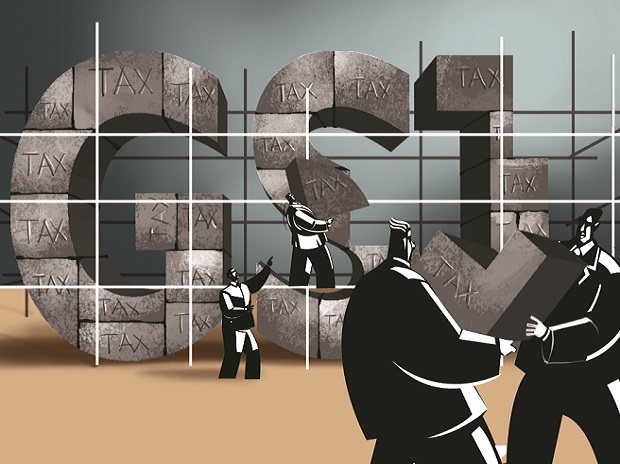 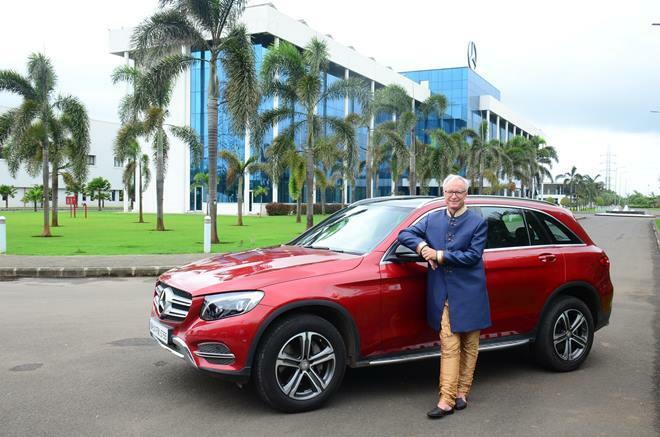 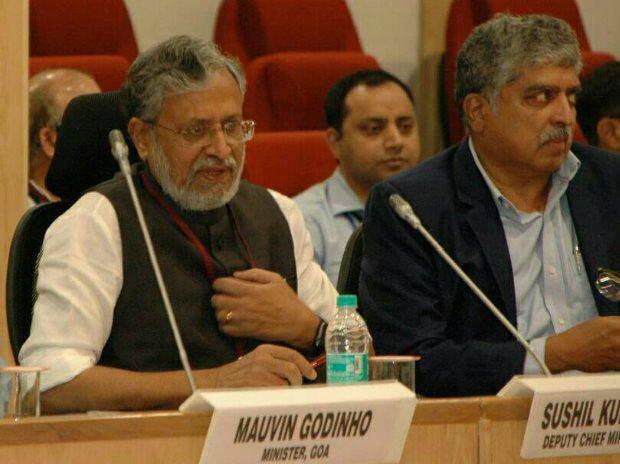 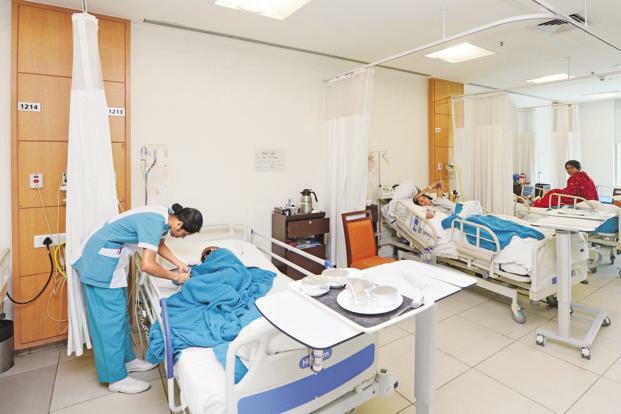 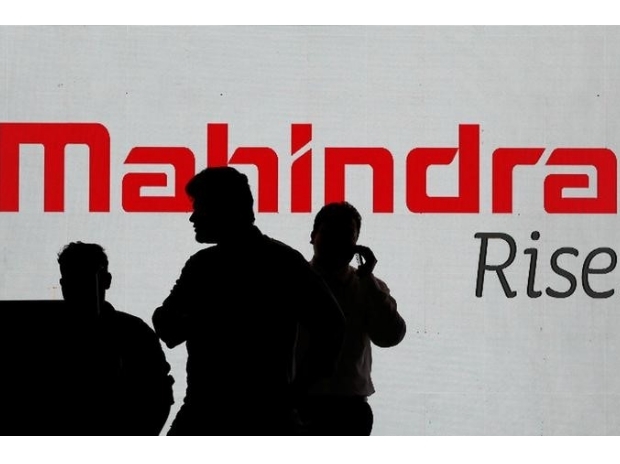 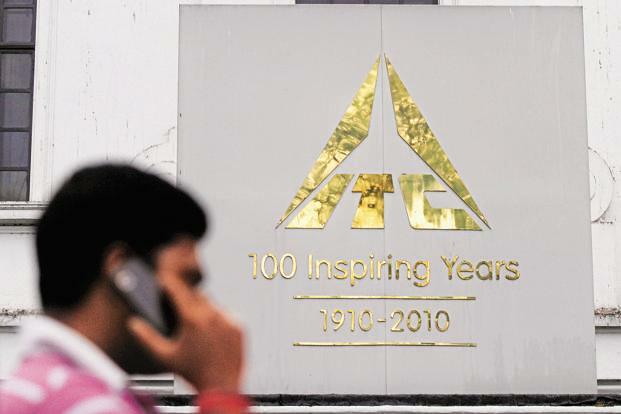 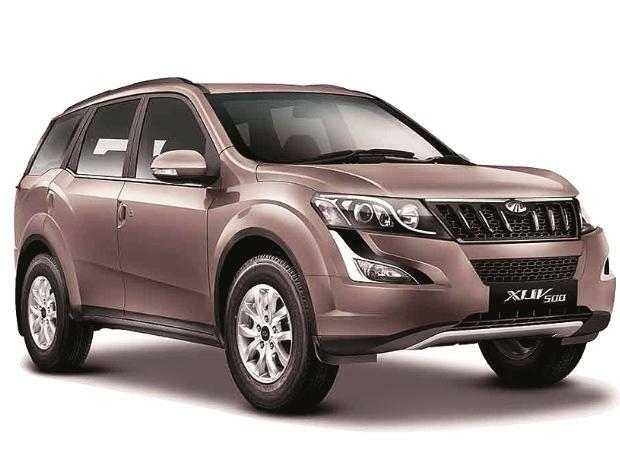 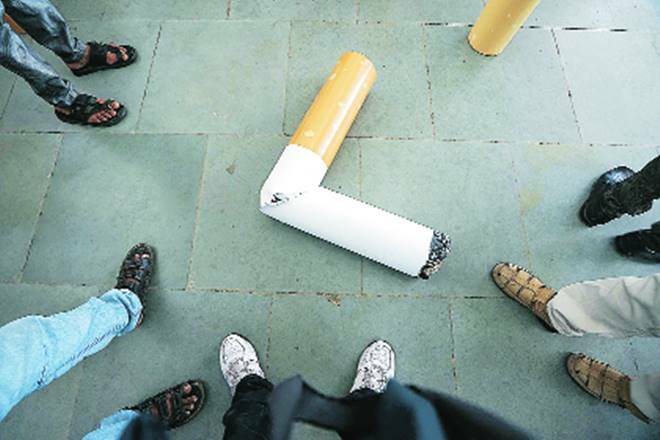 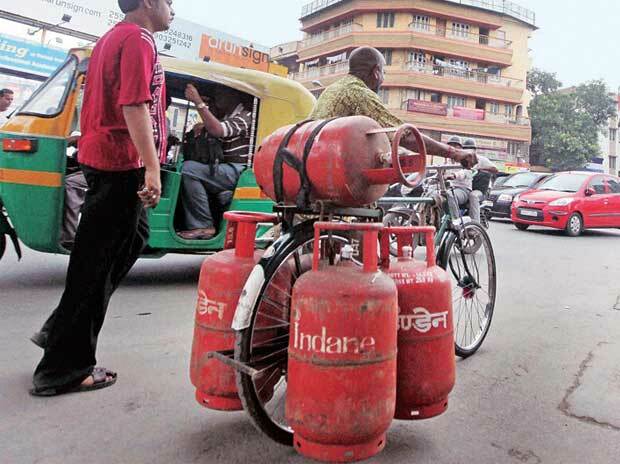 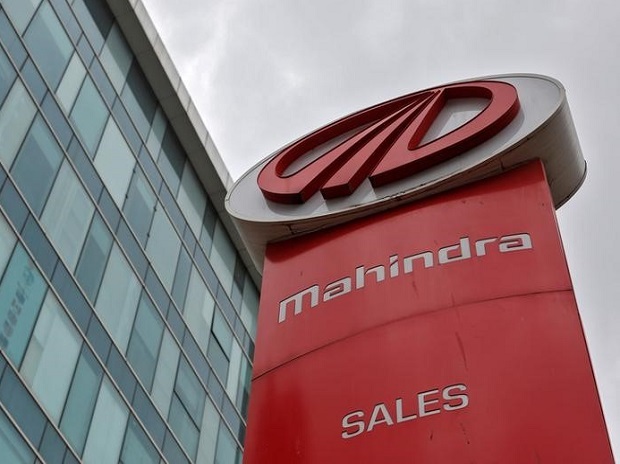 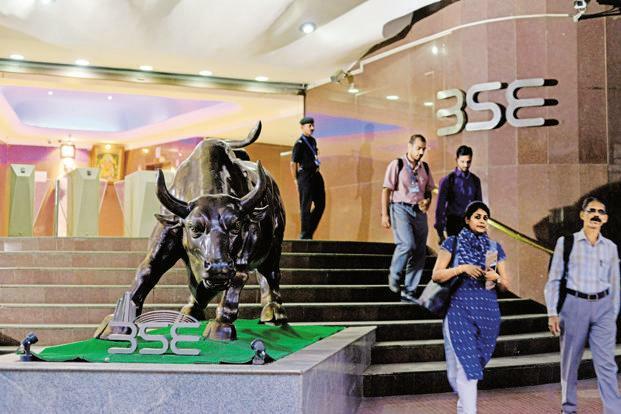 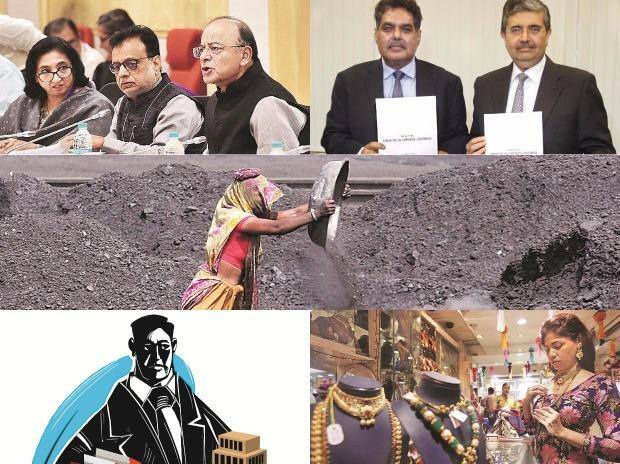 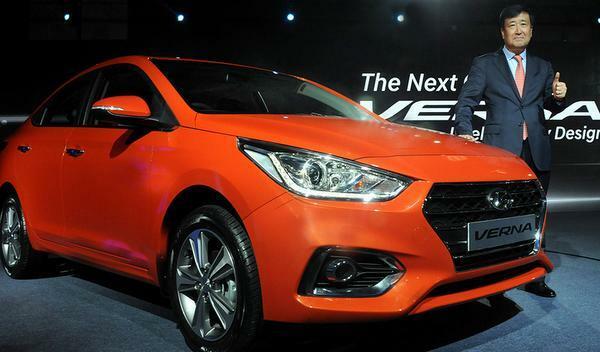 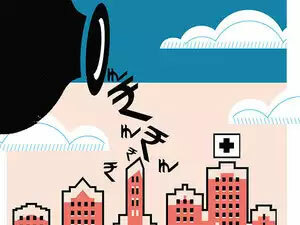 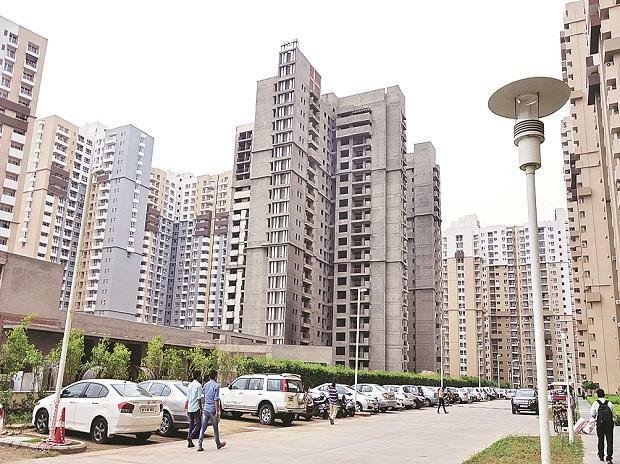 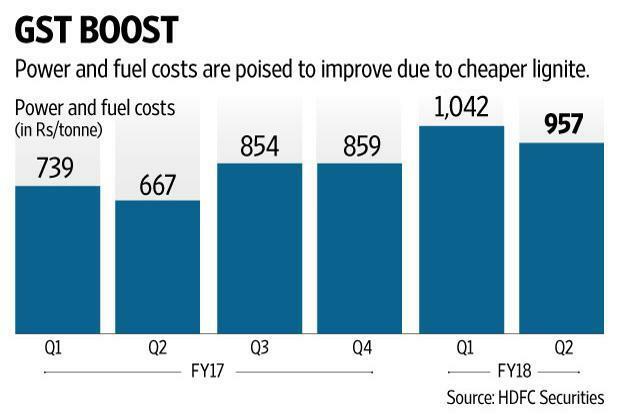 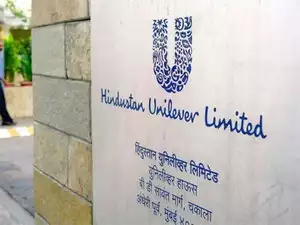 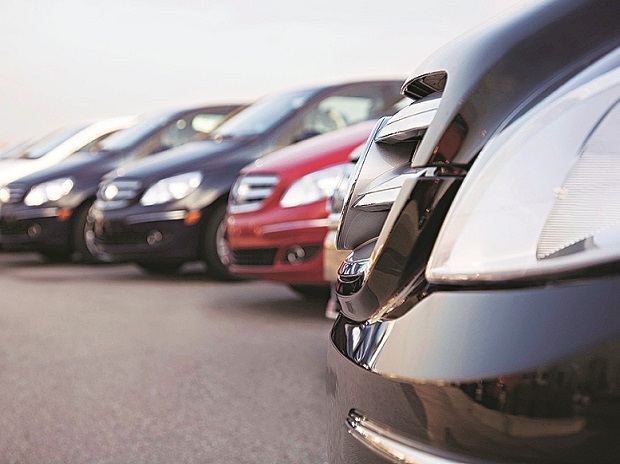 But raising the cess on cigarettes within three weeks of GST’s roll-out and a move currently underway to raise the tax on mid-segment and luxury cars have caught companies in these sectors on the wrong foot. 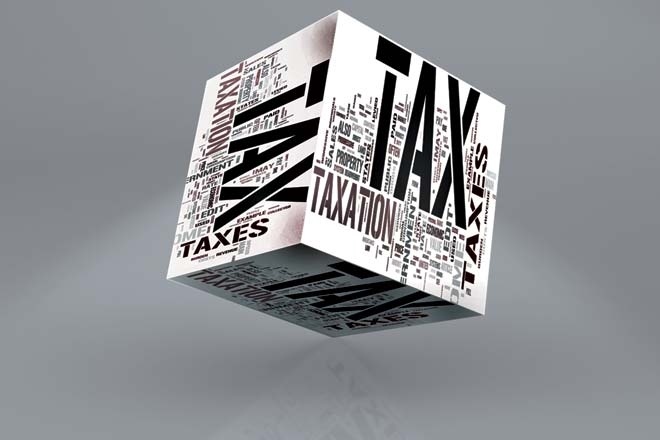 “Tax policy is something that keeps evolving,” said a government official, who asked not to be named. 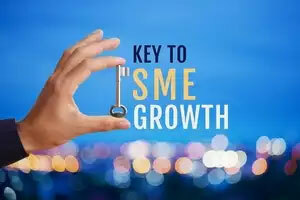 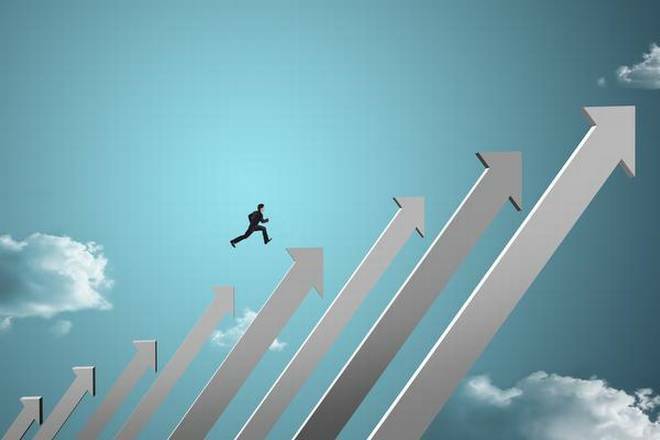 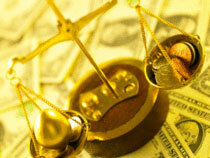 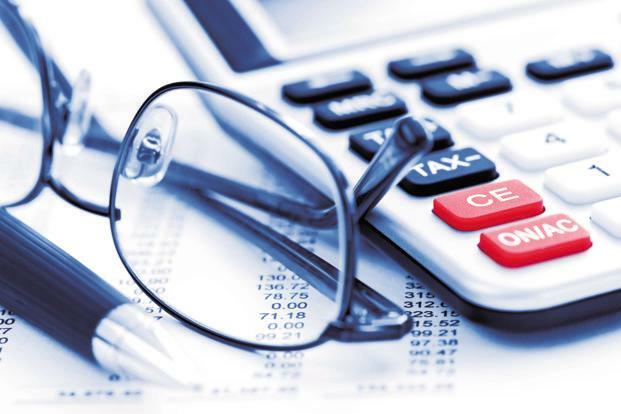 Experts, however, believe it is wise to let businesses settle down in the new regime before changing rates further. 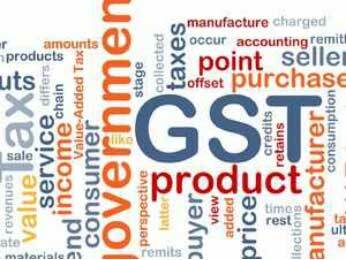 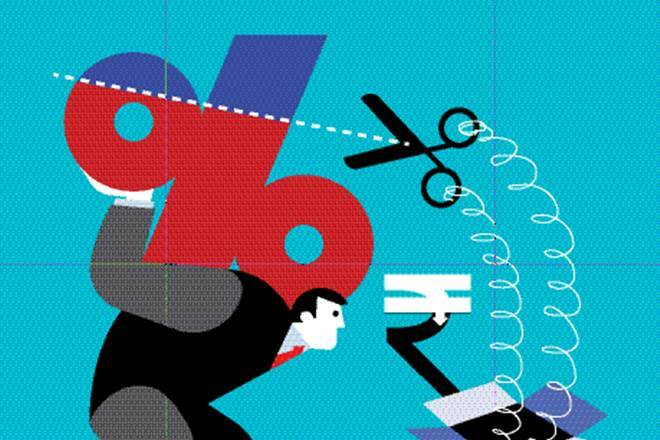 “One of the perceived benefits of the GST regime was rationalization of tax rates and consequential reduction in the number of tax slabs. 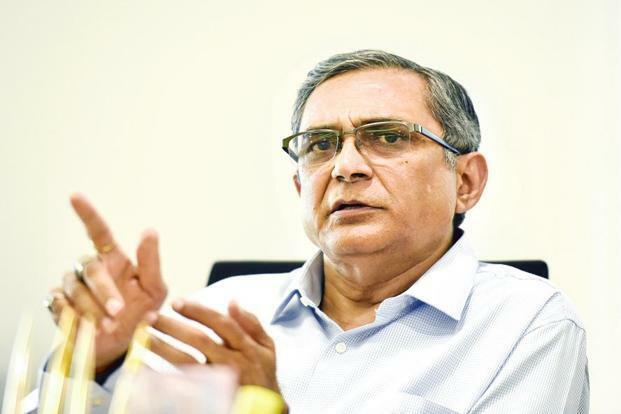 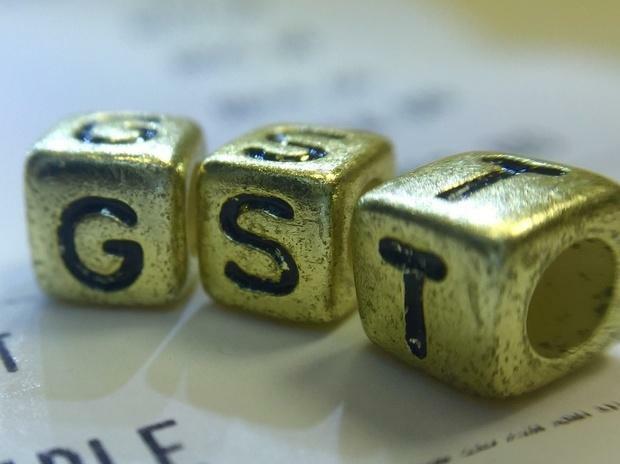 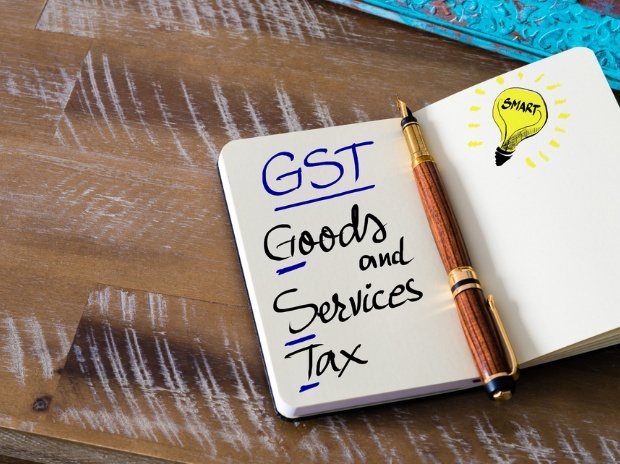 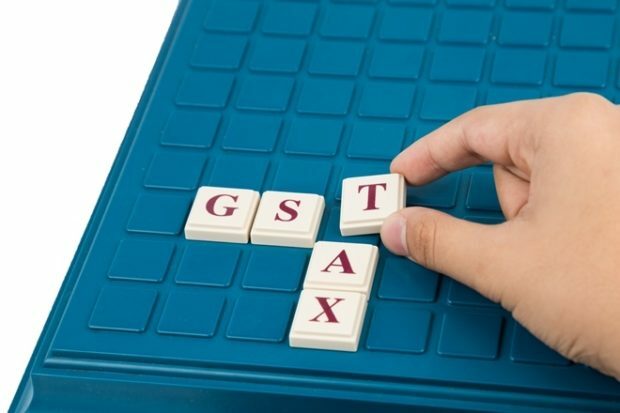 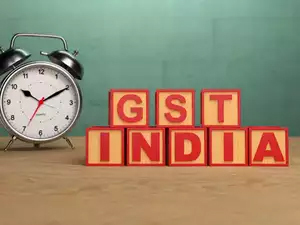 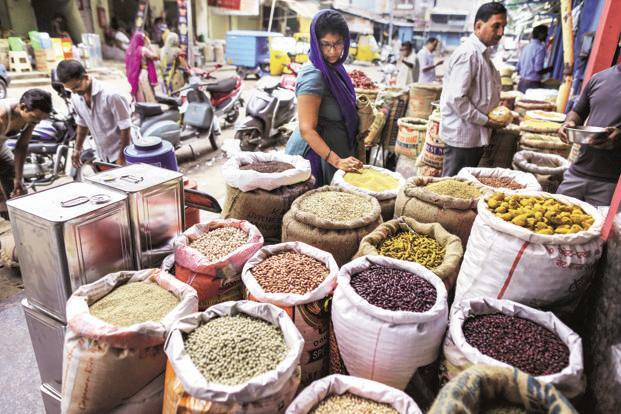 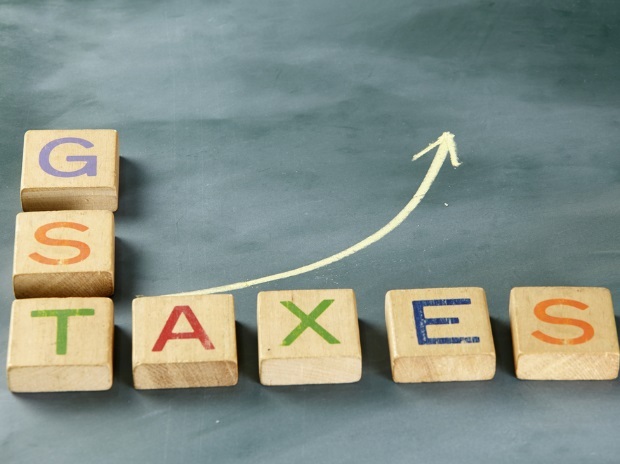 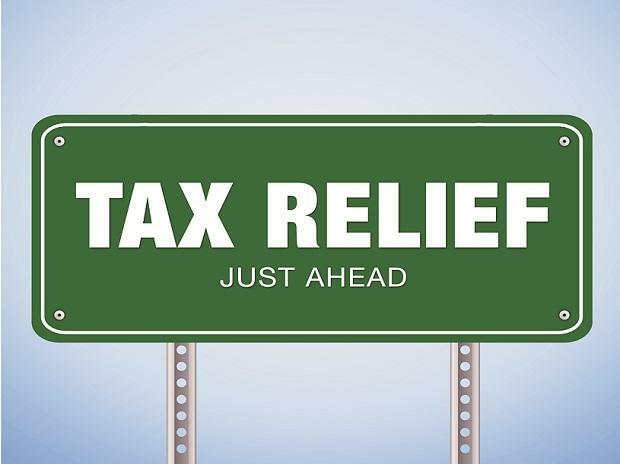 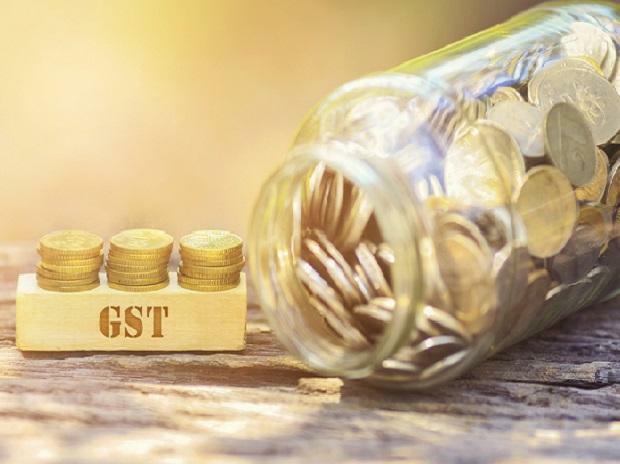 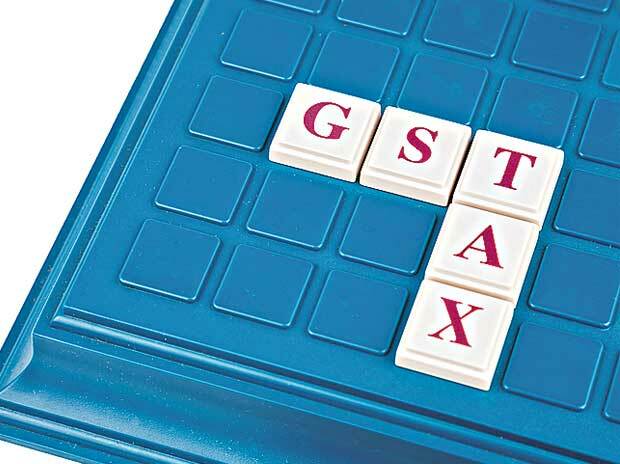 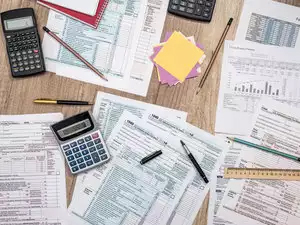 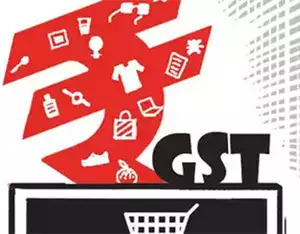 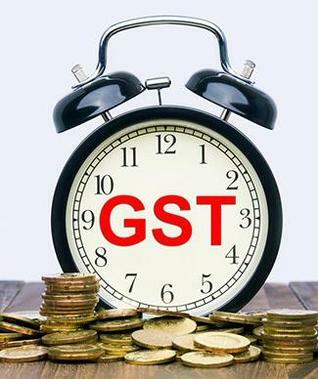 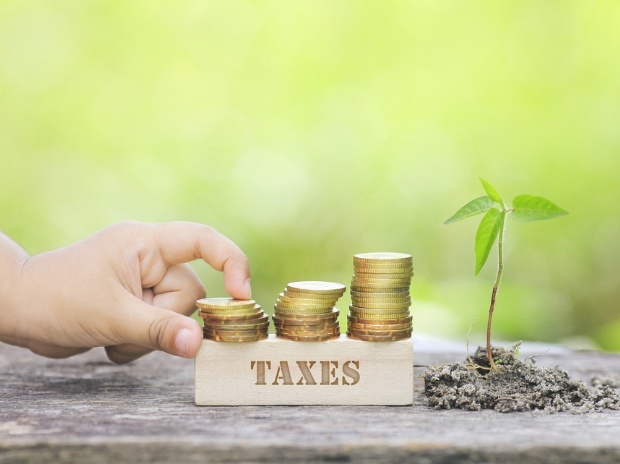 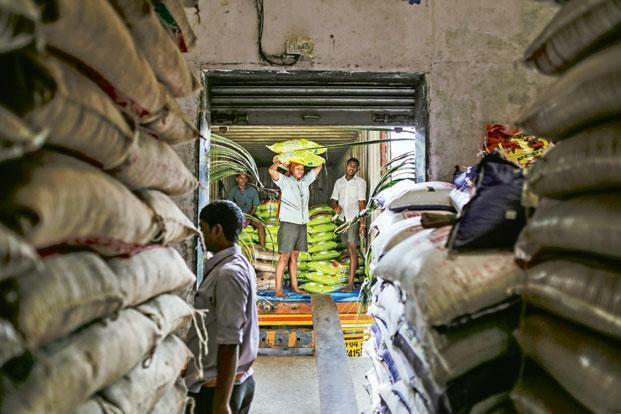 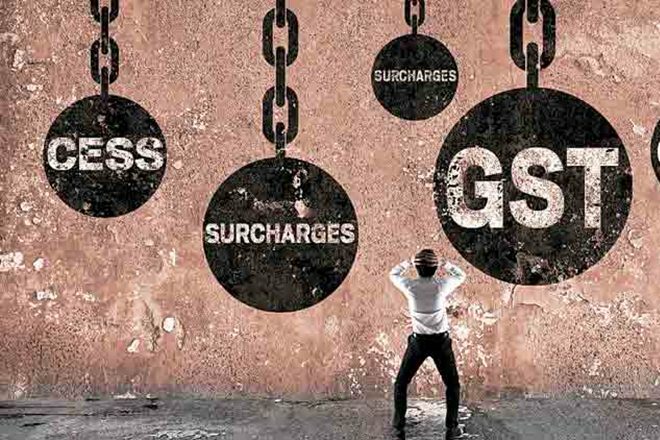 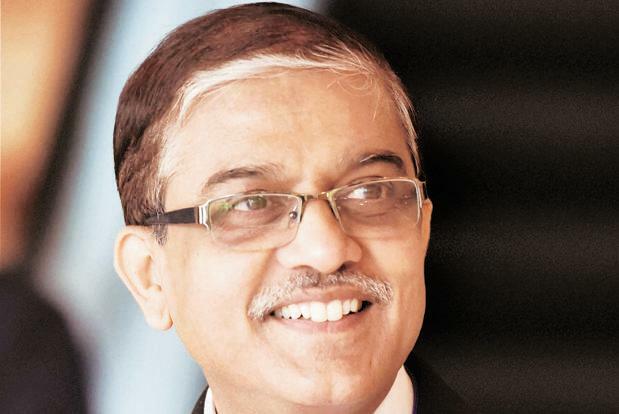 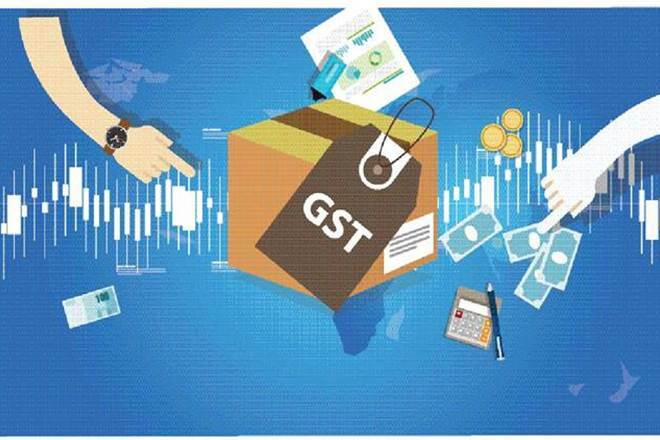 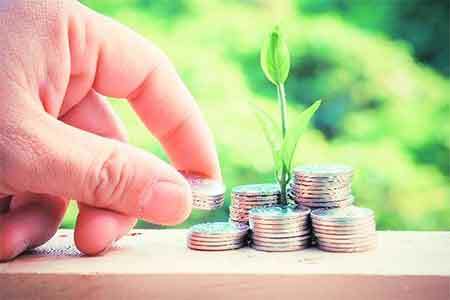 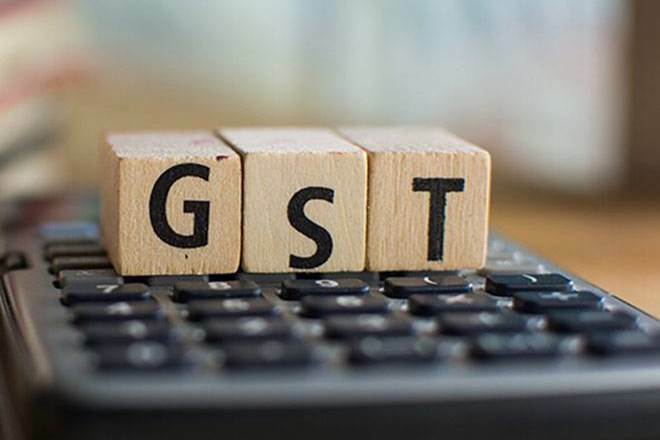 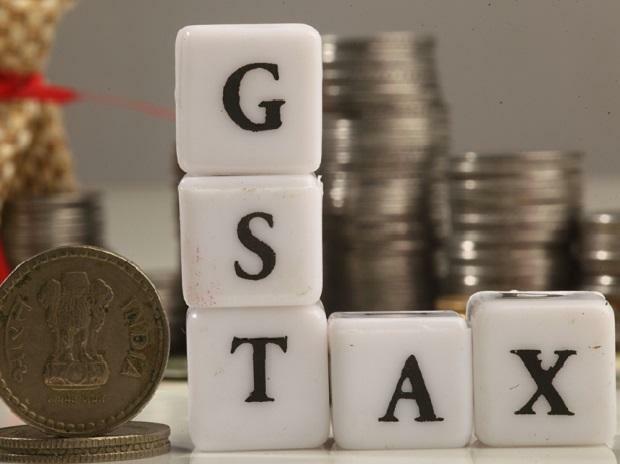 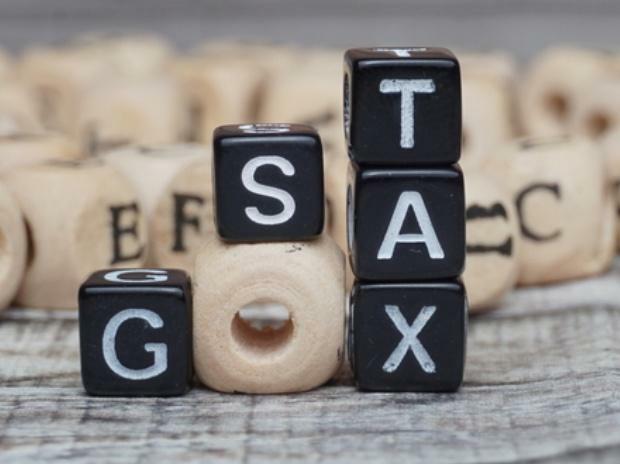 If we are moving towards matching the tax incidence in each and every commodity under GST with the erstwhile tax regime, we will be moving away from the objective of keeping the tax regime simple,” said R. Muralidharan, senior director, Deloitte India. 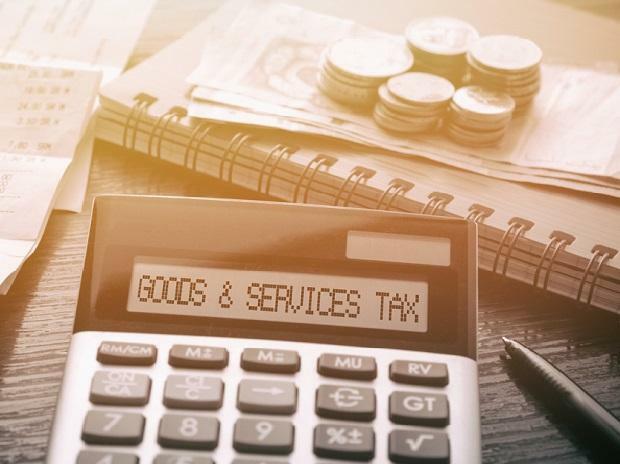 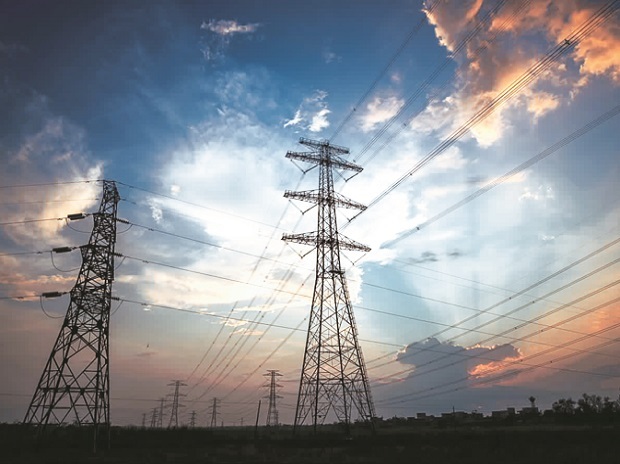 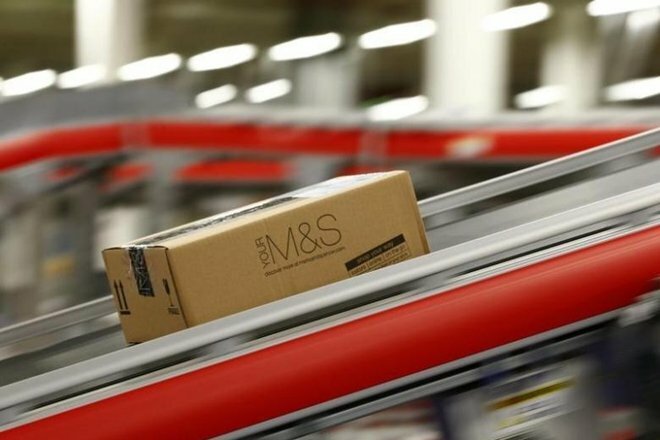 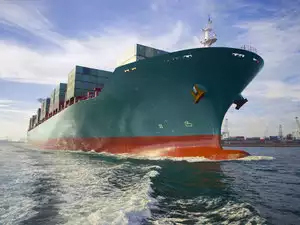 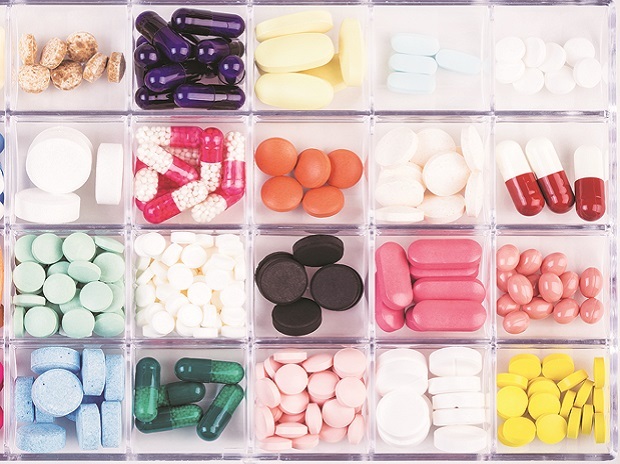 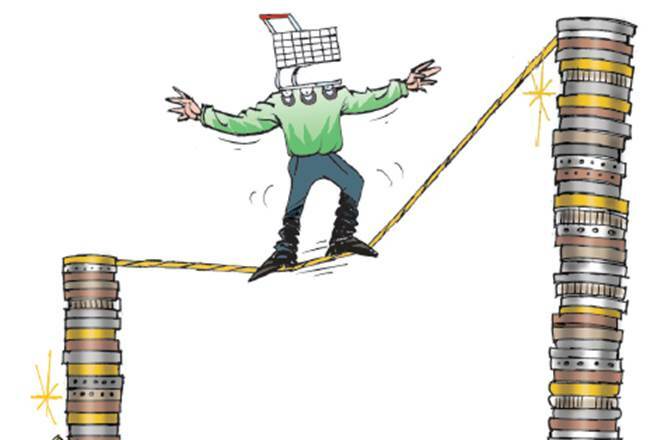 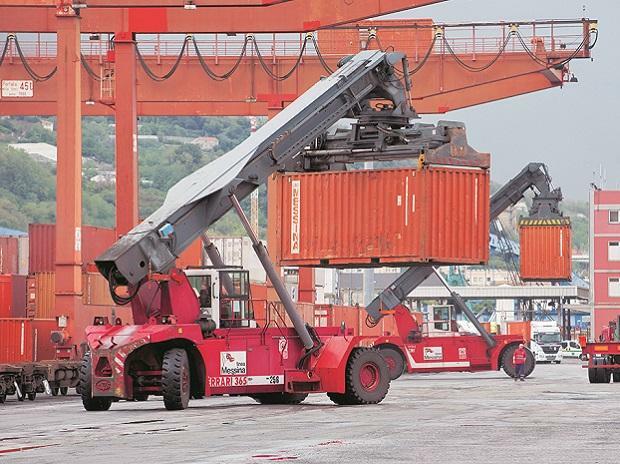 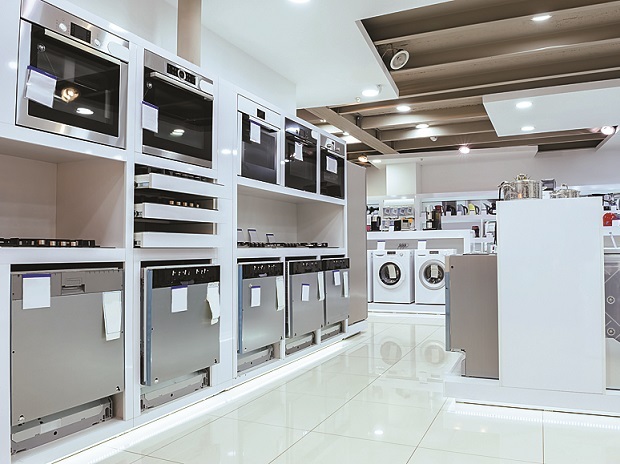 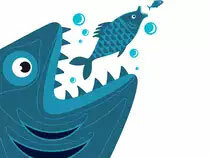 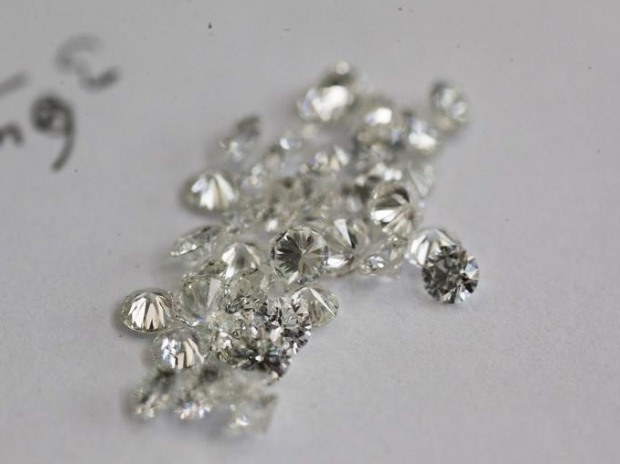 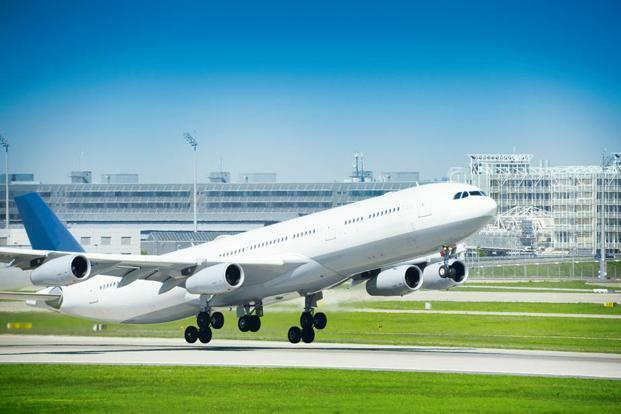 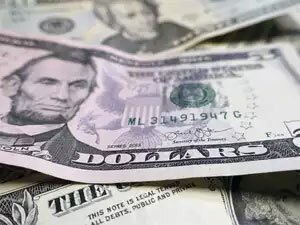 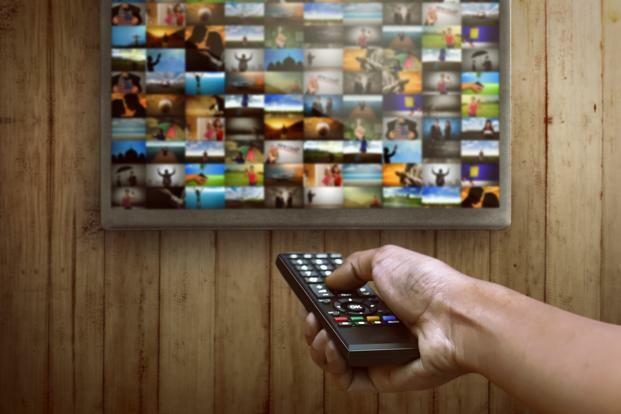 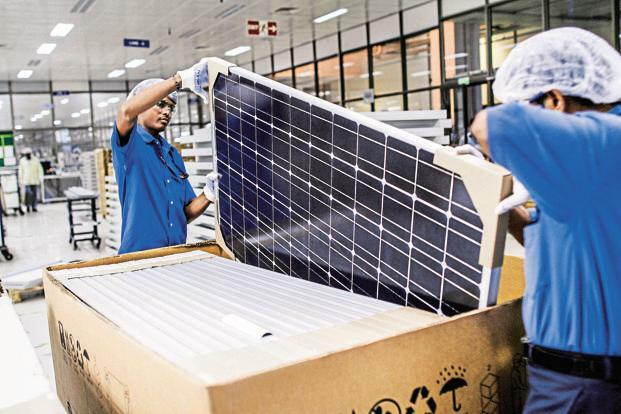 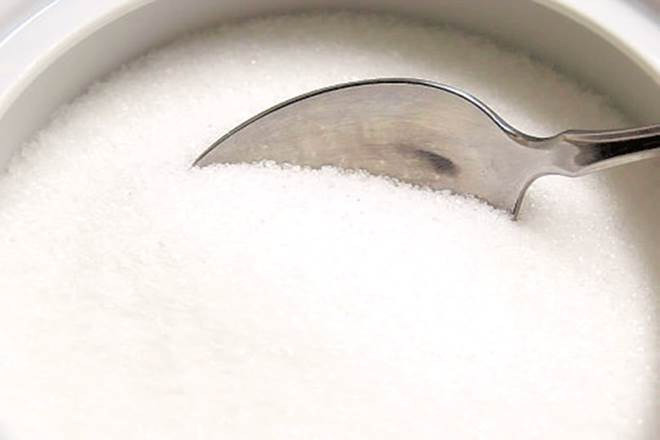 Many businesses are waiting and watching before passing on any increased tax cost on raw materials and services to consumers, worrying about losing market share and trying not to come under the gaze of the tax authorities for alleged profiteering. 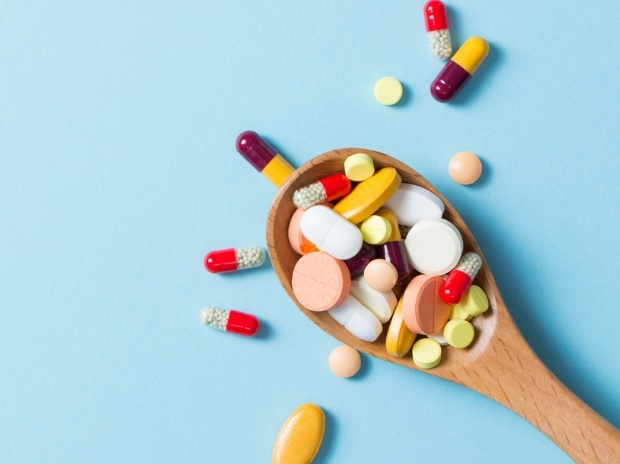 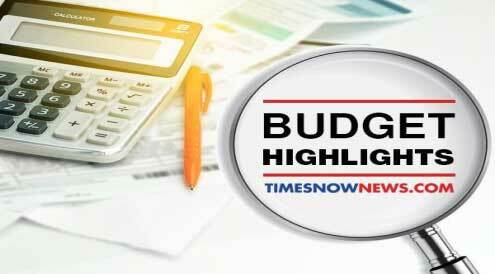 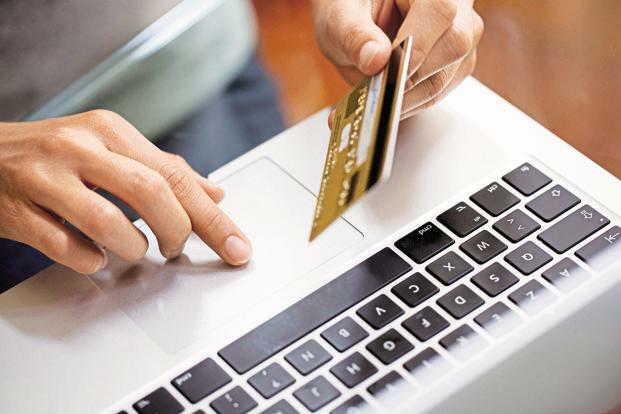 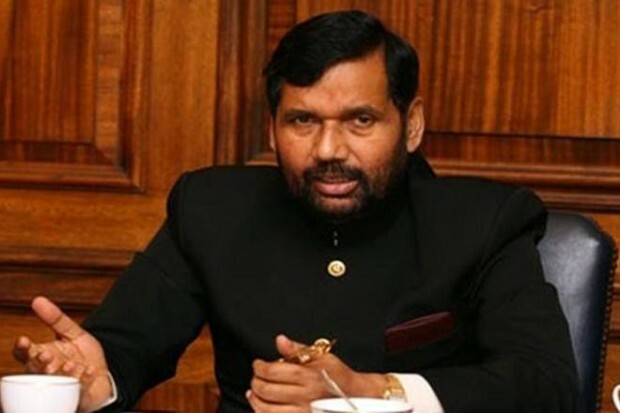 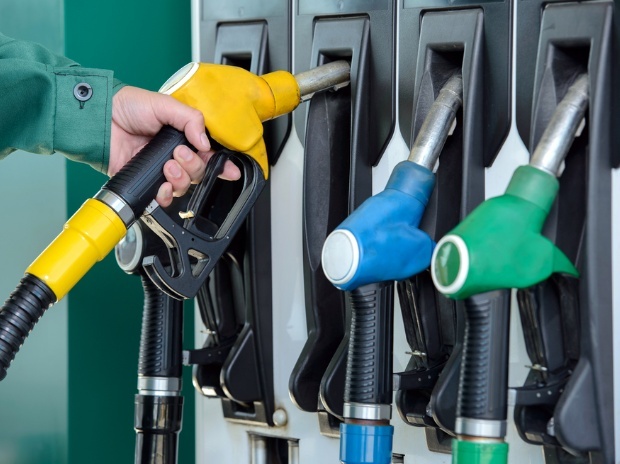 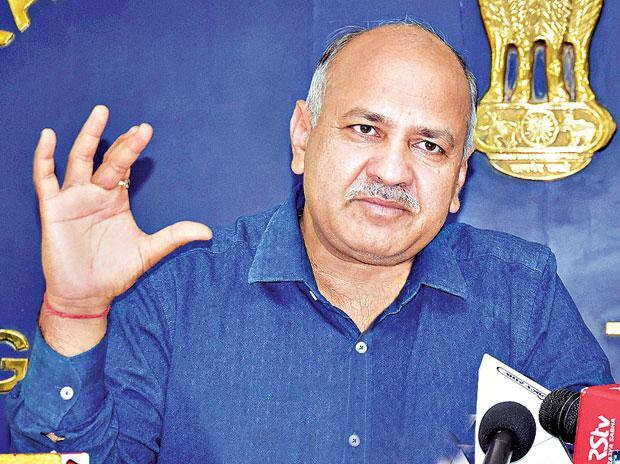 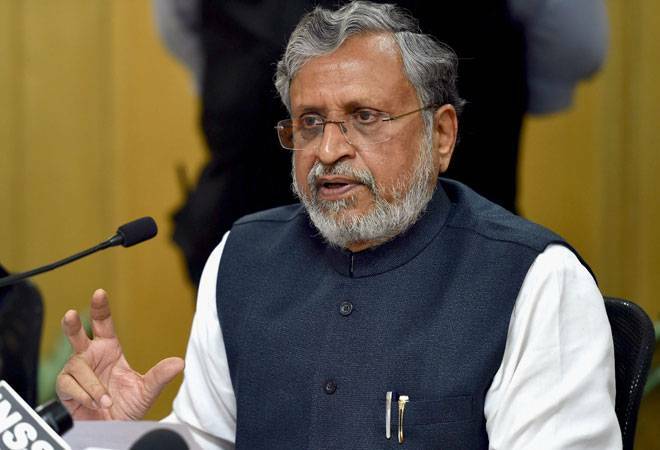 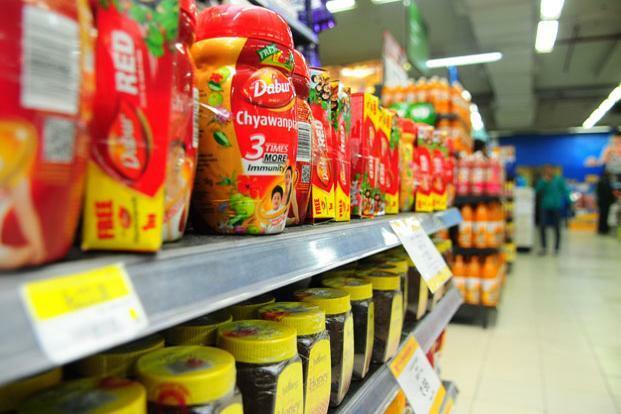 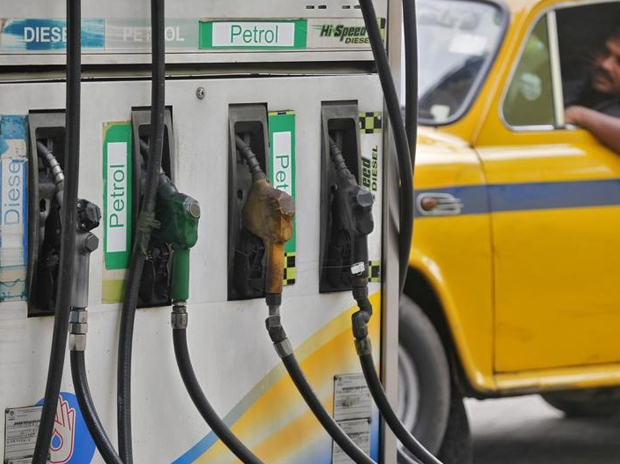 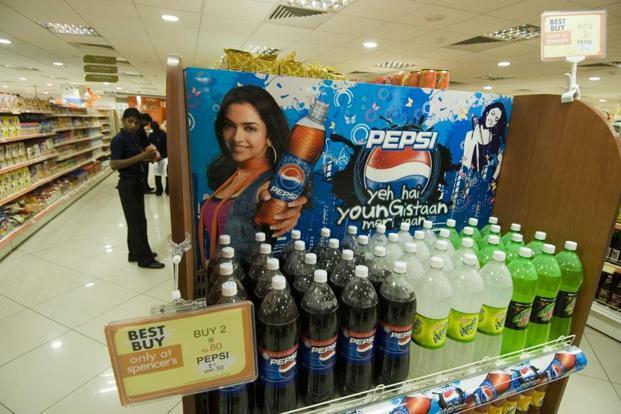 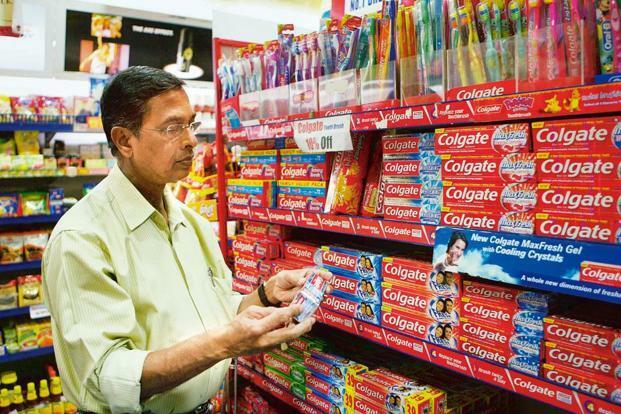 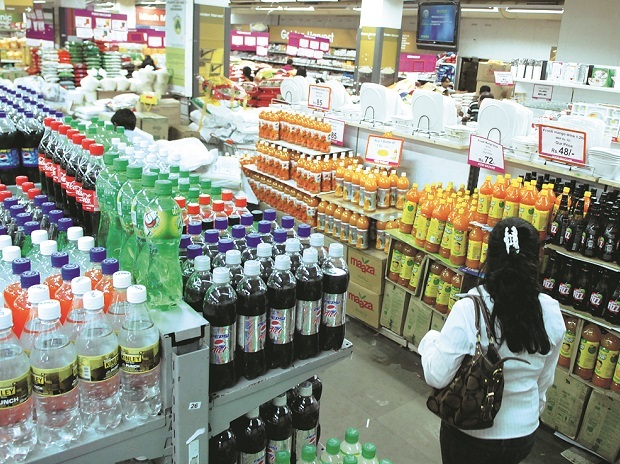 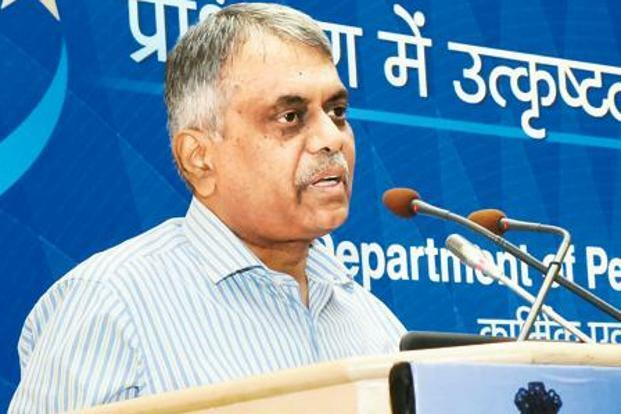 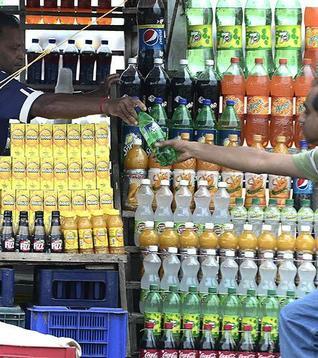 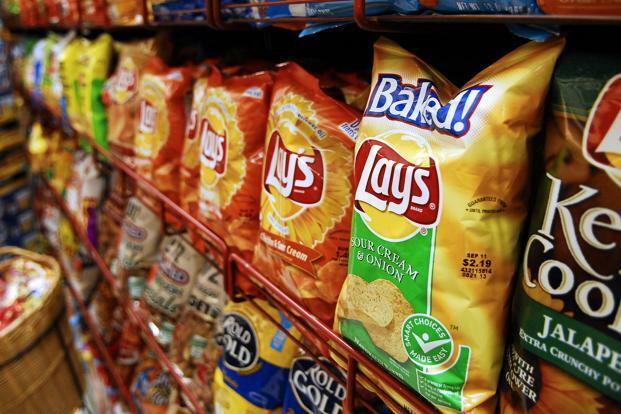 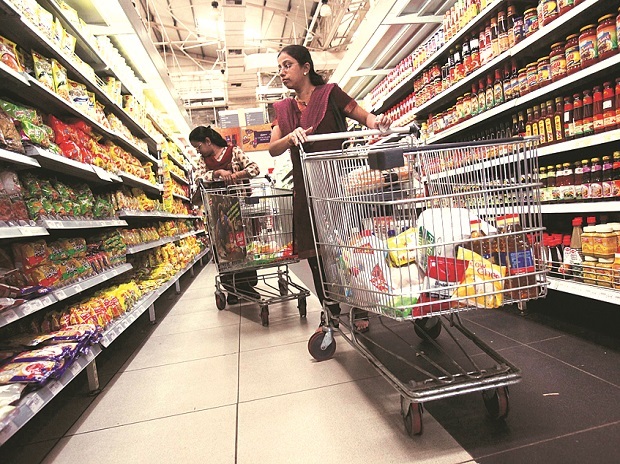 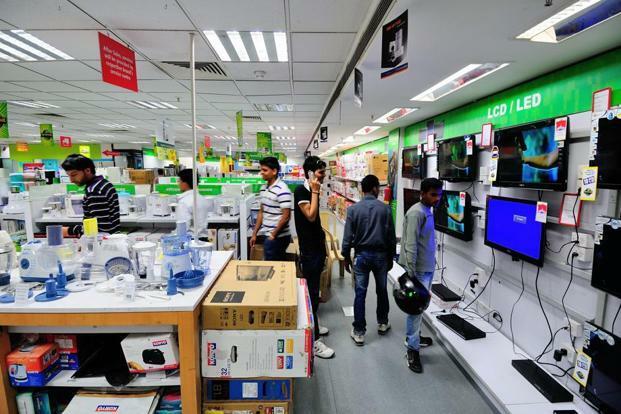 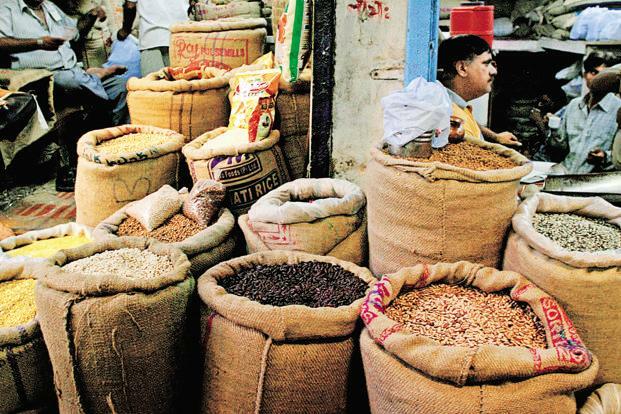 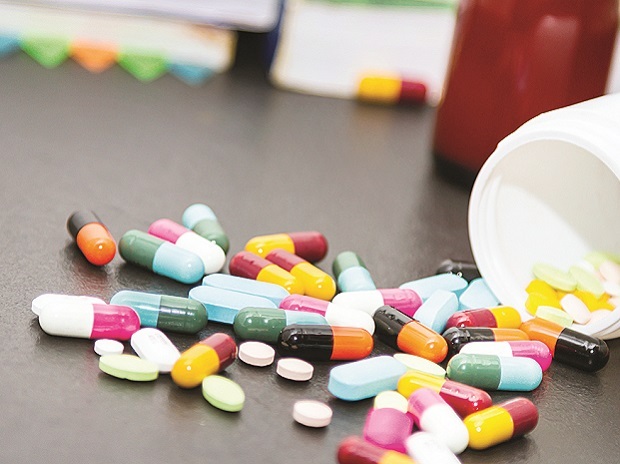 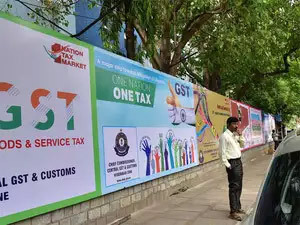 Central and state authorities are keeping a close watch on instances of price increase as well as cases where the benefit of reduced tax burden is not passed on to consumers. 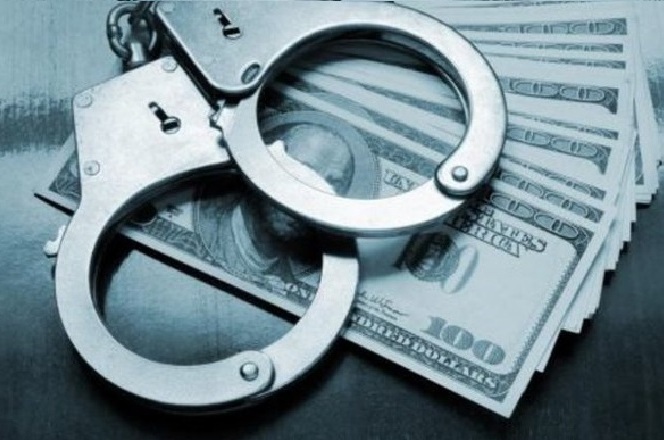 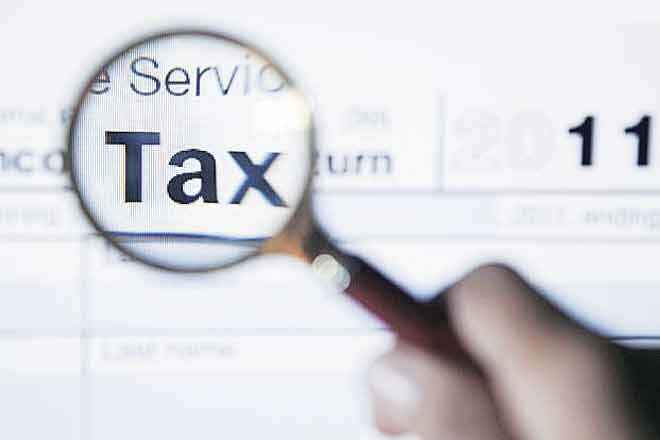 The authorities have identified profiteering as a major implementation challenge involved in the switch-over to the tax regime. 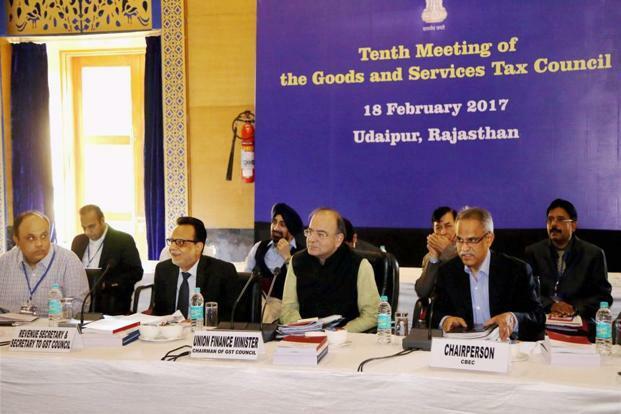 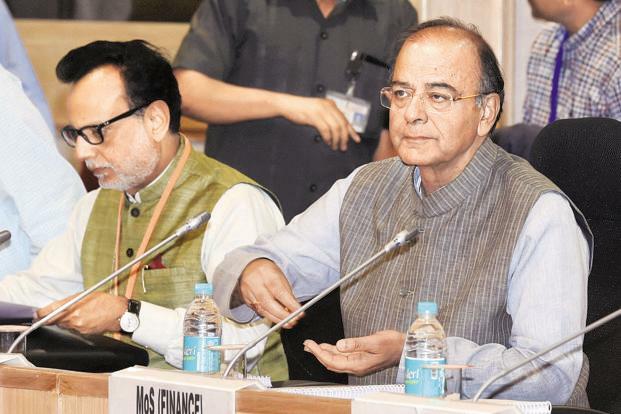 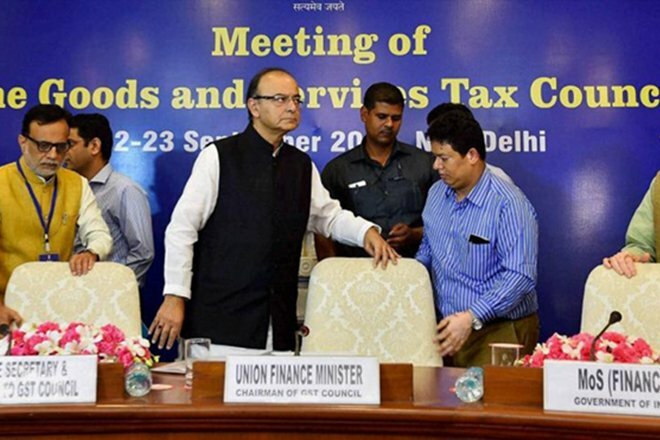 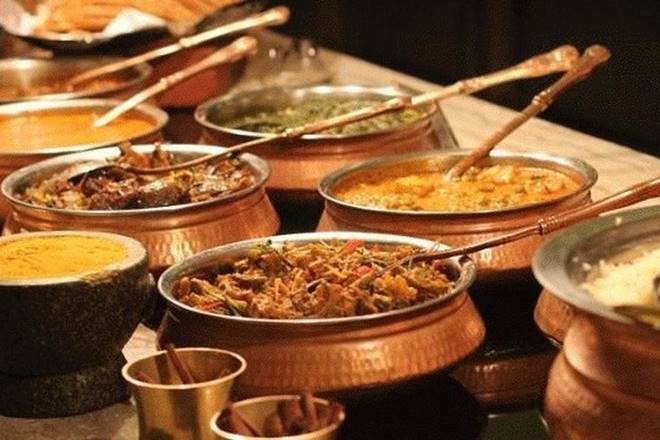 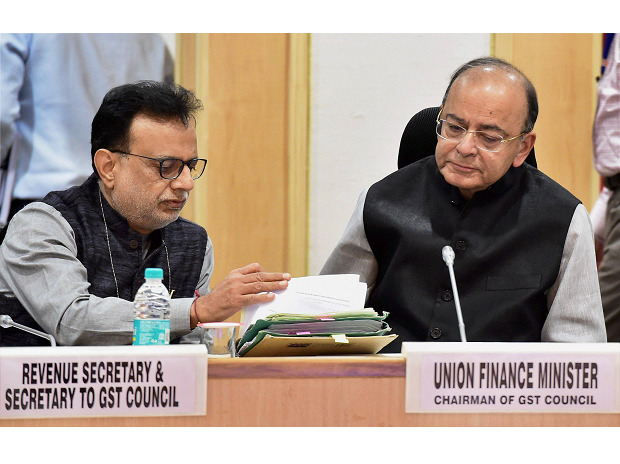 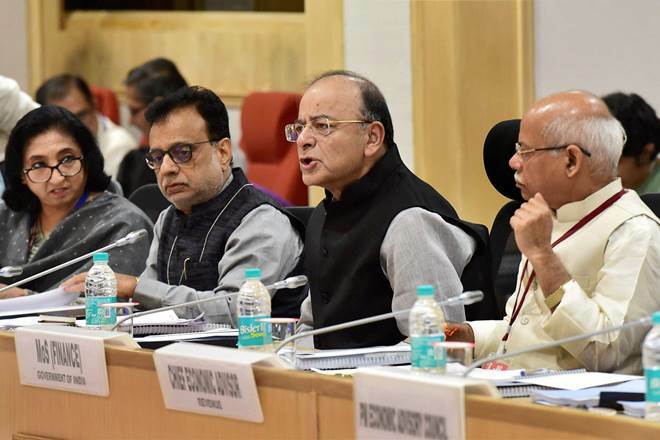 After the 20th meeting of the GST Council on 5 June, Jaitley appealed to the industry to pass on tax benefits to consumers. 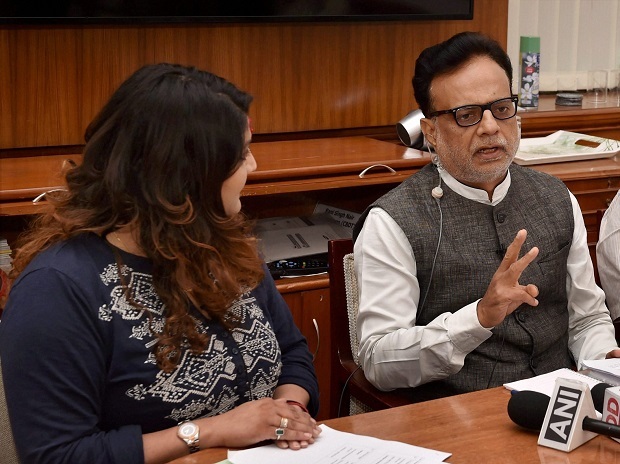 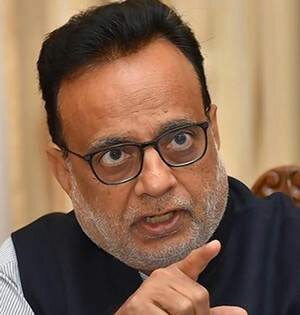 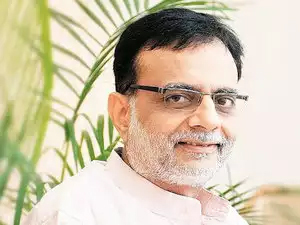 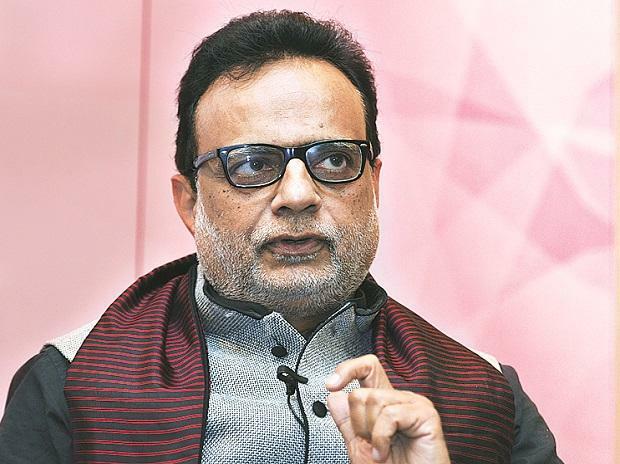 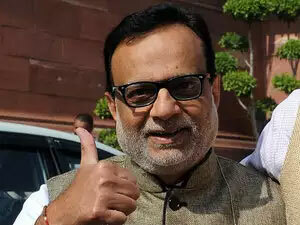 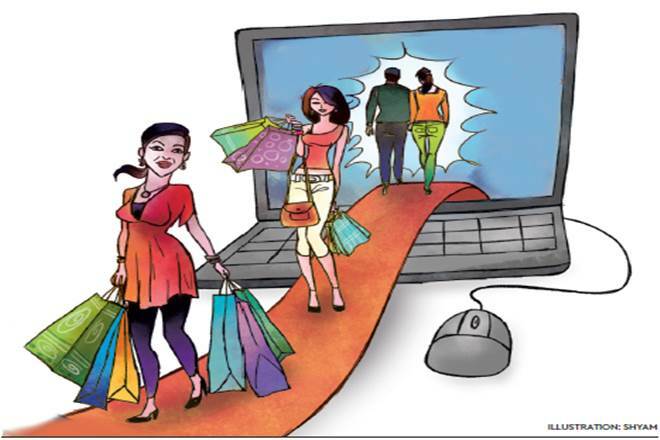 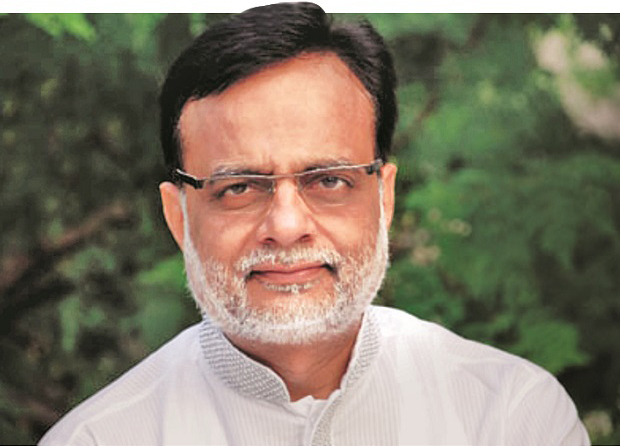 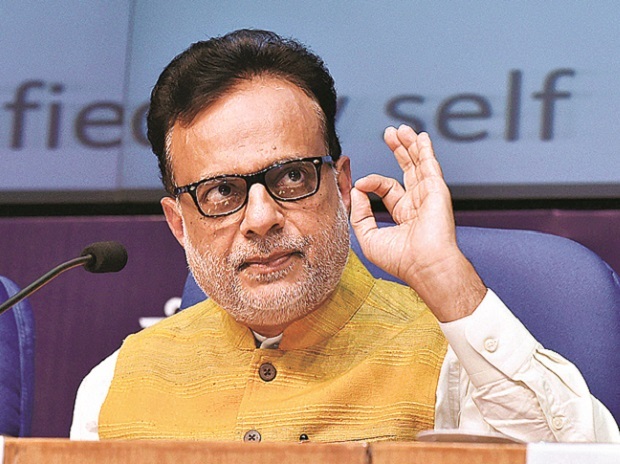 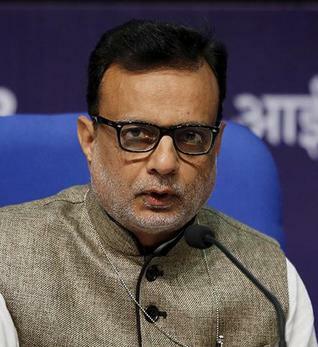 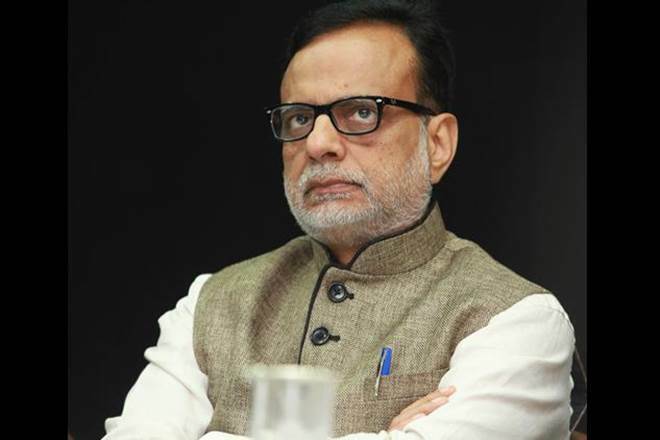 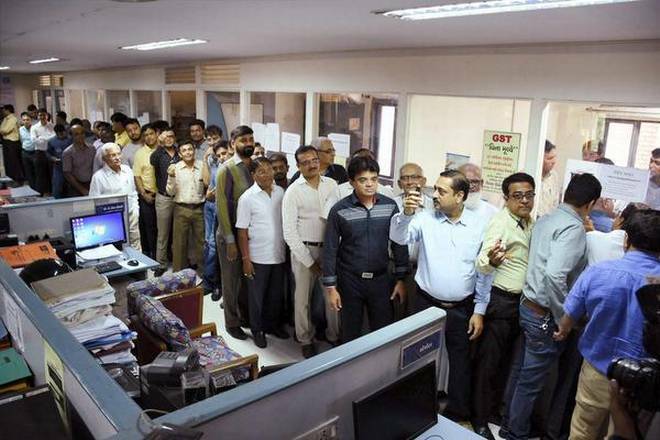 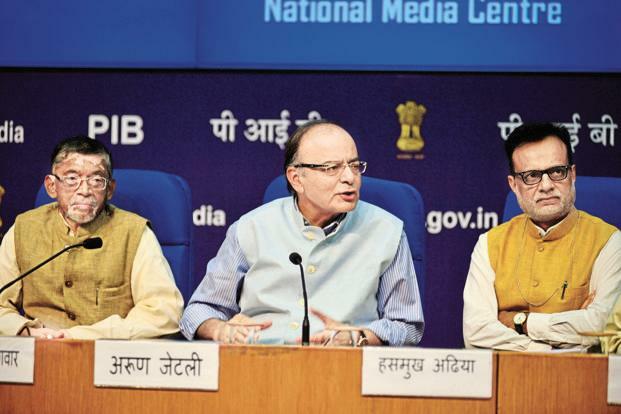 Revenue secretary Hasmukh Adhia said authorities will hold more awareness campaigns for the benefit of traders and businesses while preparing for implementing the deterrent provisions in the law. 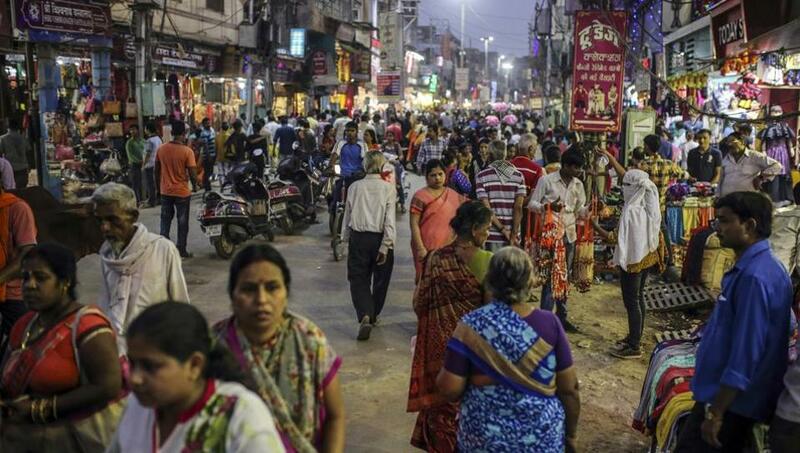 Instances of India invoking the anti-profiteering provision are something businesses the world over would be closely watching. 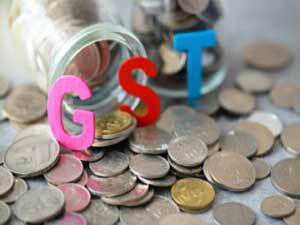 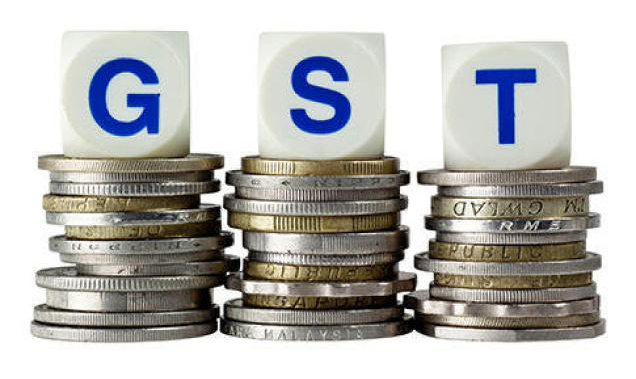 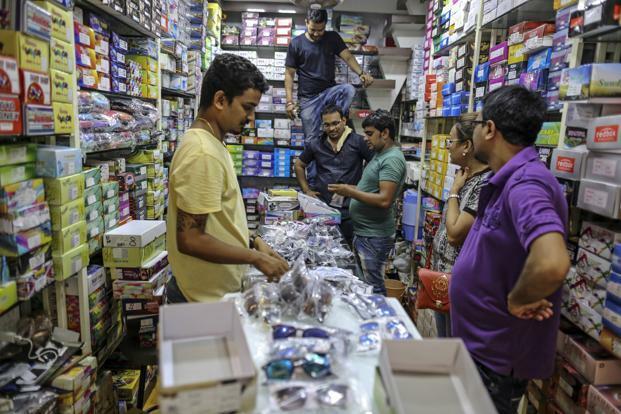 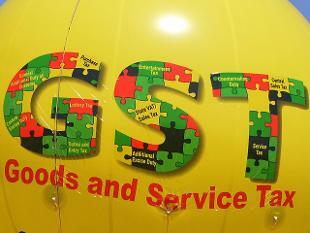 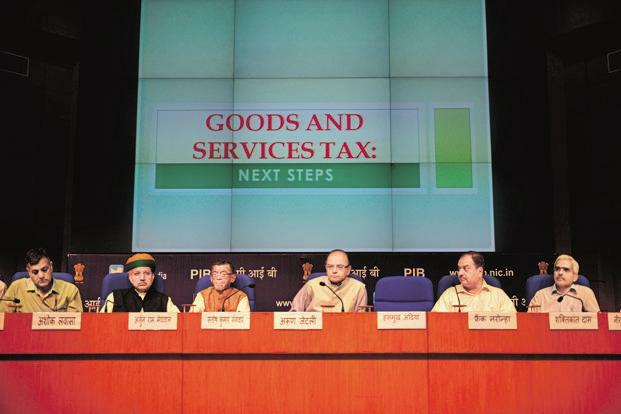 The government has mostly held firm in the face of demands to roll back GST. 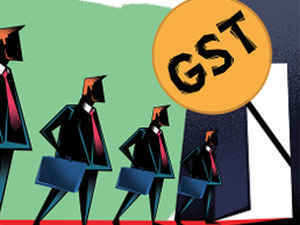 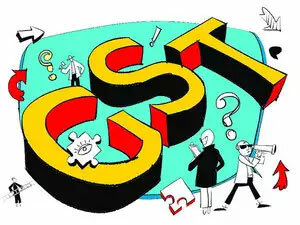 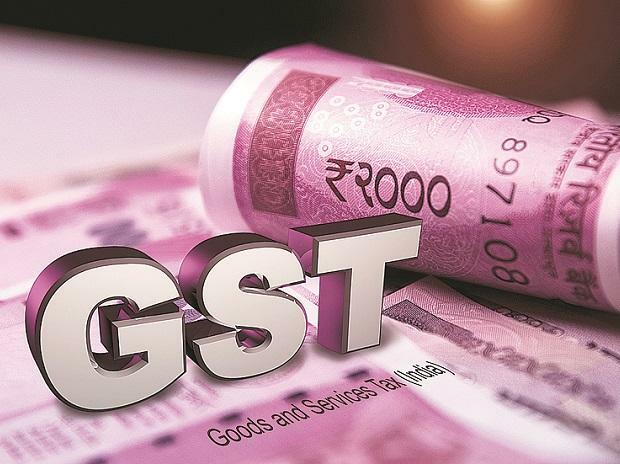 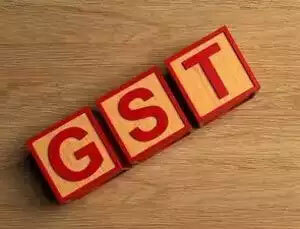 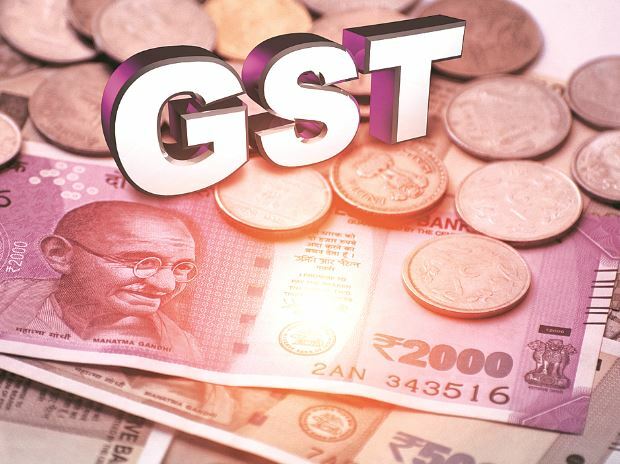 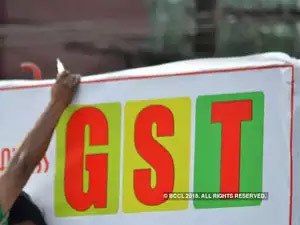 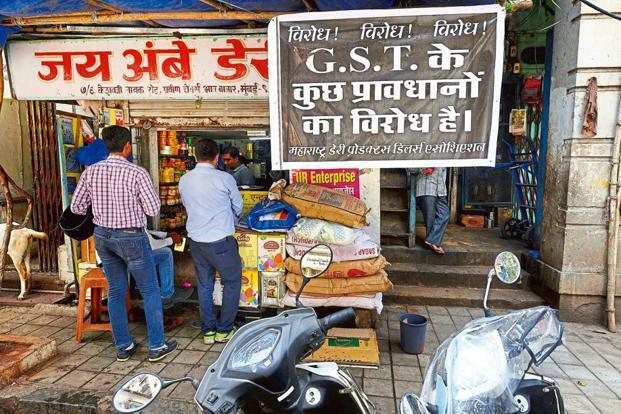 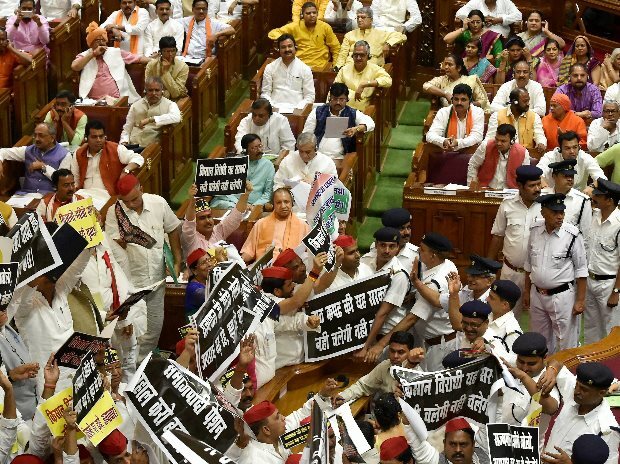 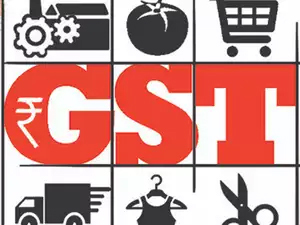 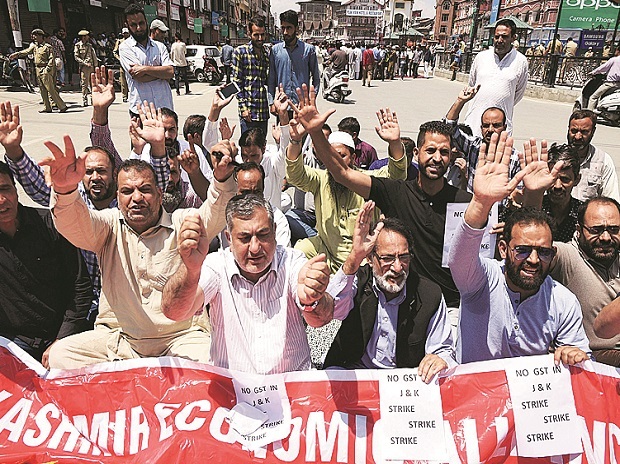 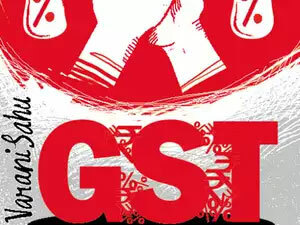 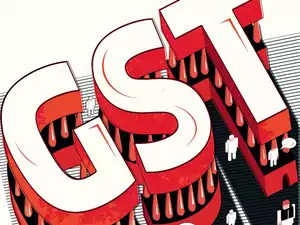 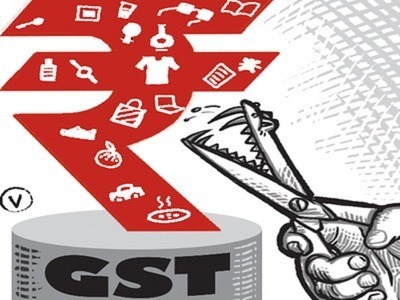 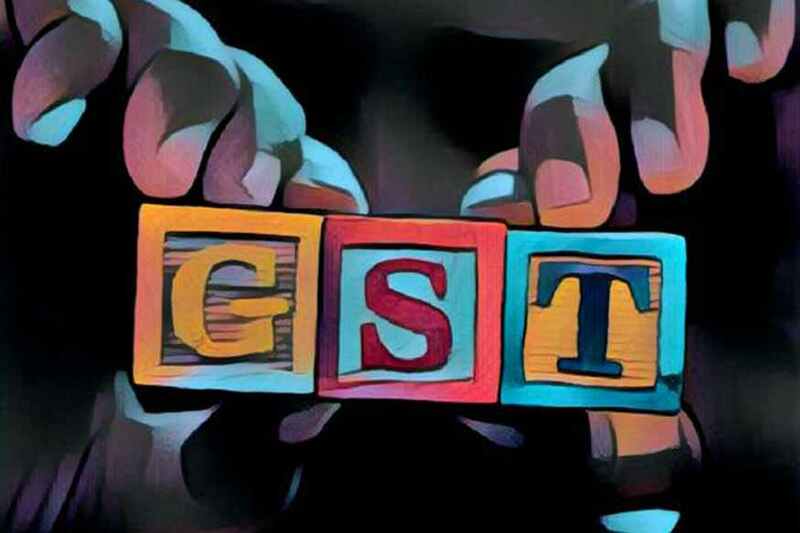 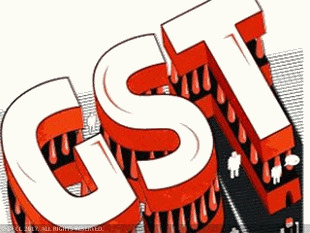 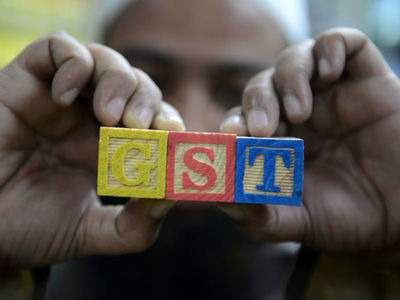 The implementation of GST triggered vociferous protests and strikes across states by textile traders who demanded a roll-back of the 5% tax on fabrics, which the GST Council did not accept. 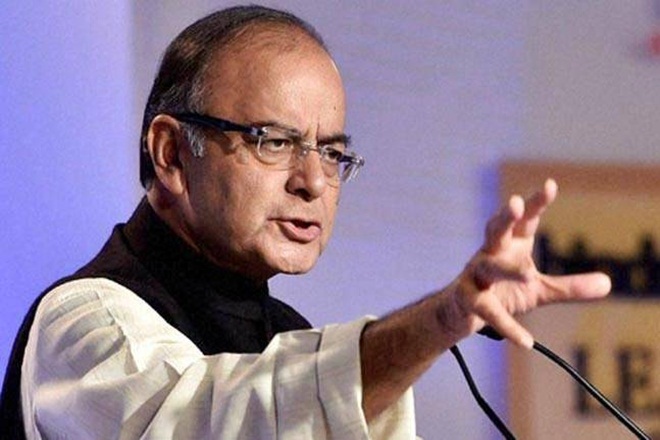 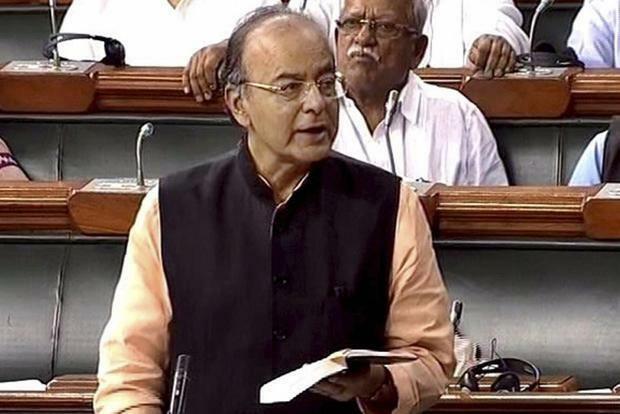 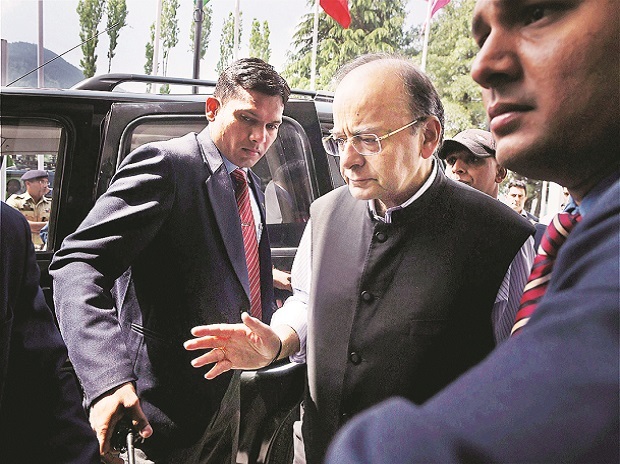 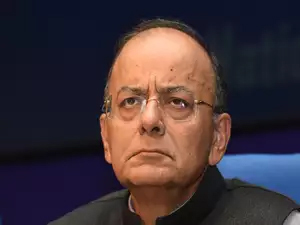 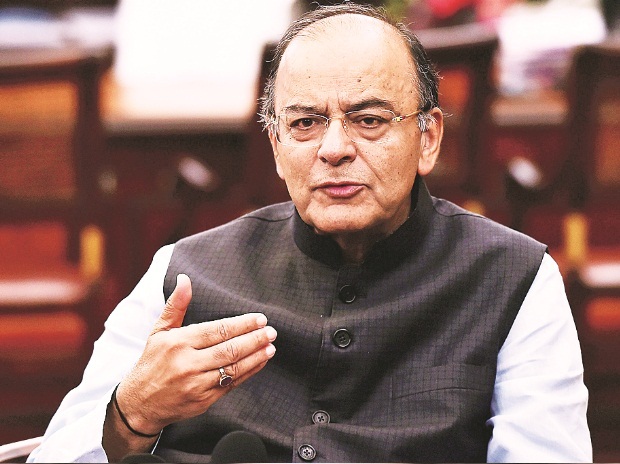 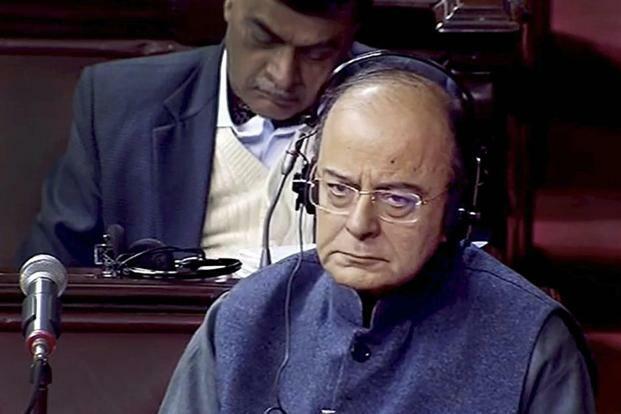 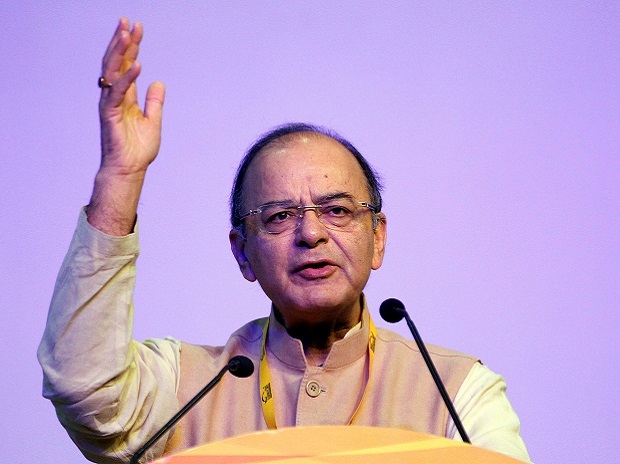 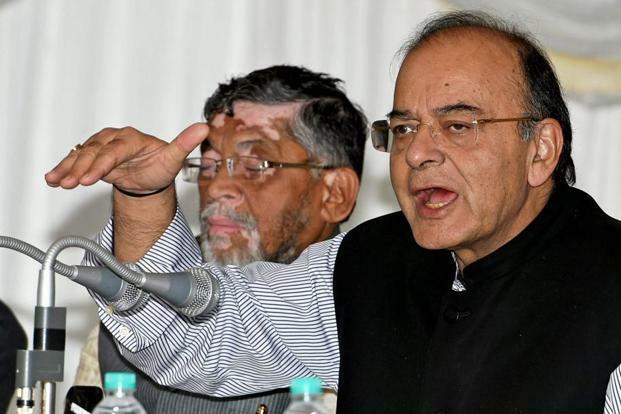 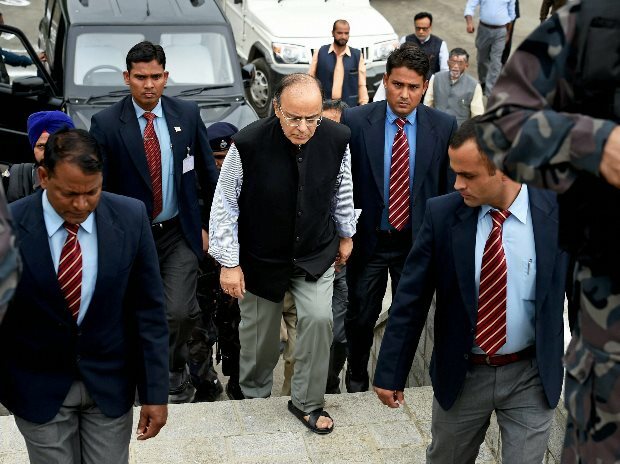 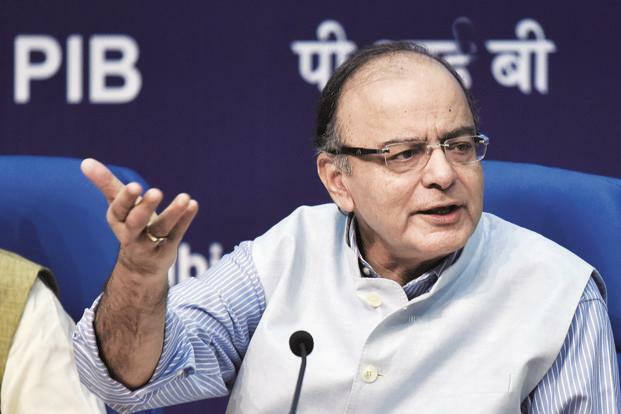 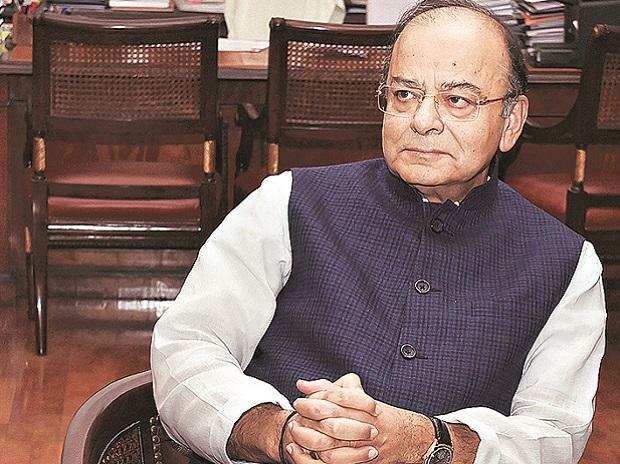 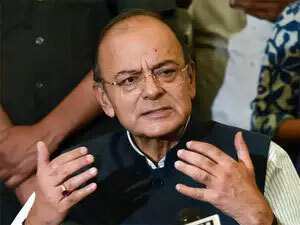 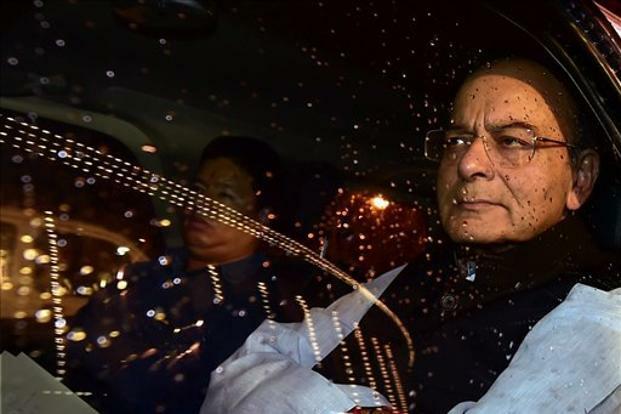 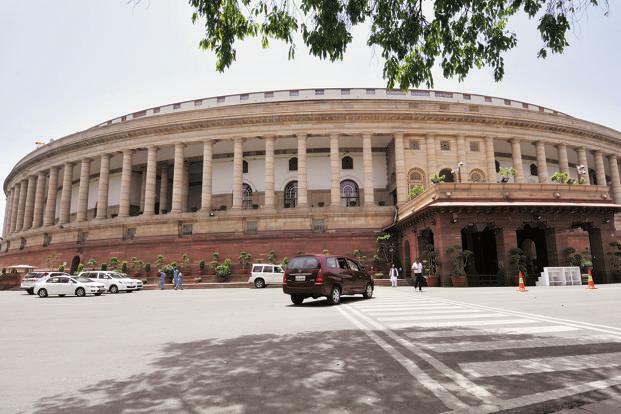 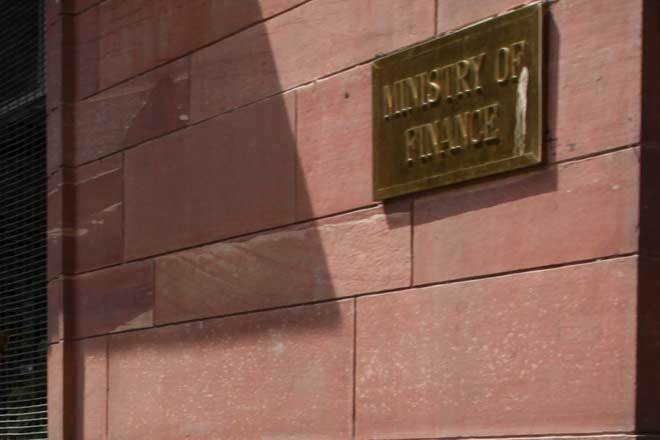 Jaitley informed Parliament on 18 July that accepting that demand was not feasible as it will disrupt the tax credit chain. 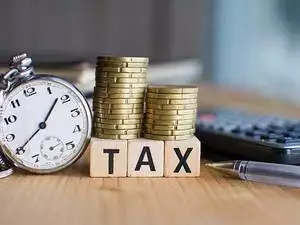 Yarn, from which fabrics are made, is taxed at 5% and textiles, which use fabrics as raw materials, are taxed at 5% or 12% depending on the sales value. 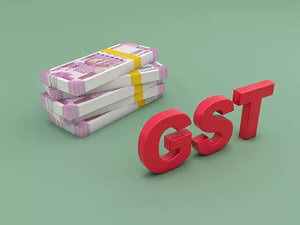 And women’s groups as well as the principal opposition party, the Congress, called for lowering the 12% GST rate on sanitary napkins. 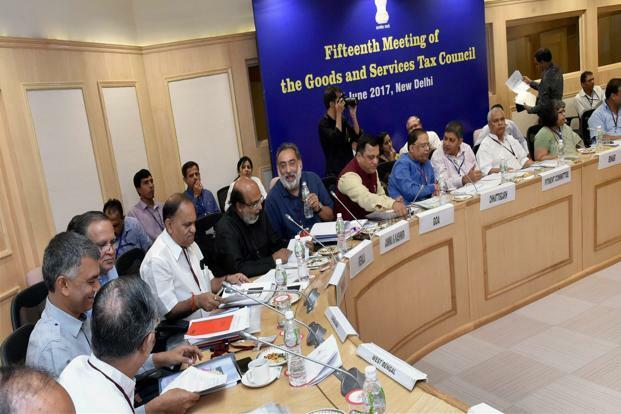 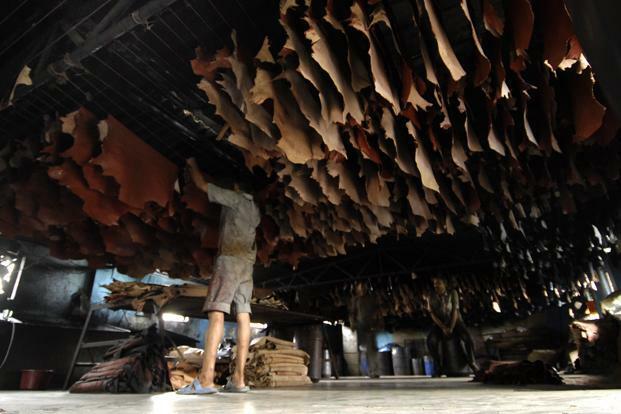 The Council did not concede this demand for the reason that it will lead to a situation where raw materials are taxed higher than finished products, a problem India spent years to solve under the earlier tax system. 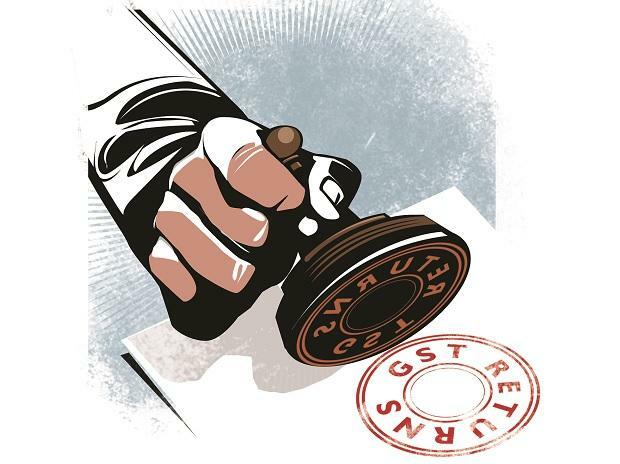 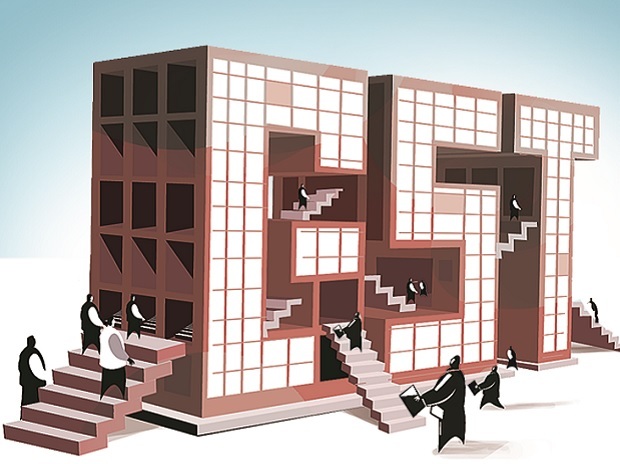 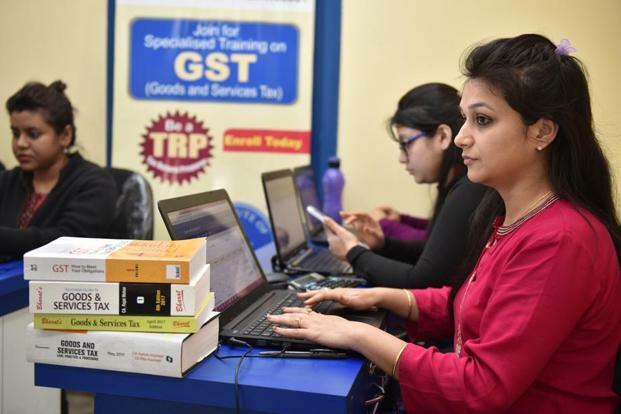 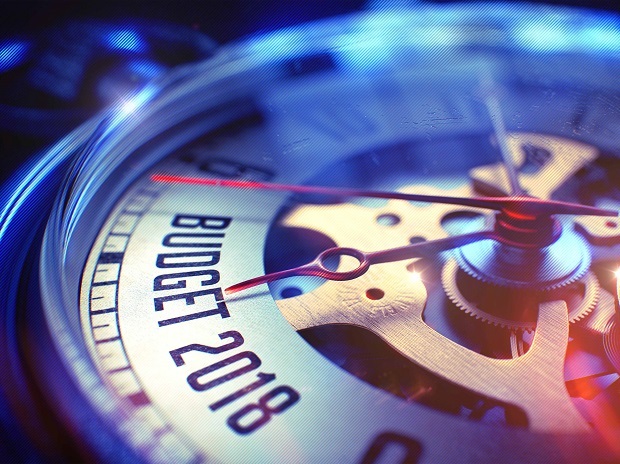 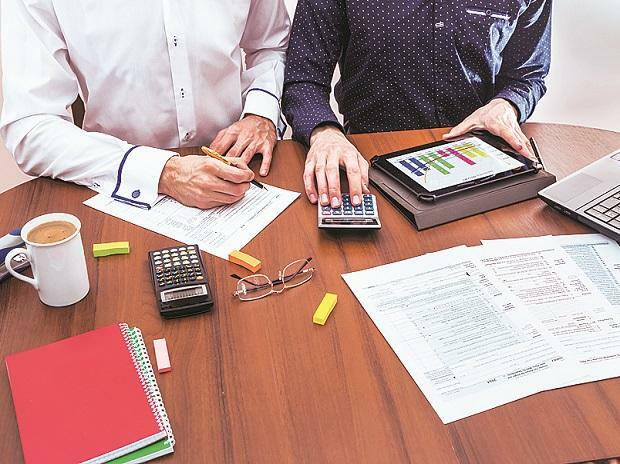 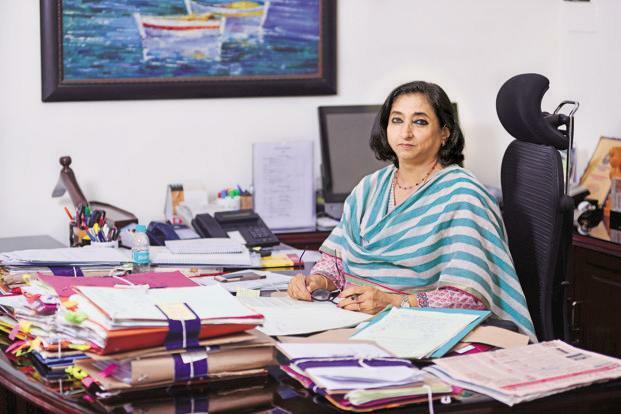 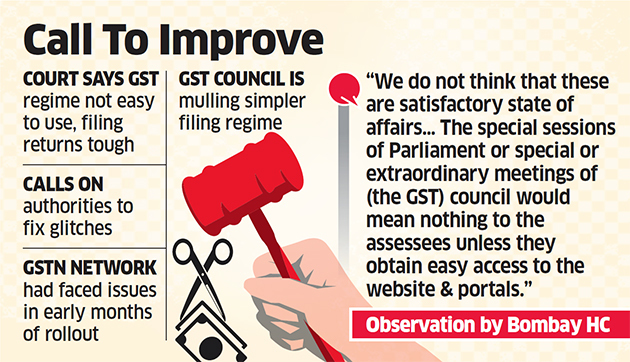 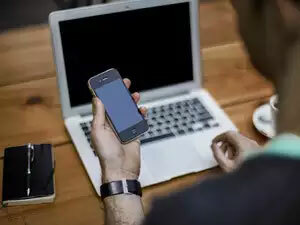 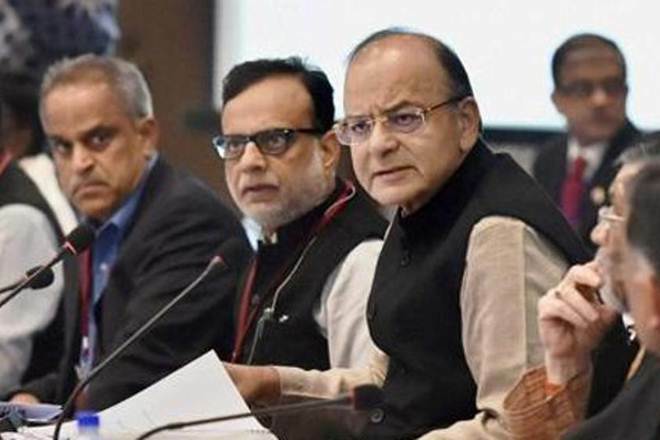 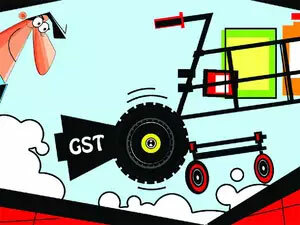 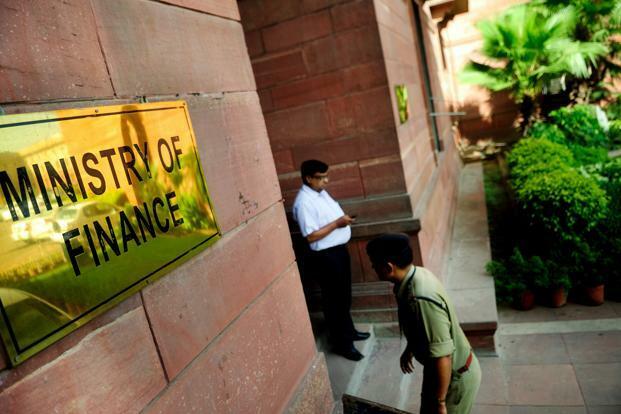 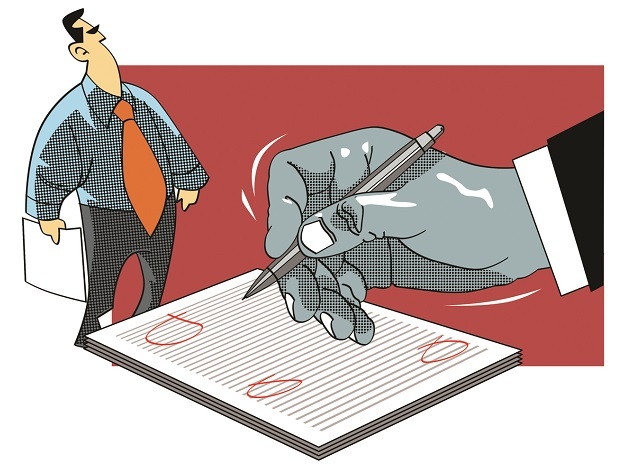 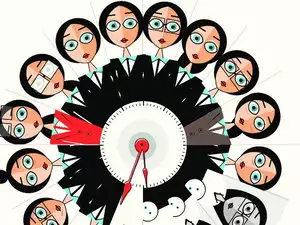 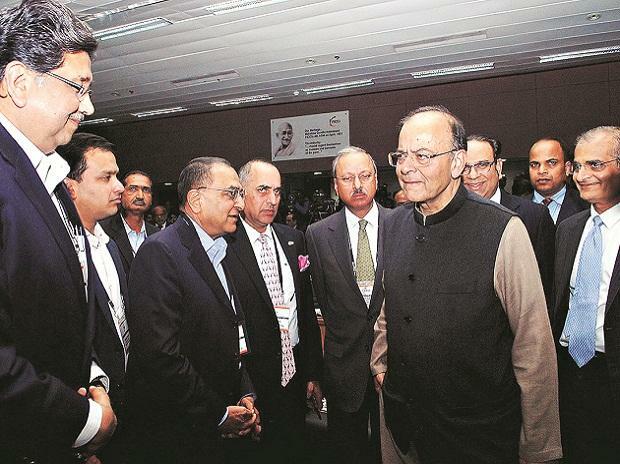 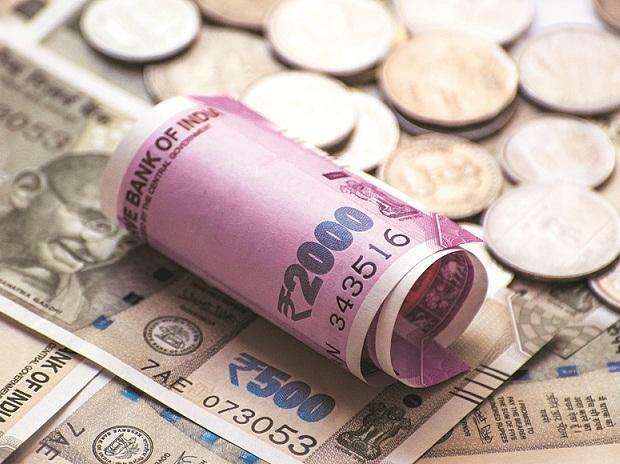 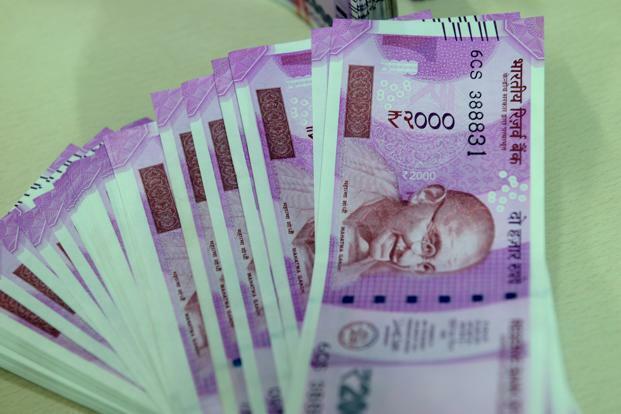 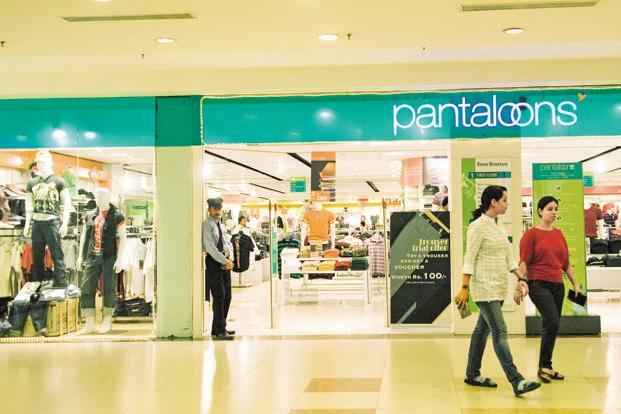 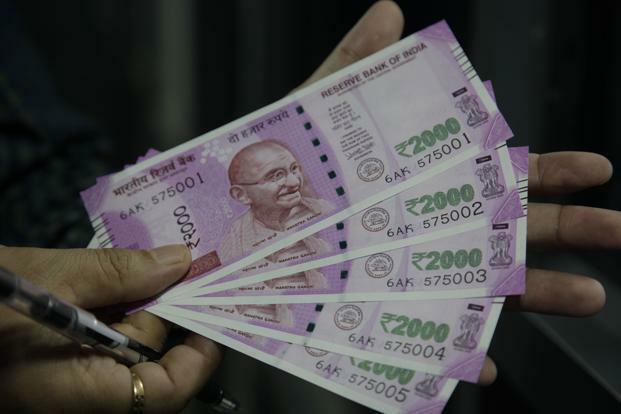 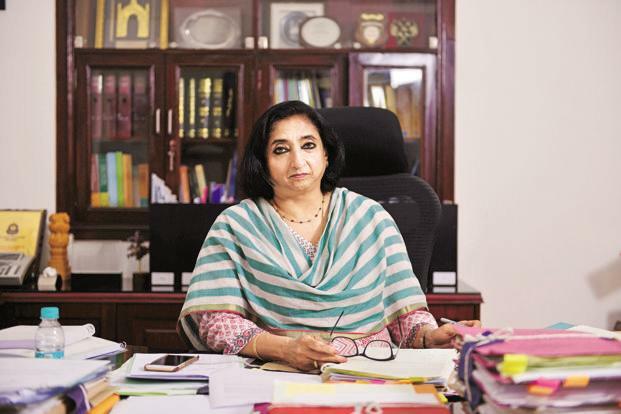 Despite visible signs of improvement in the country’s indirect taxation, the jury on GST may still be out until businesses complete at least the first cycle of monthly return filing. 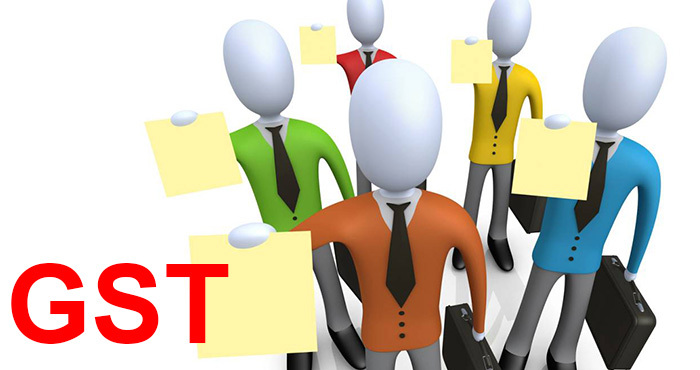 Businesses and traders have time till September to file returns for July, when the robustness of the IT infrastructure will be tested. 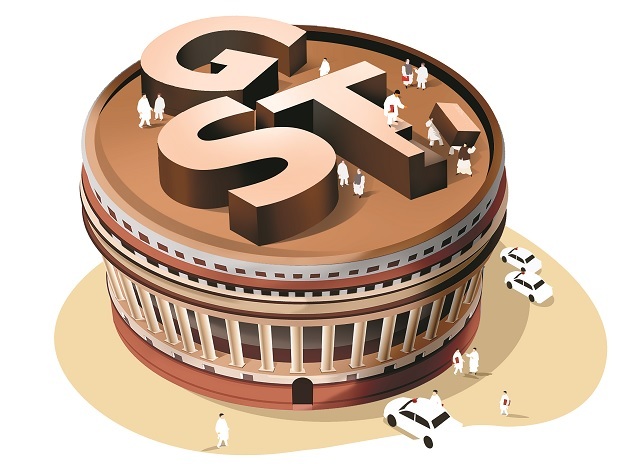 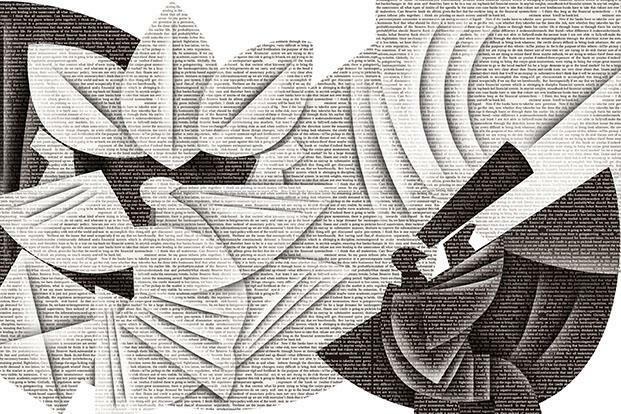 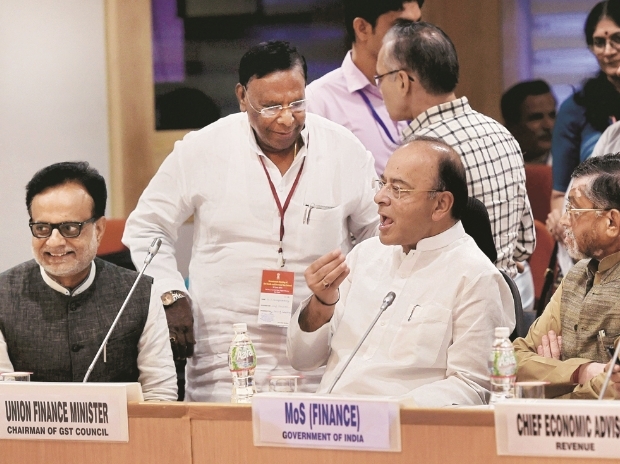 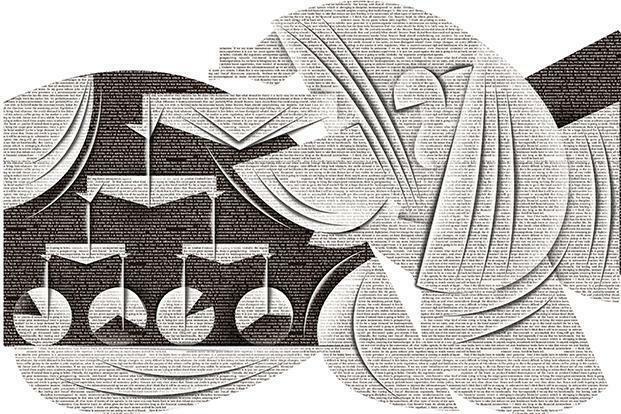 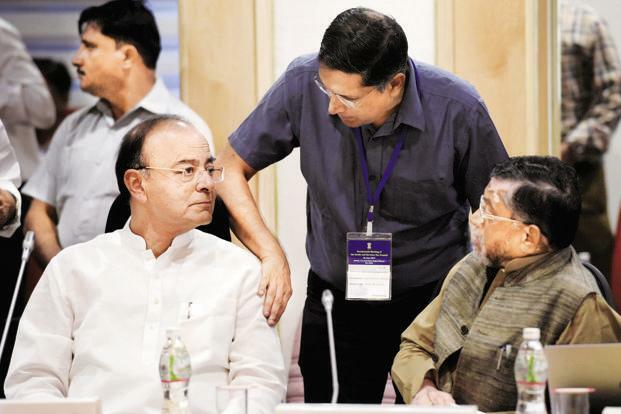 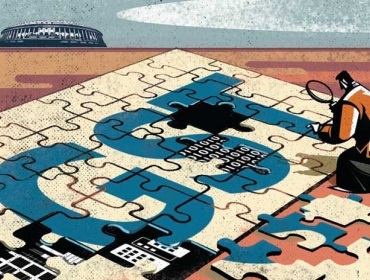 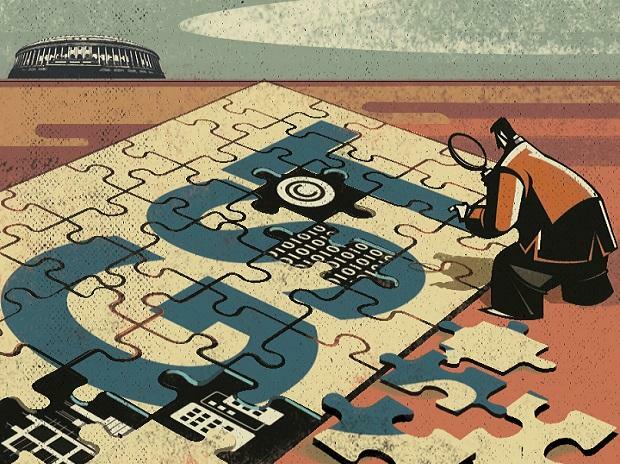 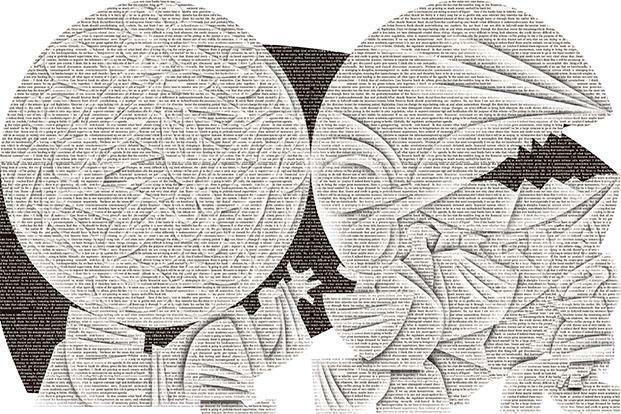 GST’s success will depend on whether the system matches without glitches the taxes collected by suppliers from buyers and remitted to the government with the claim for tax credit subsequently made by the buyers. 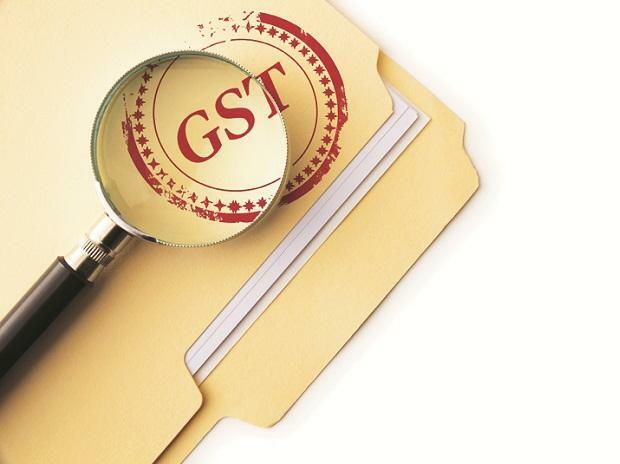 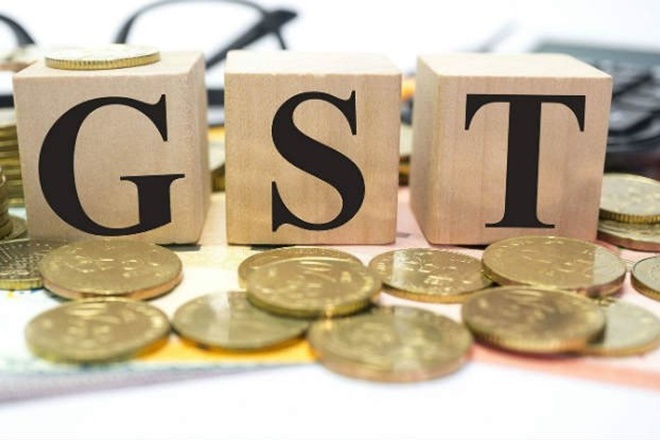 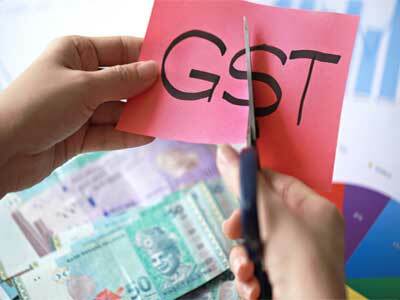 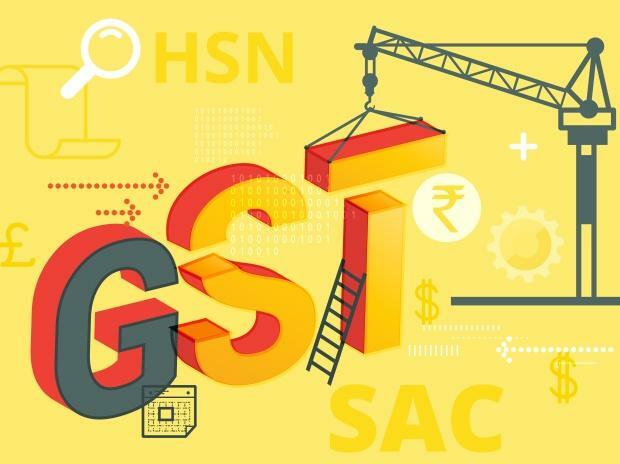 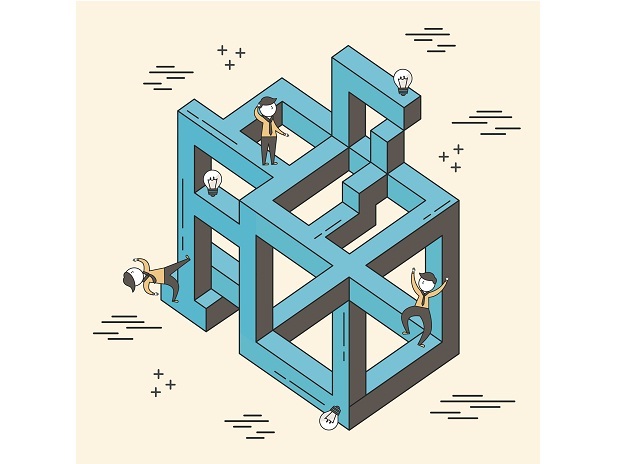 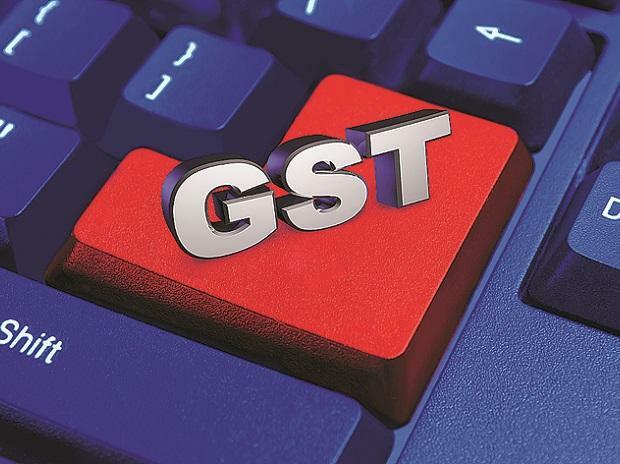 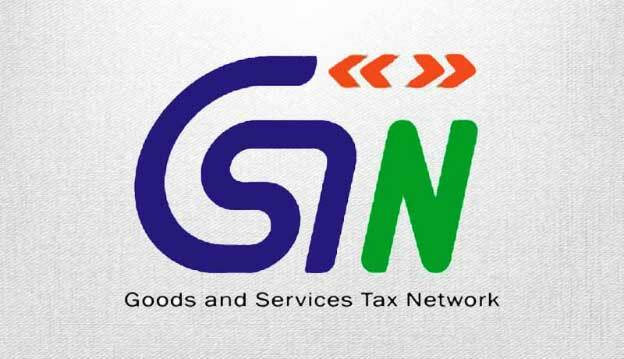 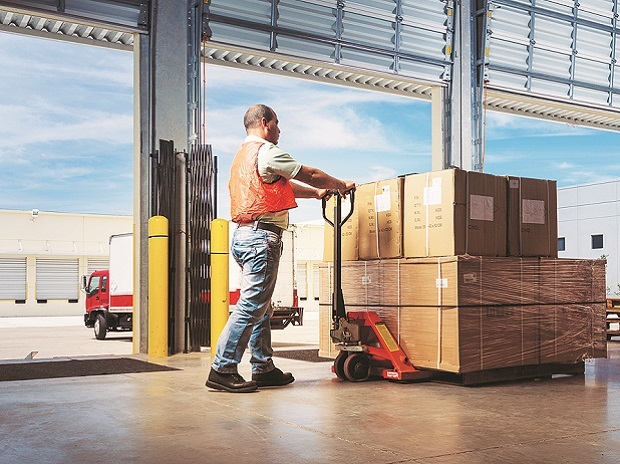 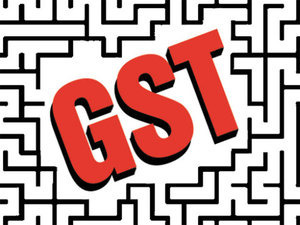 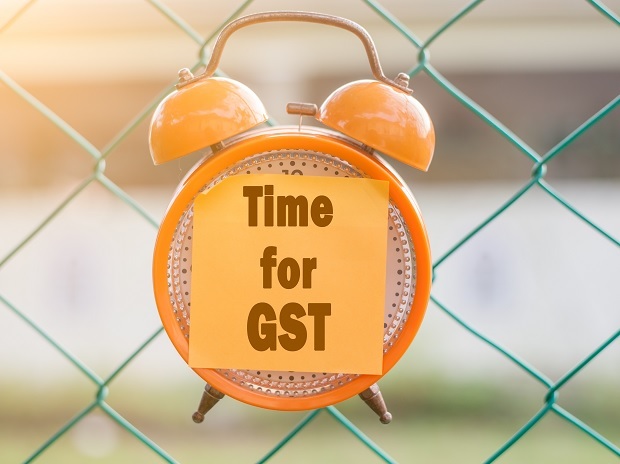 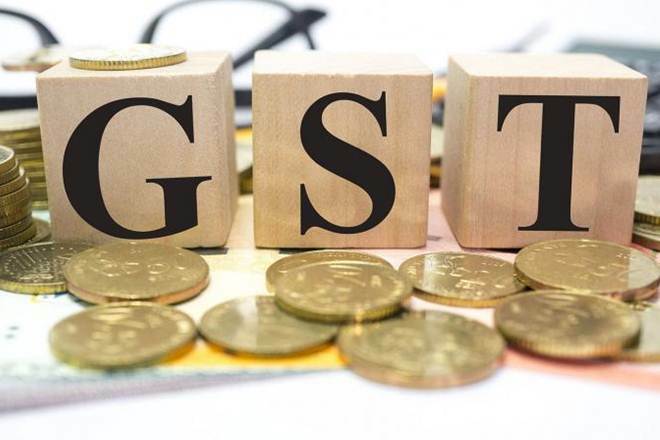 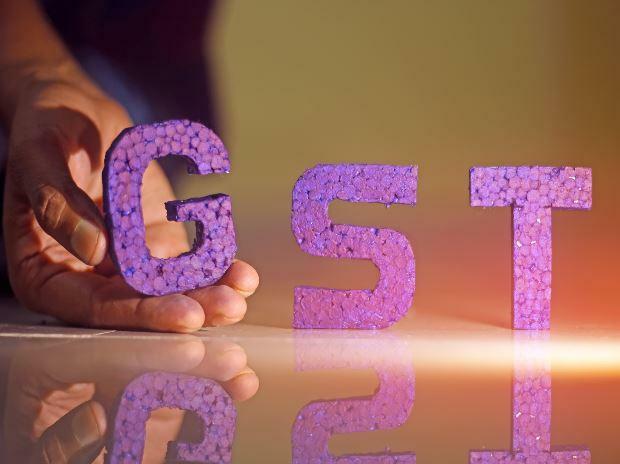 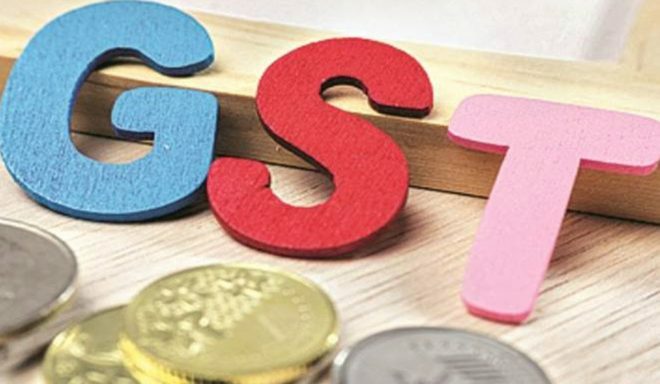 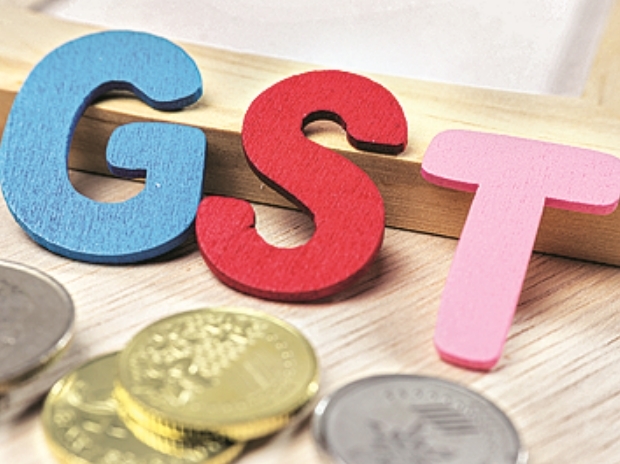 The biggest challenge for businesses is to make sure that all their partners in the entire supply chain also become GST-compliant, which requires a tremendous amount of training and effort, said R.N. 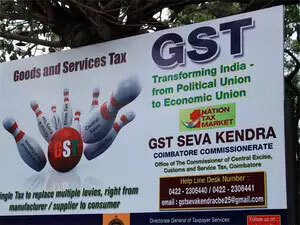 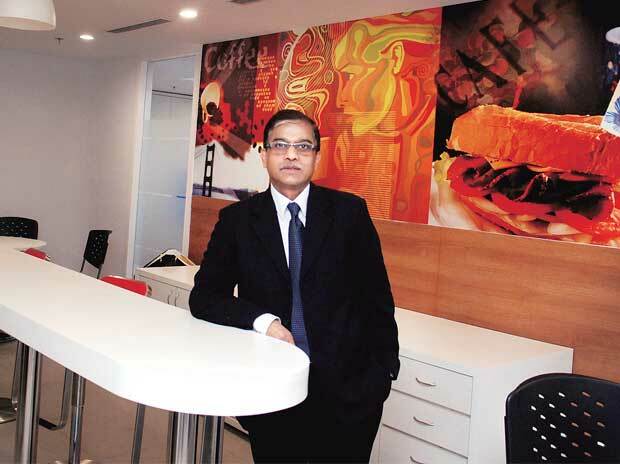 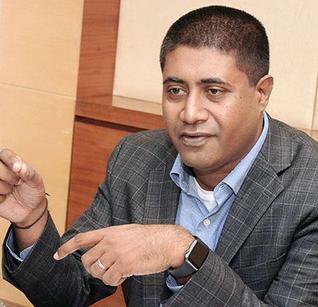 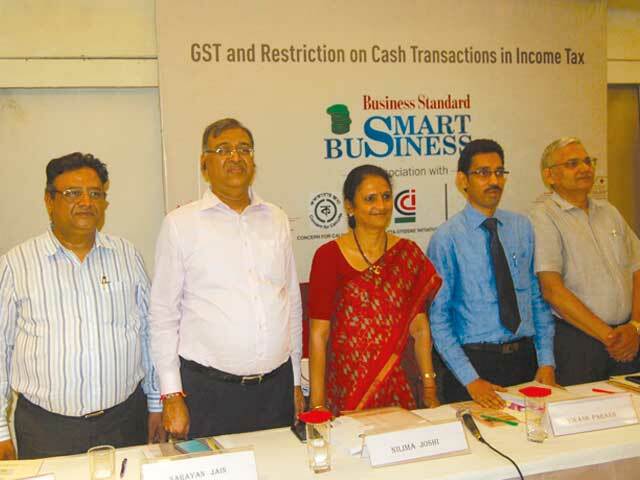 Iyer, founder and managing director of Vayana Network, a GST service provider. 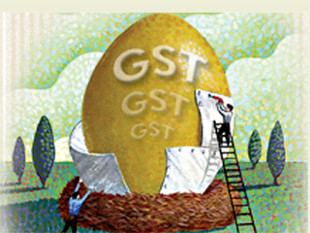 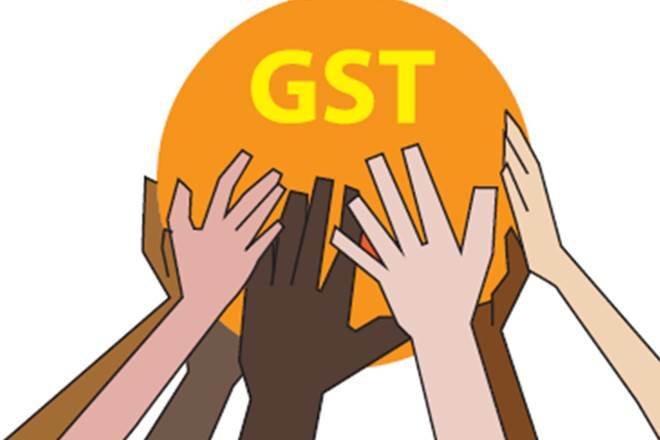 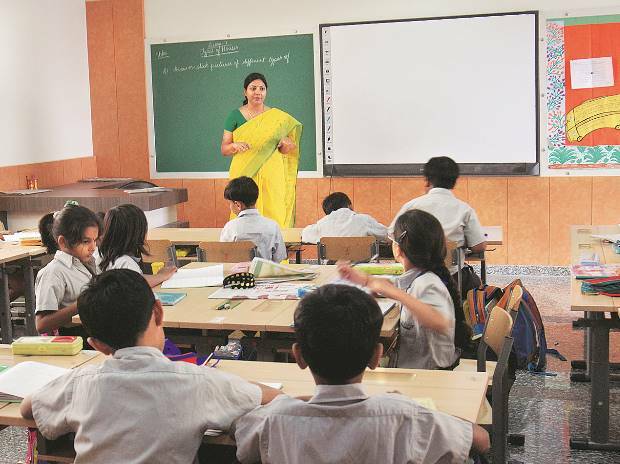 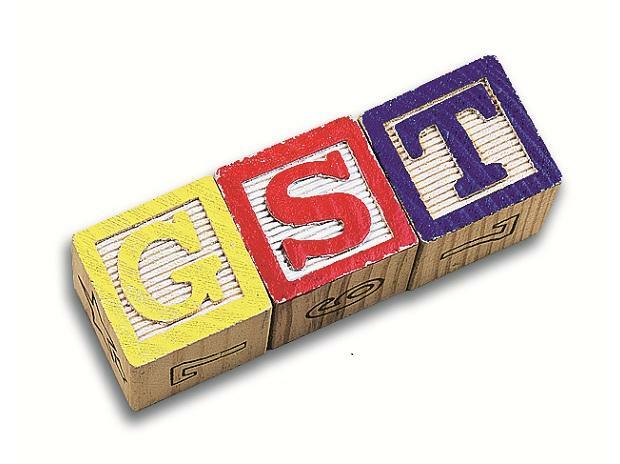 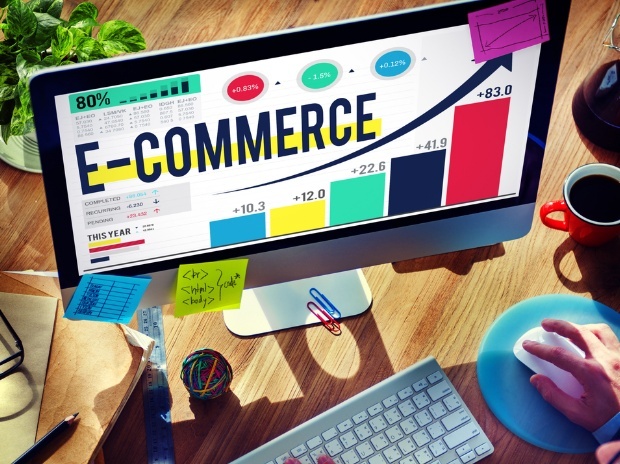 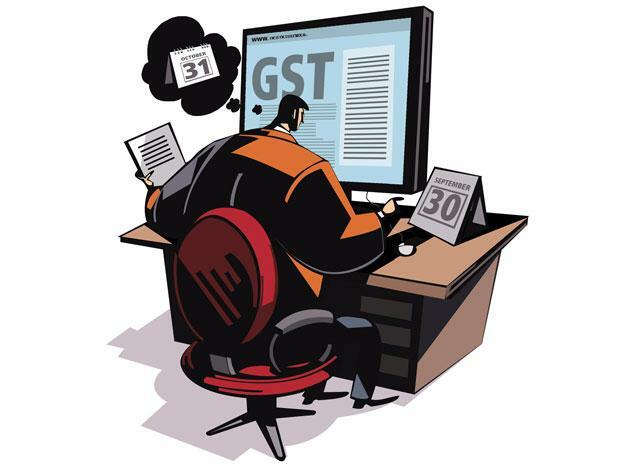 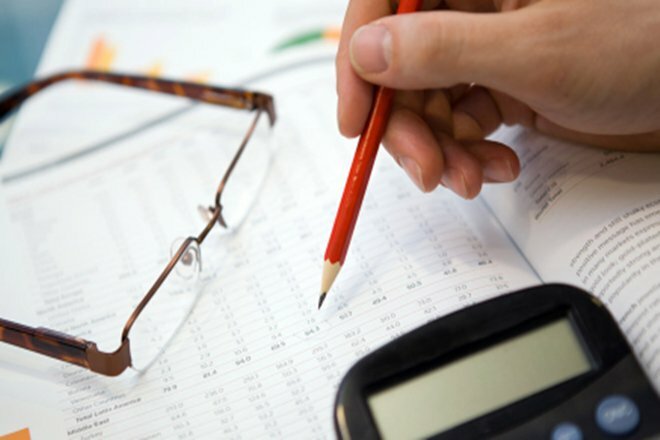 “Educating business partners about the GST system is important as typically, 15-20% of invoices between buyers and suppliers do not match. 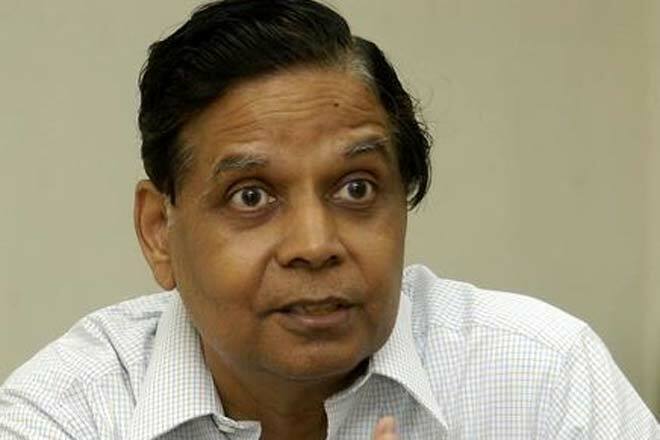 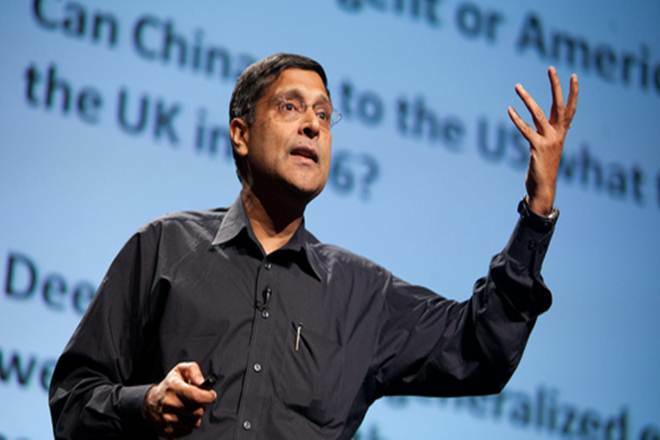 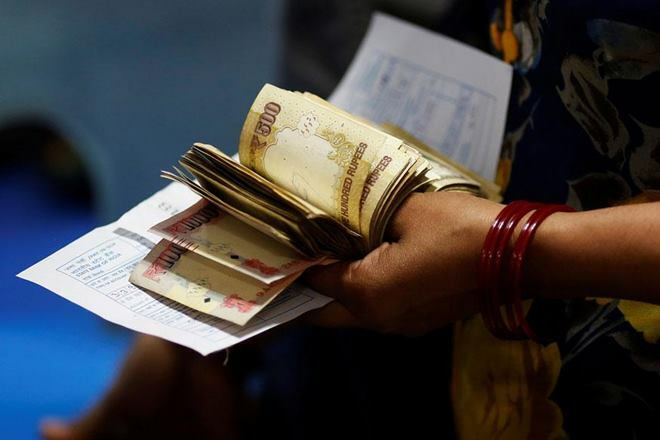 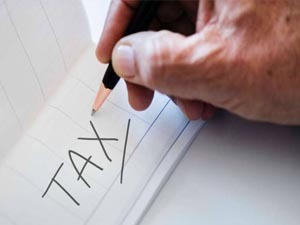 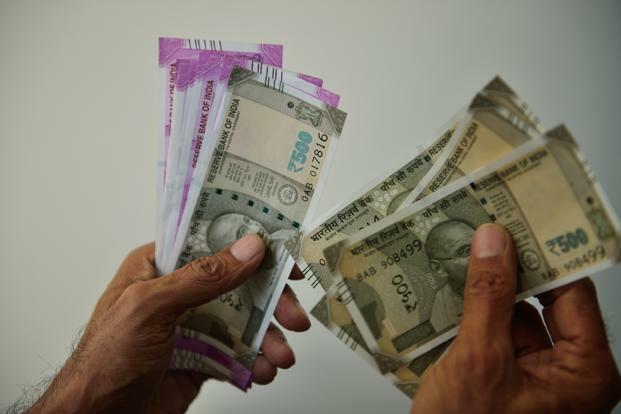 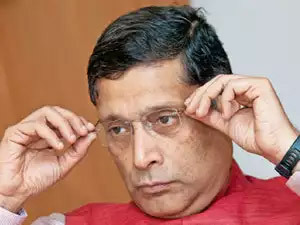 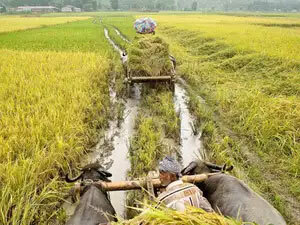 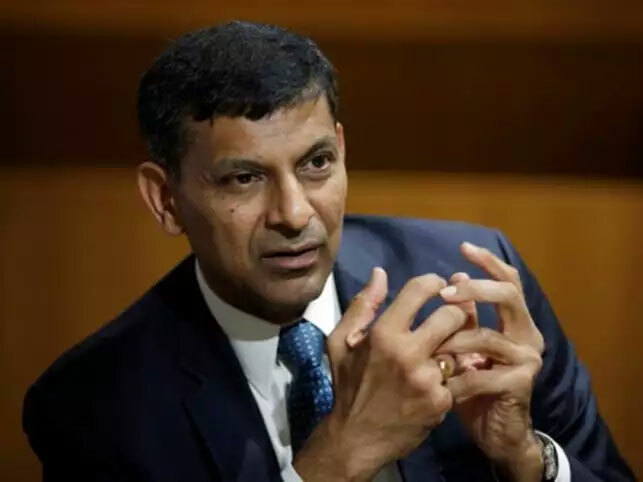 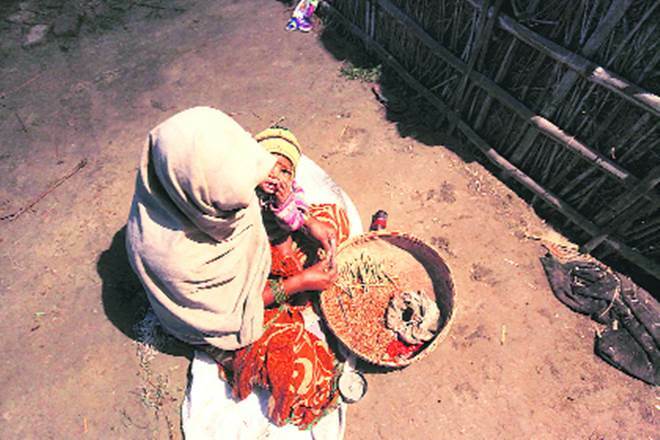 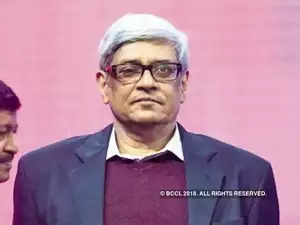 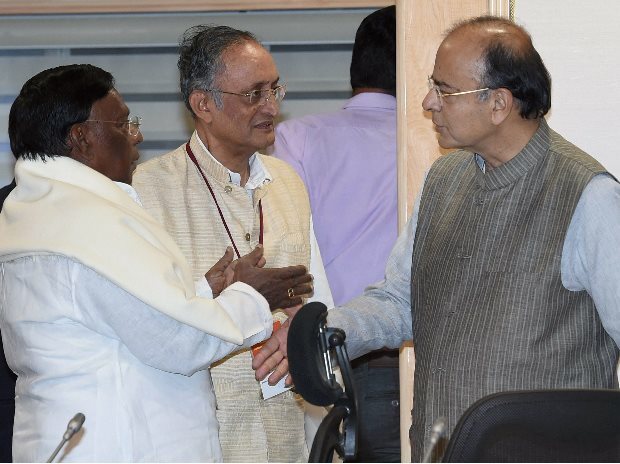 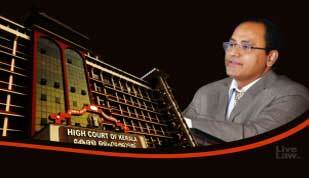 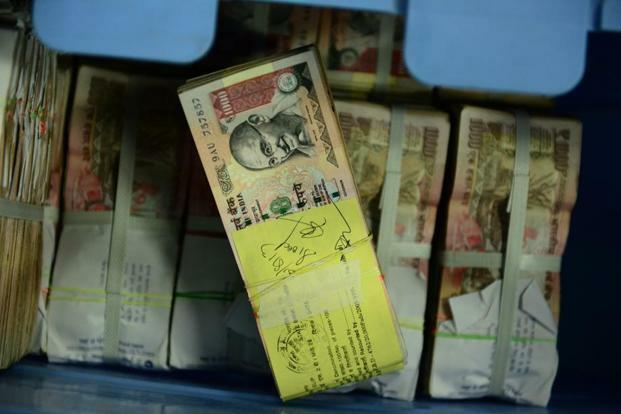 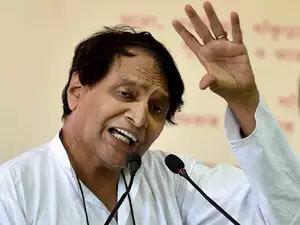 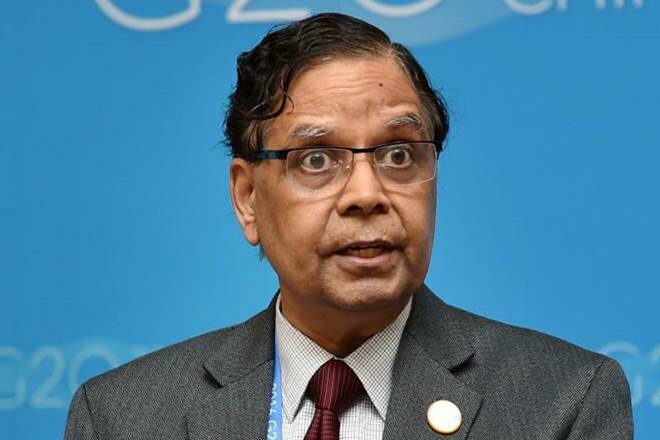 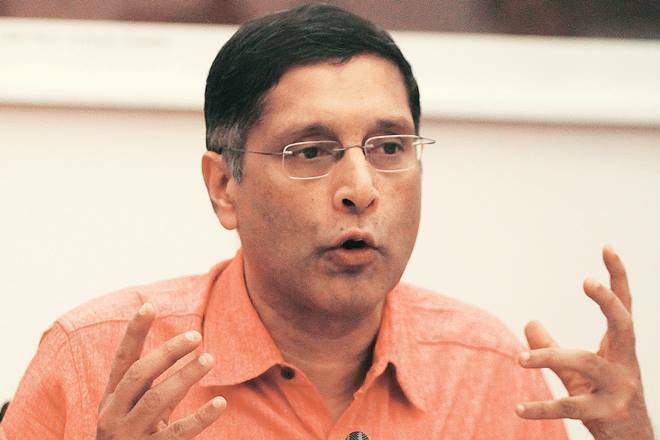 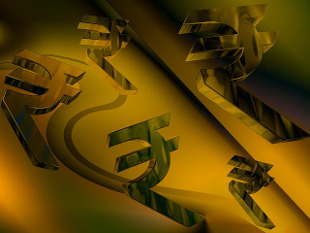 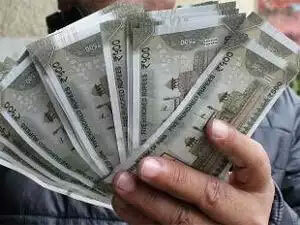 It will take about six to 12 months for the system and the people to fully settle down in the new tax regime,” said Iyer. 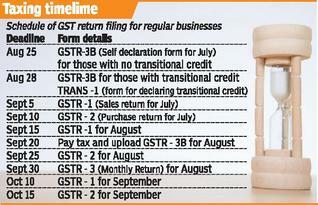 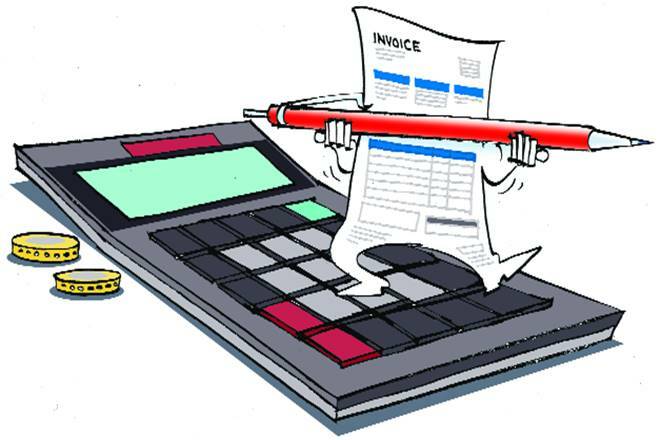 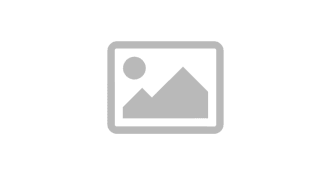 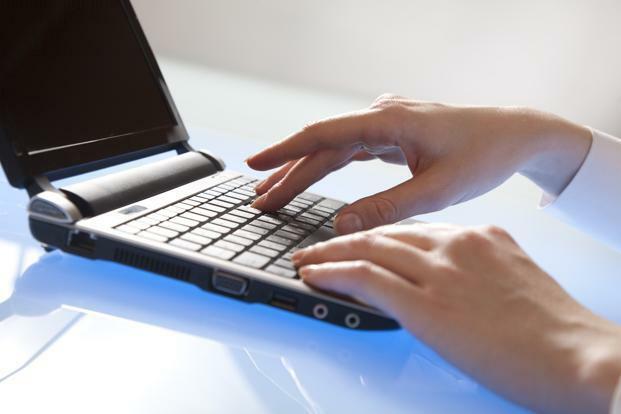 Matching of invoices is essential for businesses and traders to avail of tax credits without any glitch.